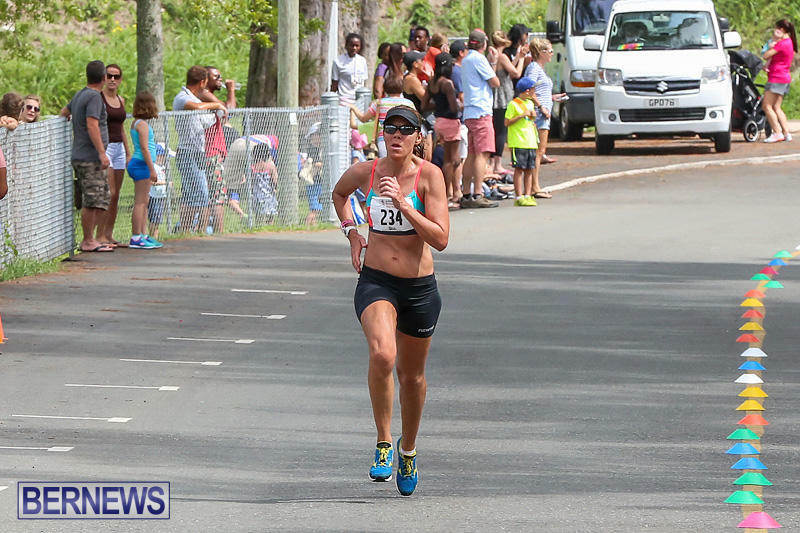 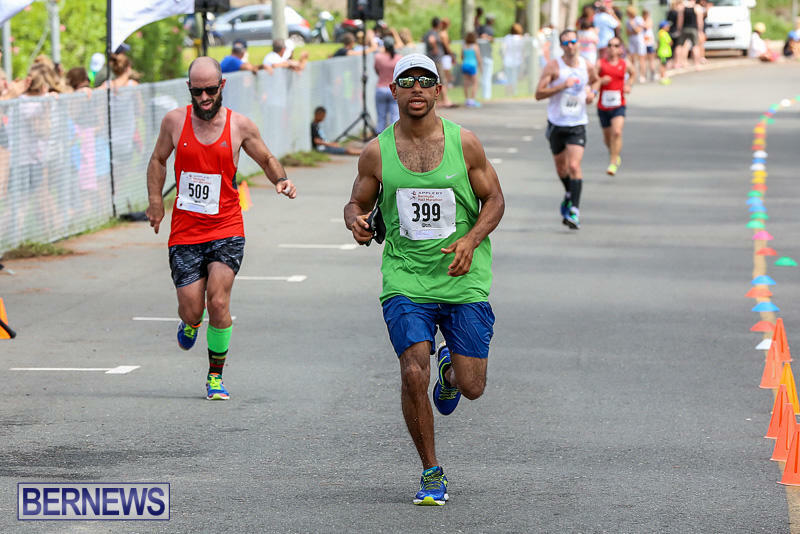 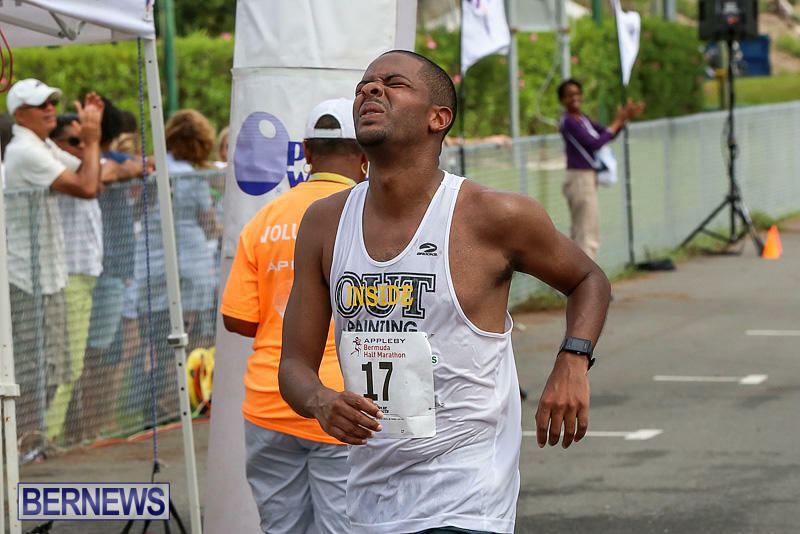 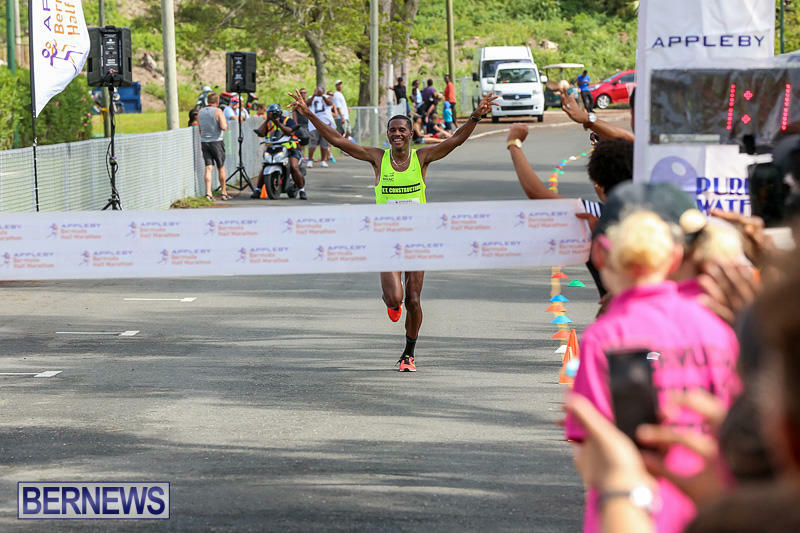 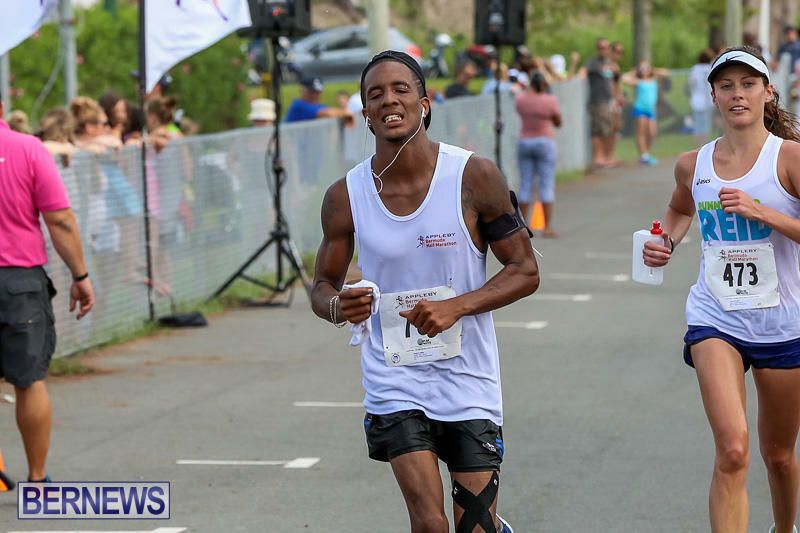 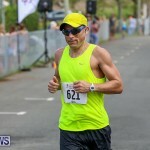 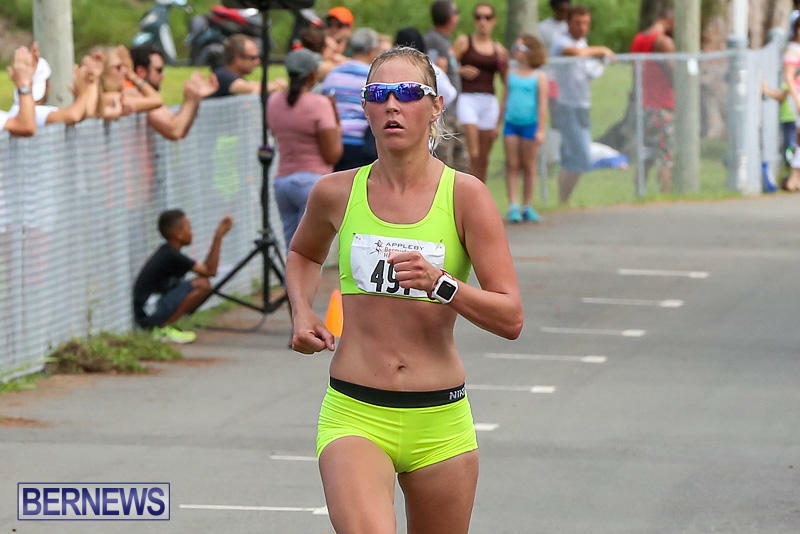 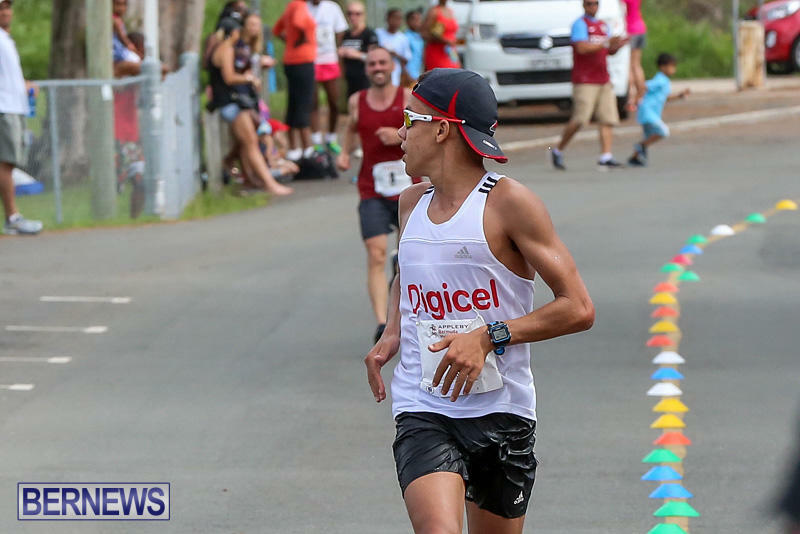 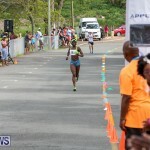 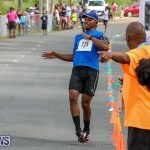 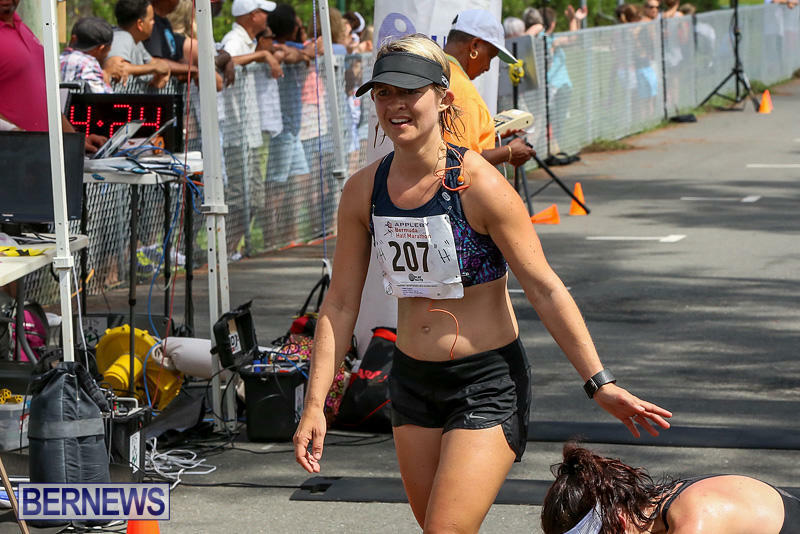 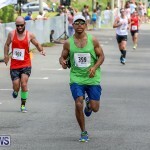 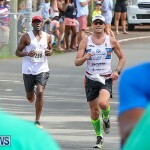 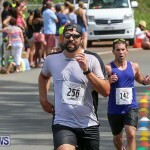 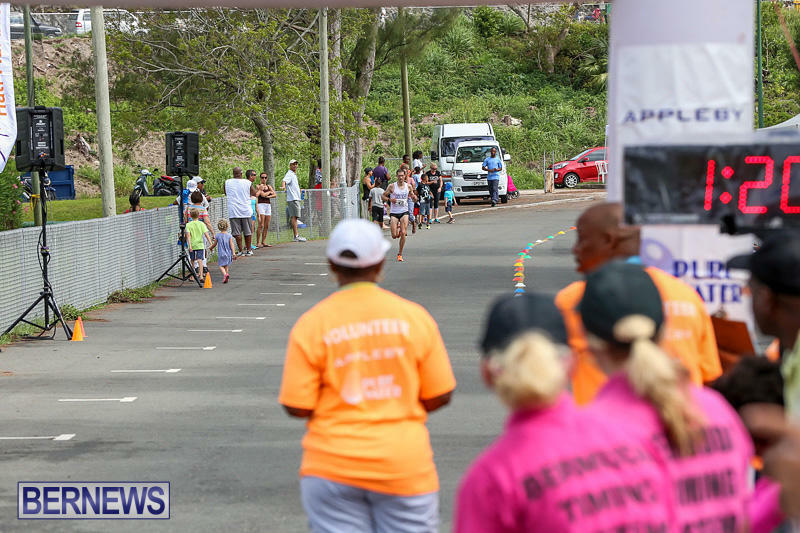 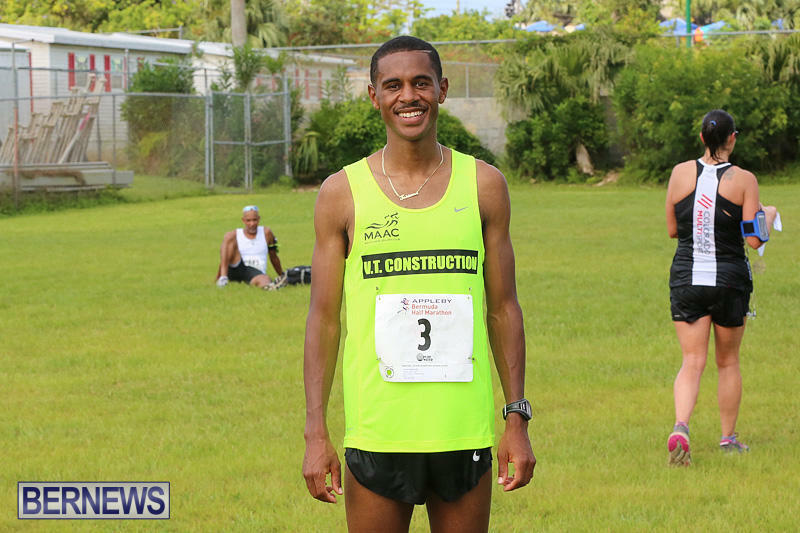 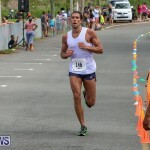 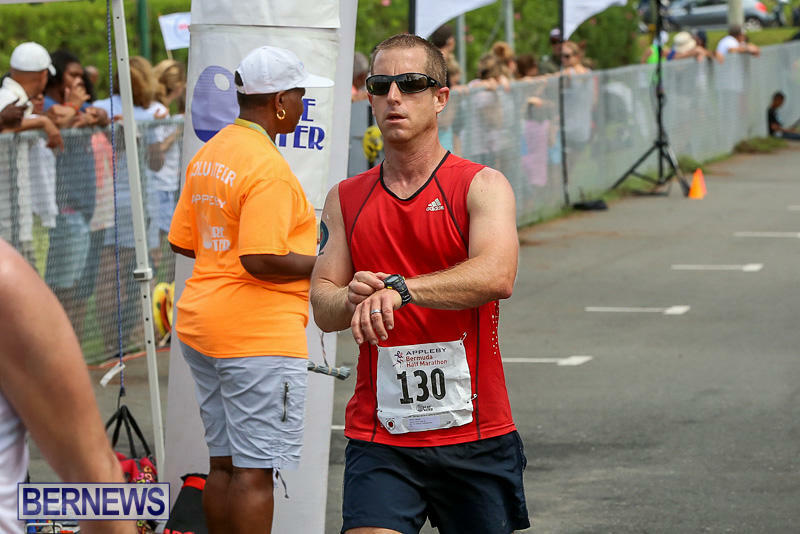 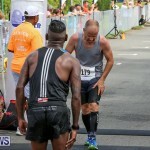 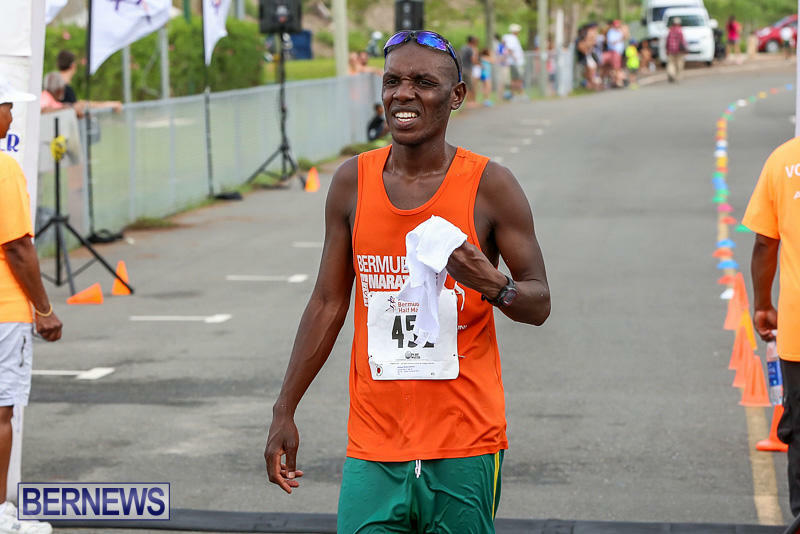 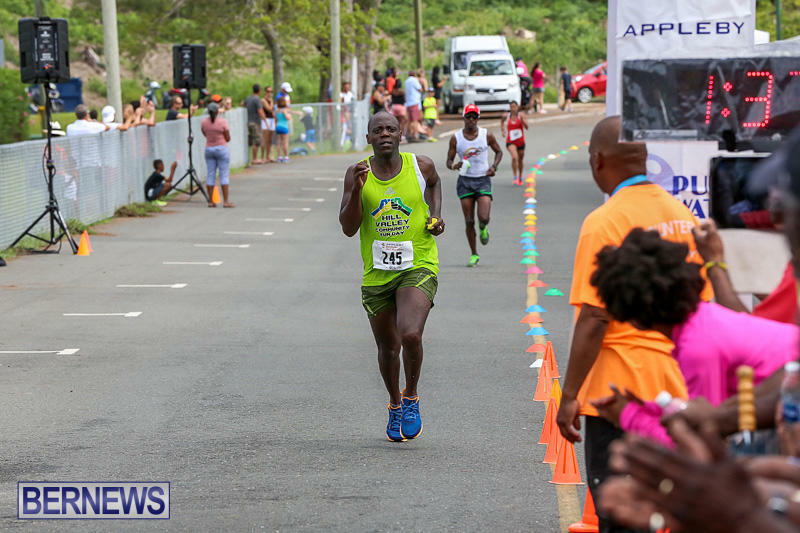 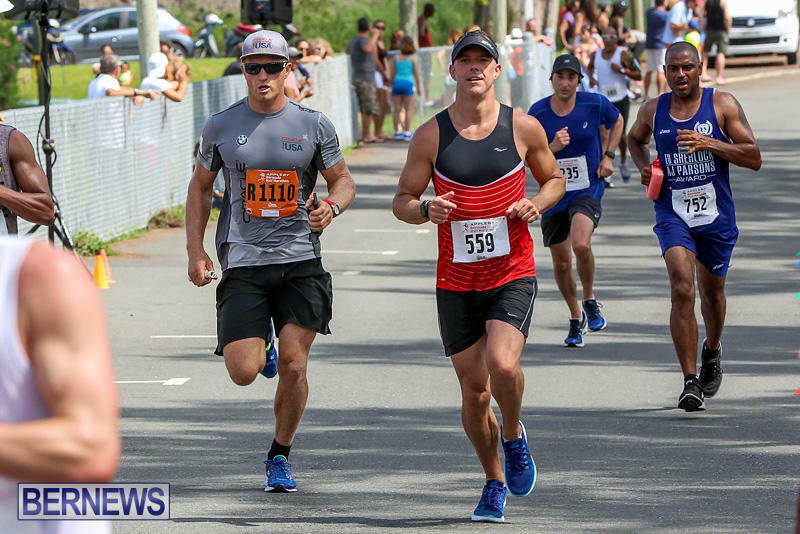 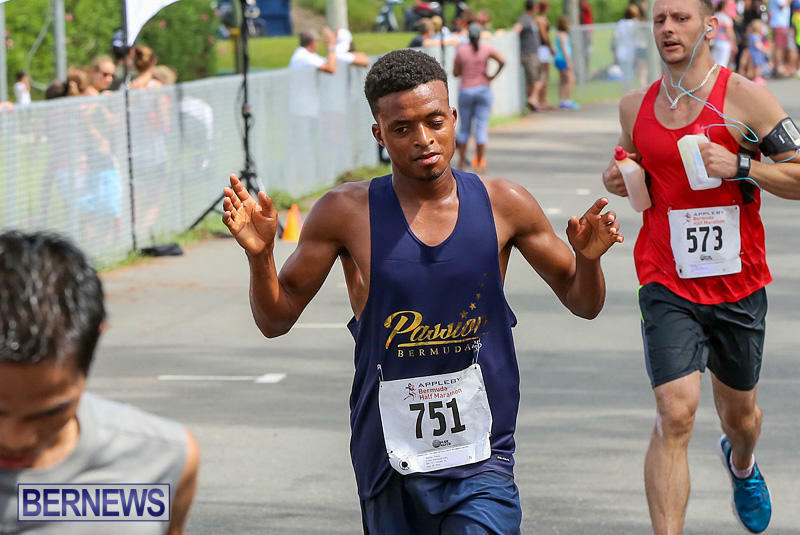 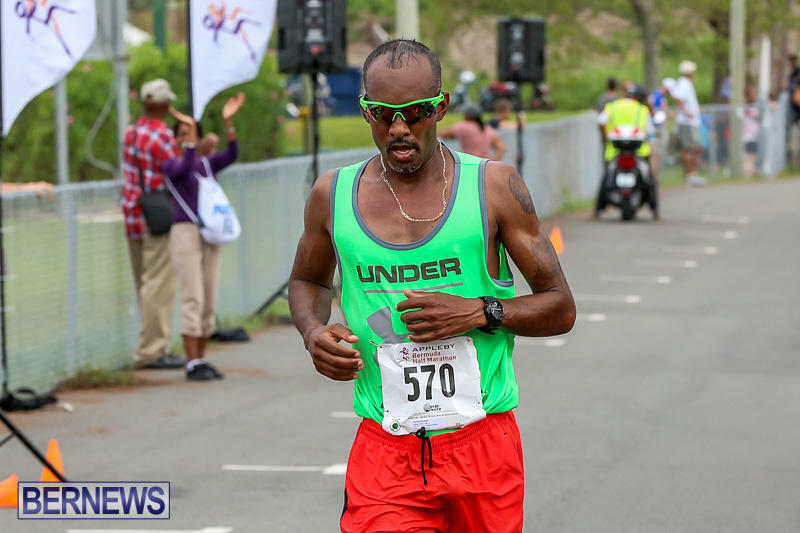 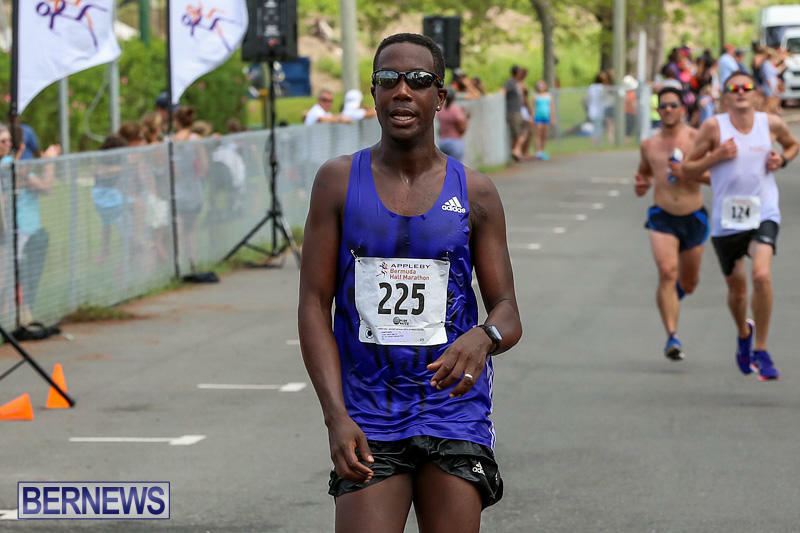 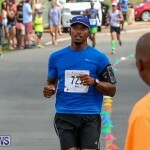 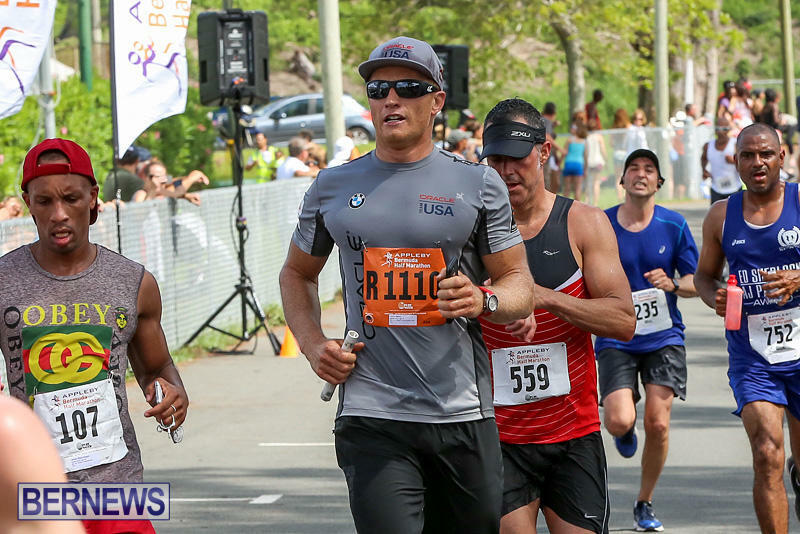 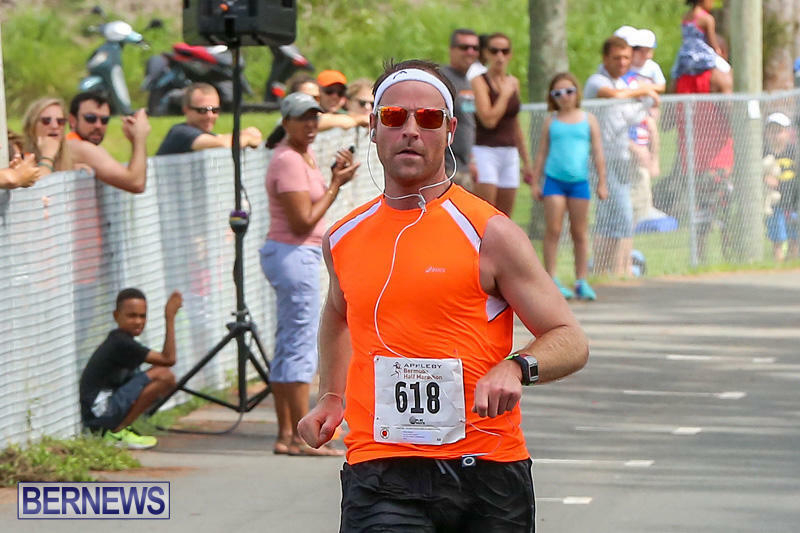 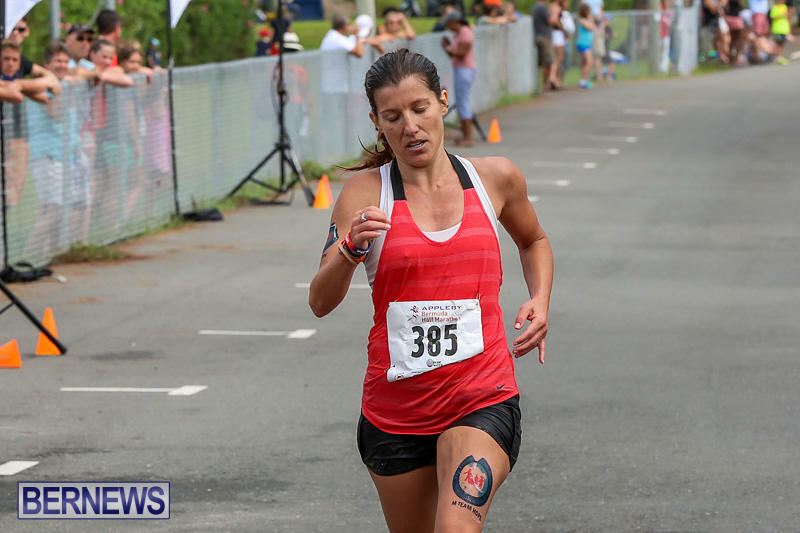 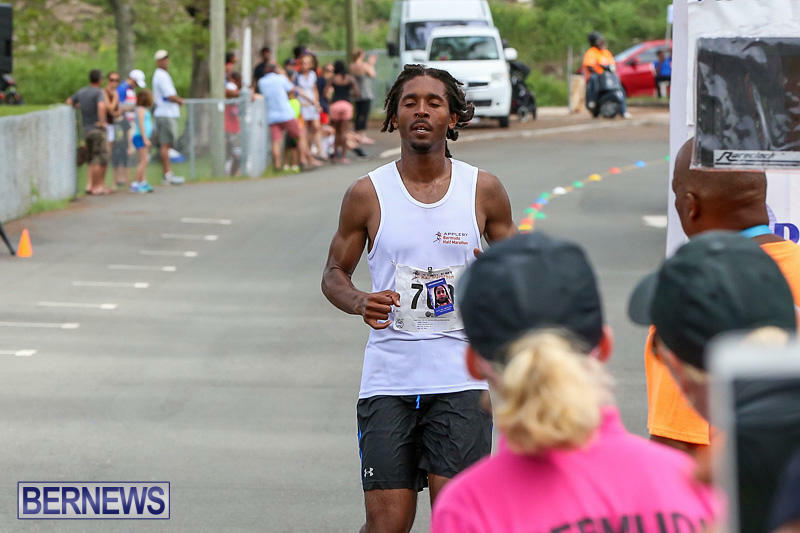 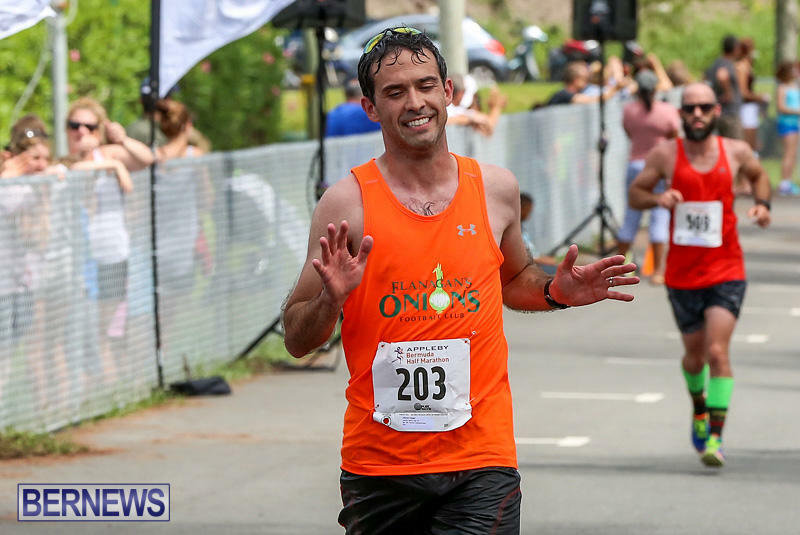 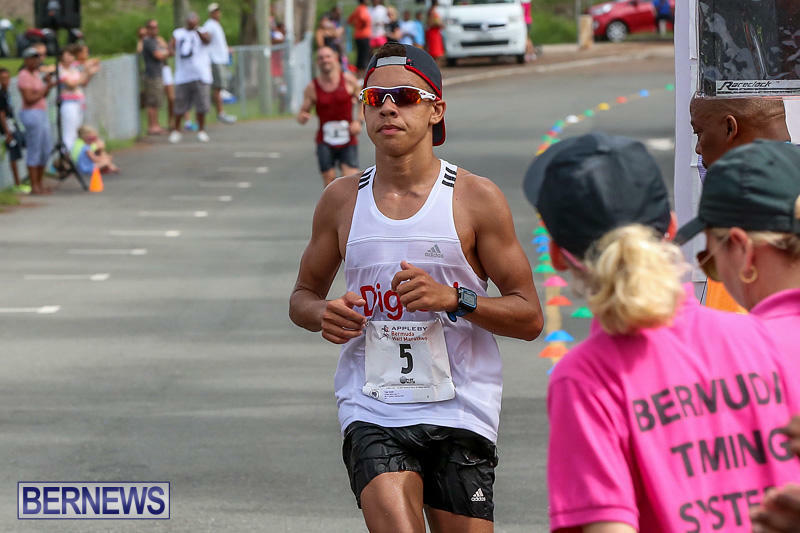 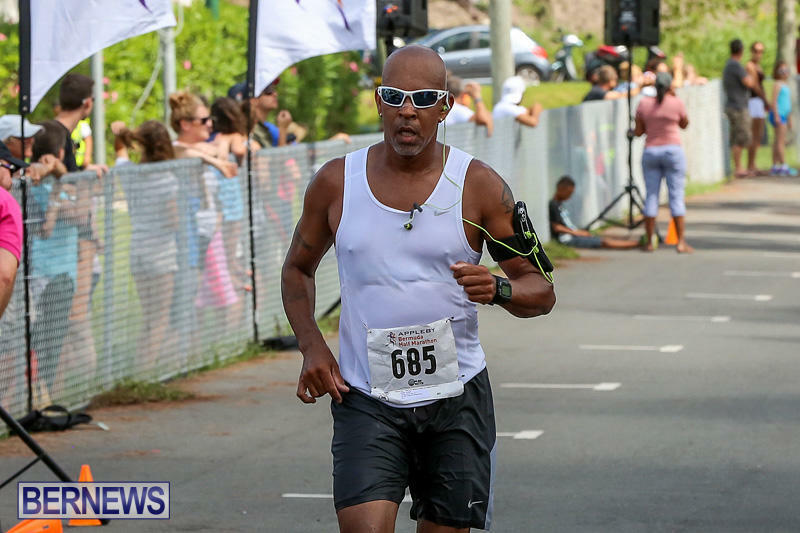 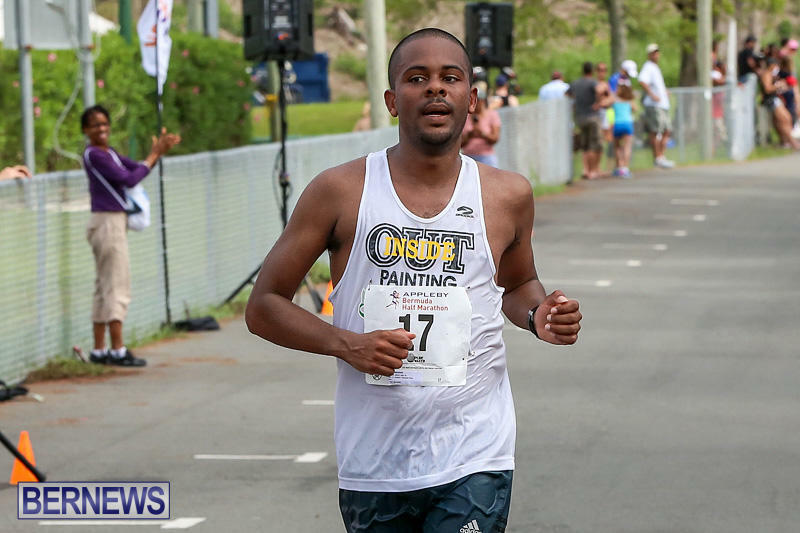 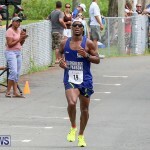 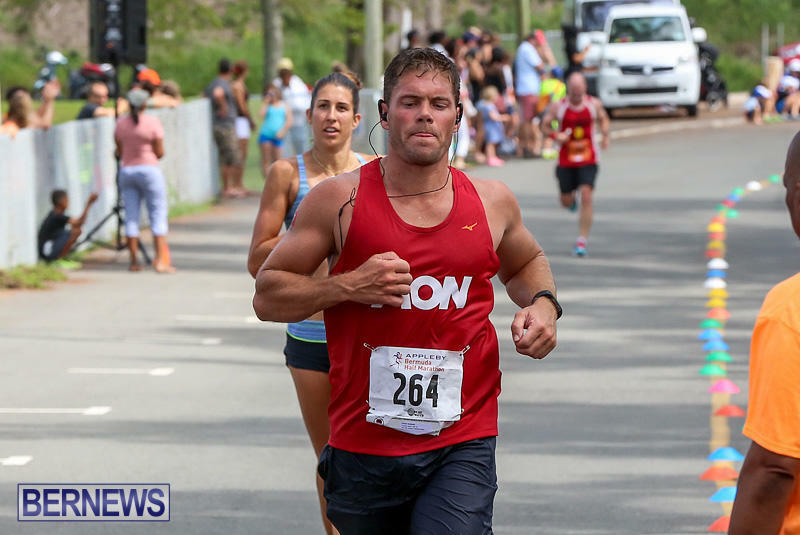 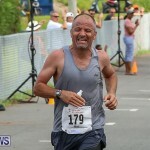 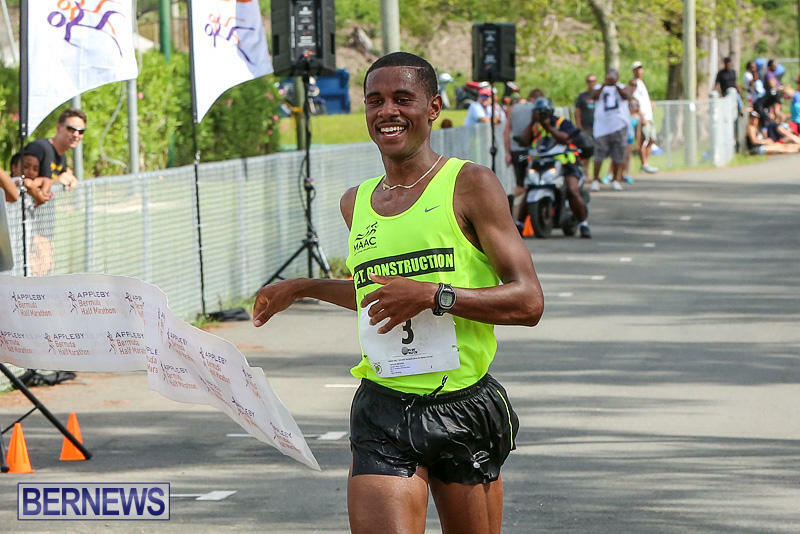 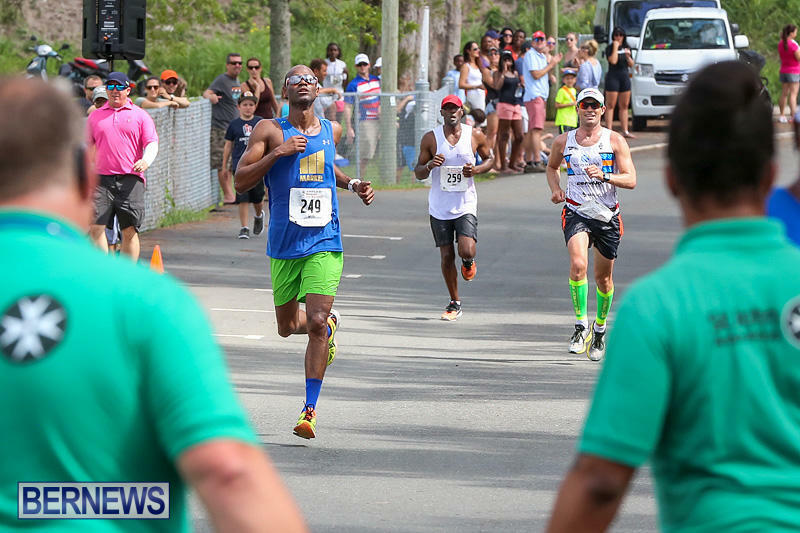 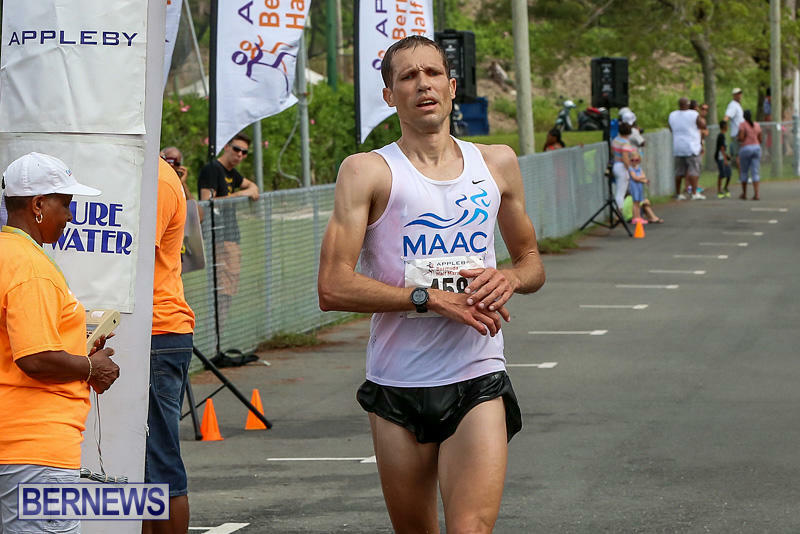 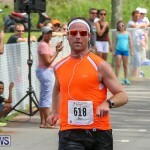 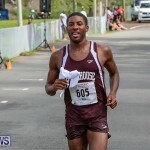 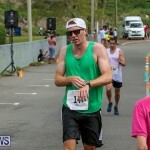 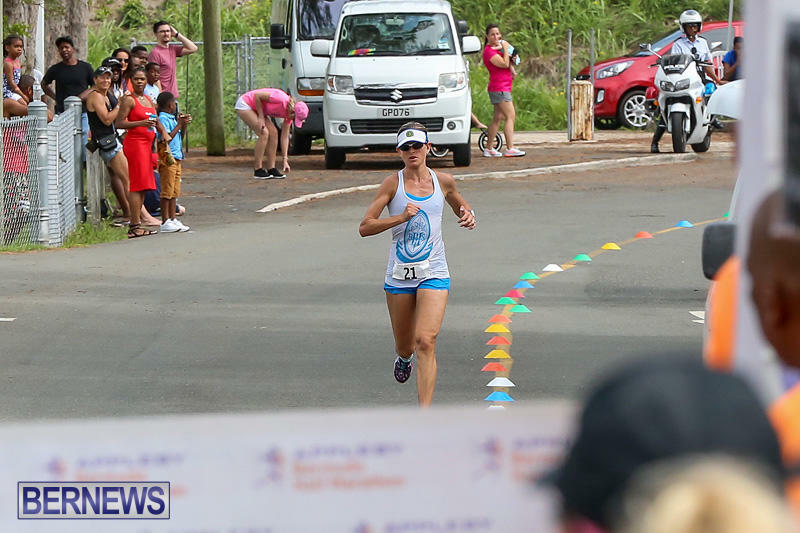 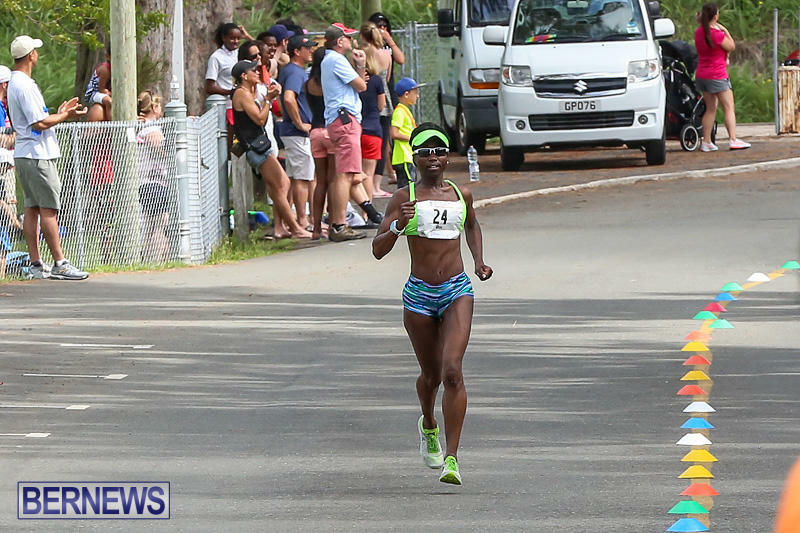 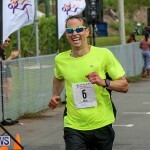 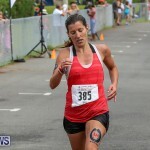 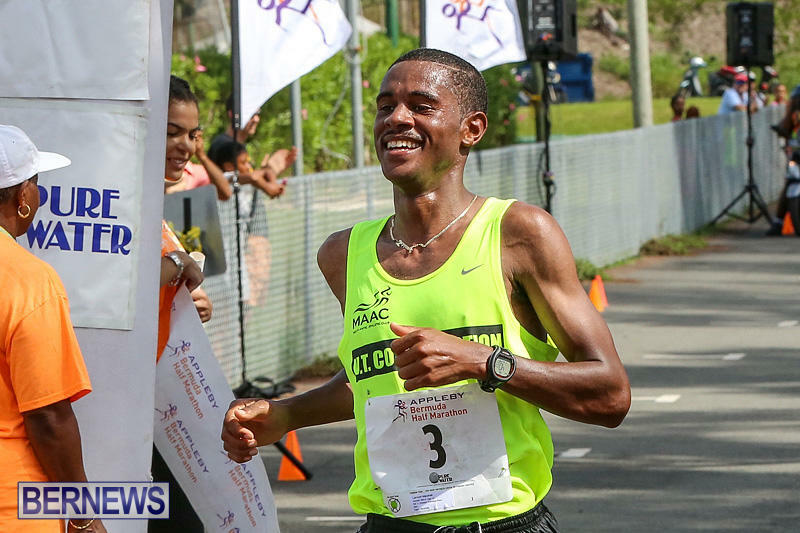 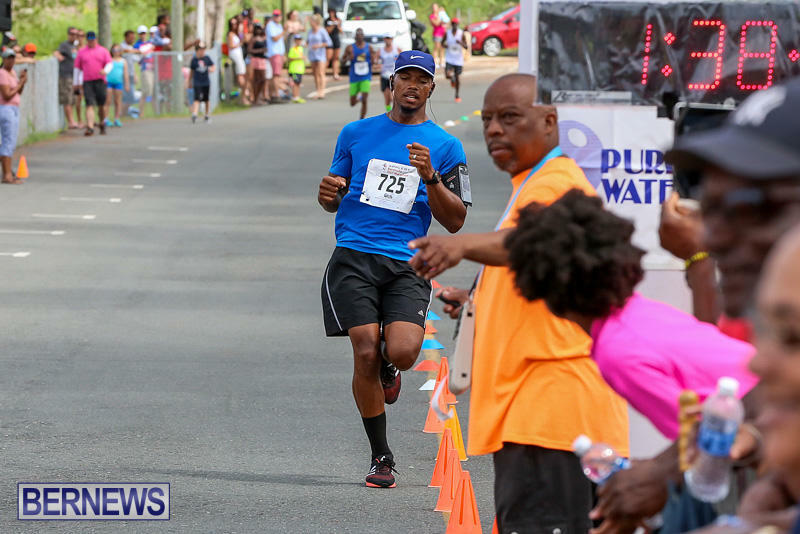 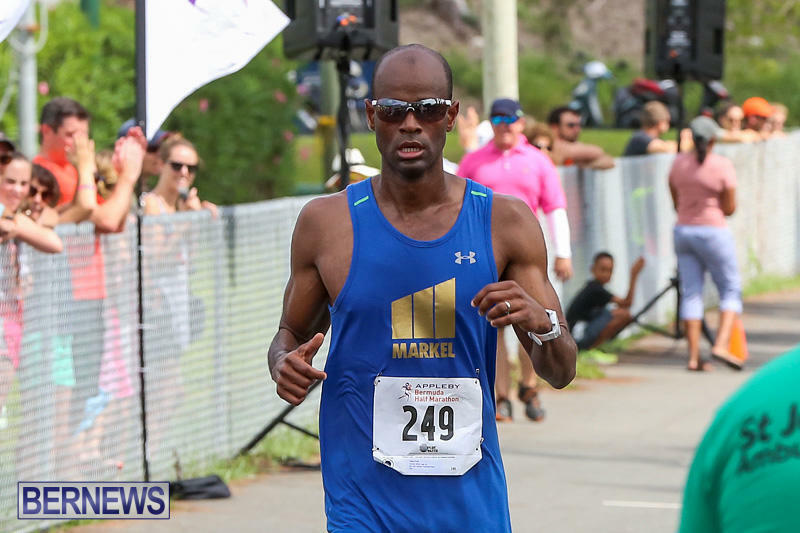 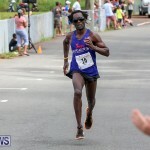 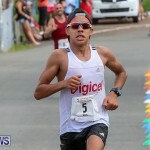 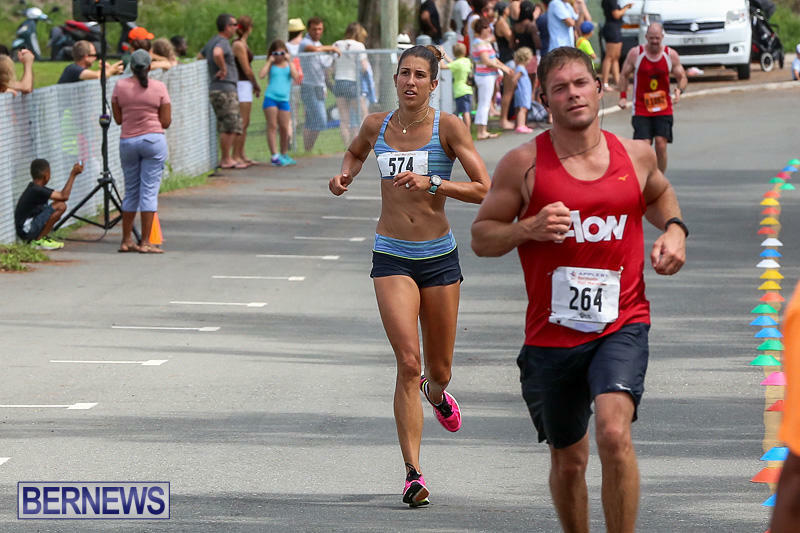 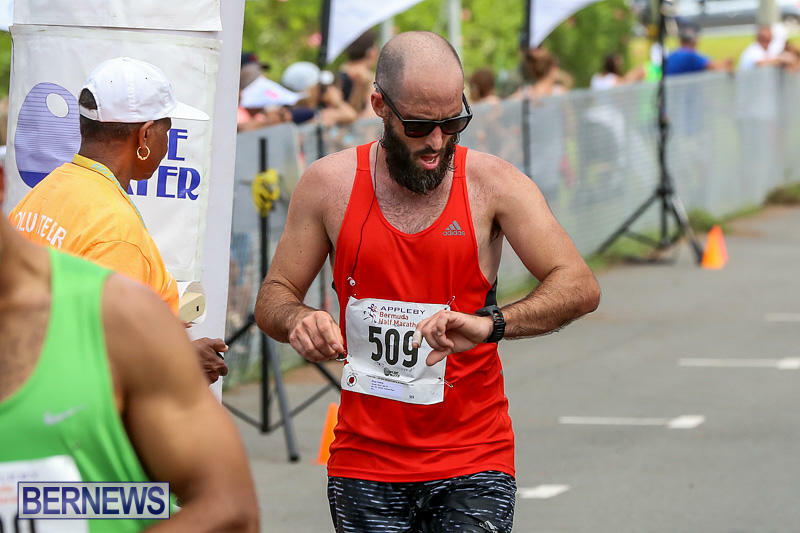 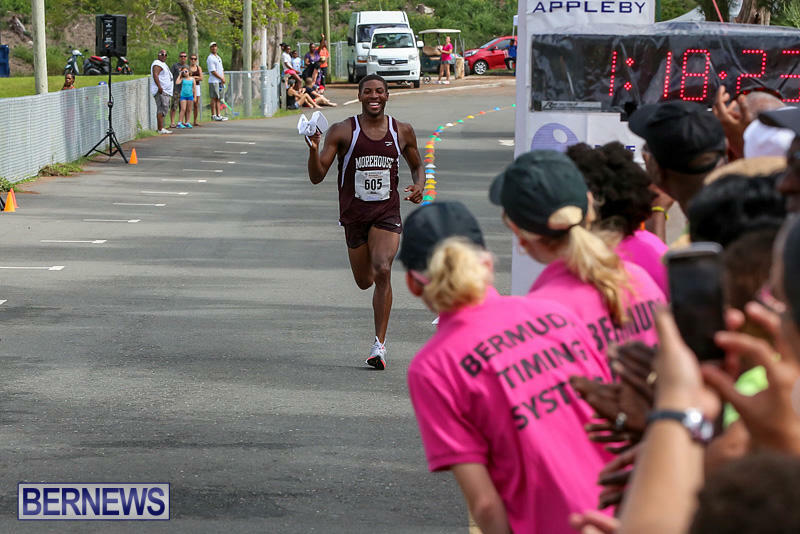 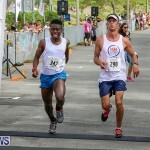 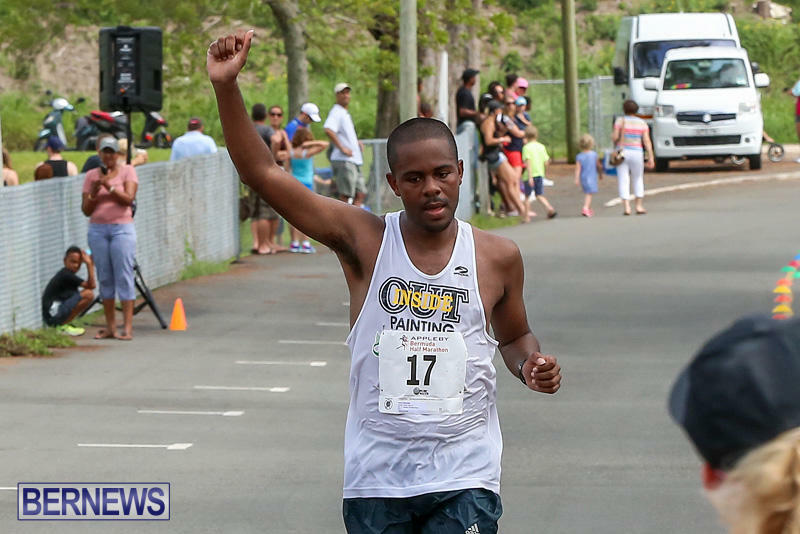 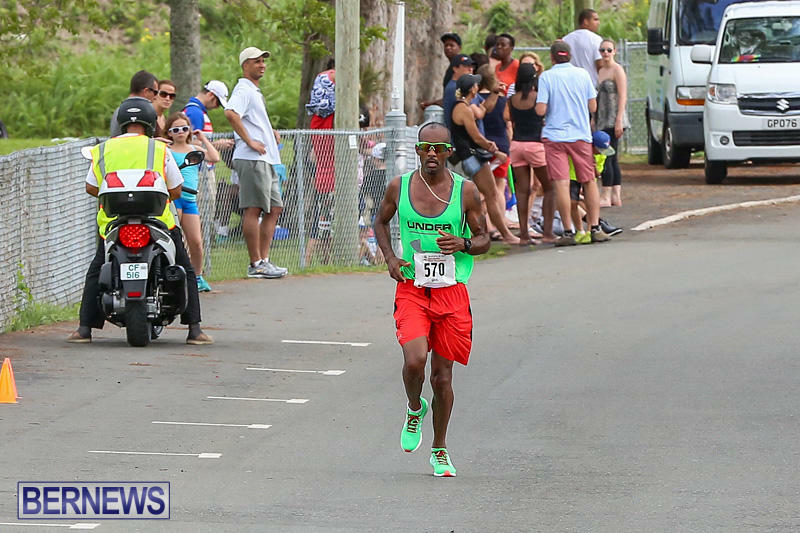 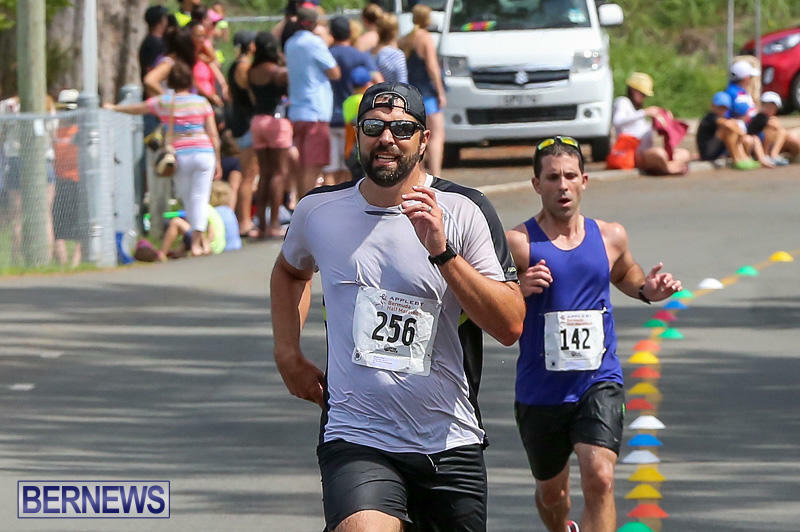 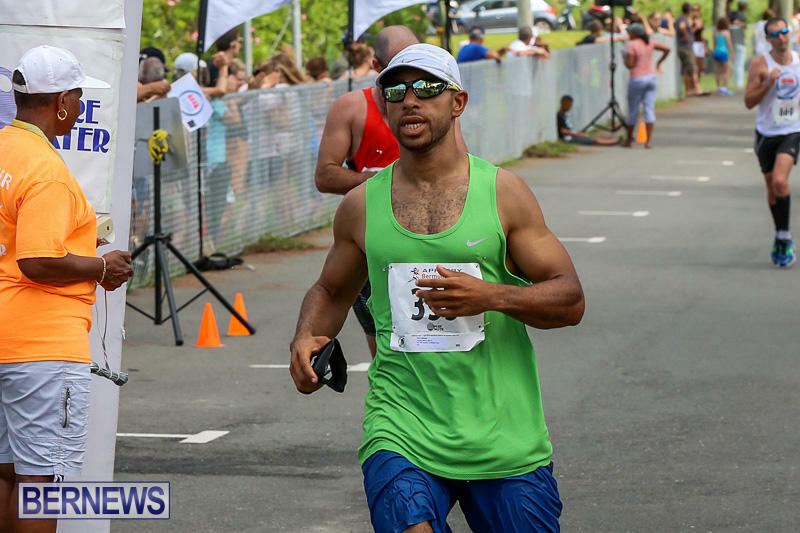 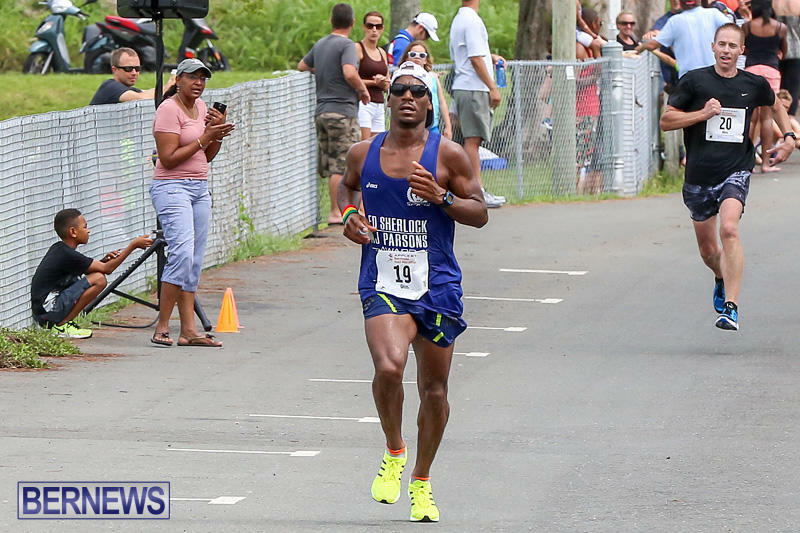 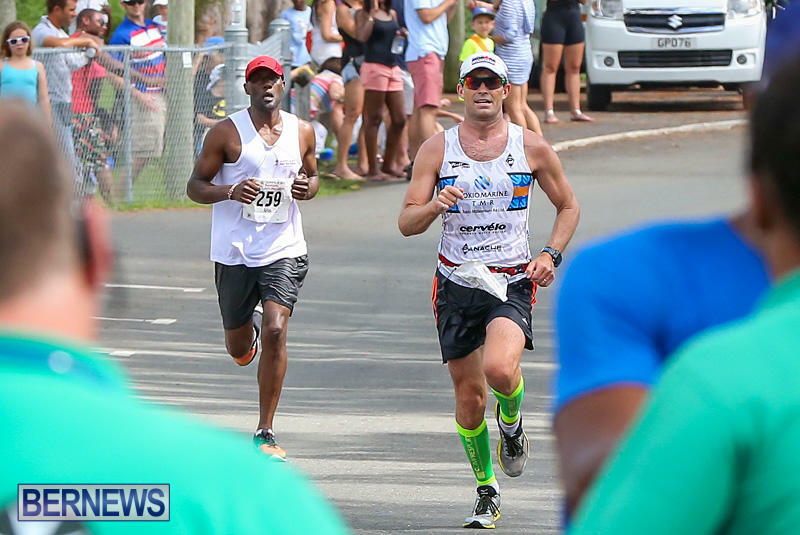 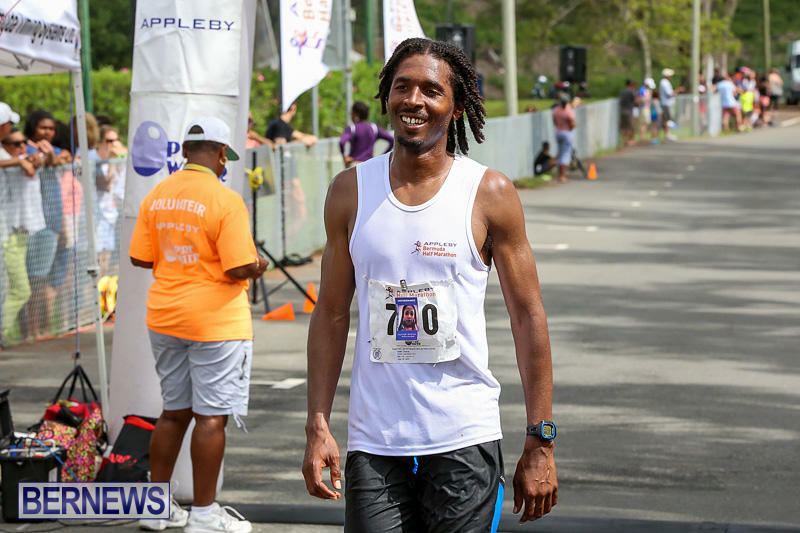 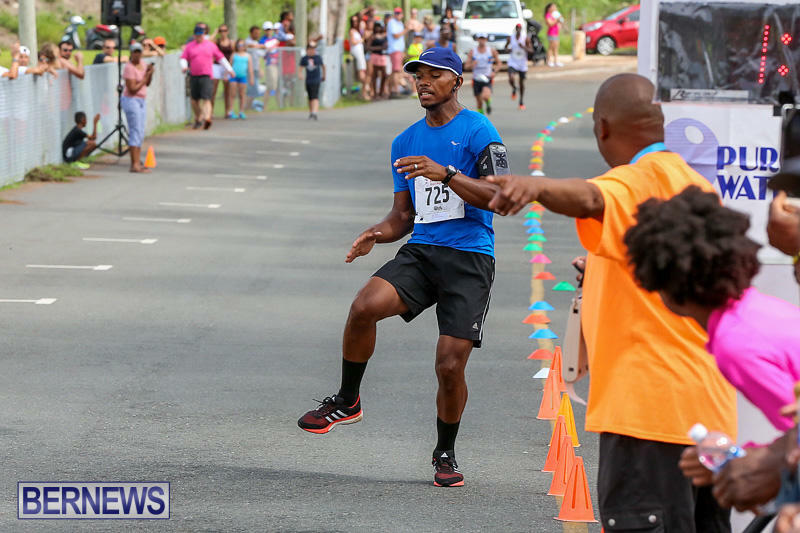 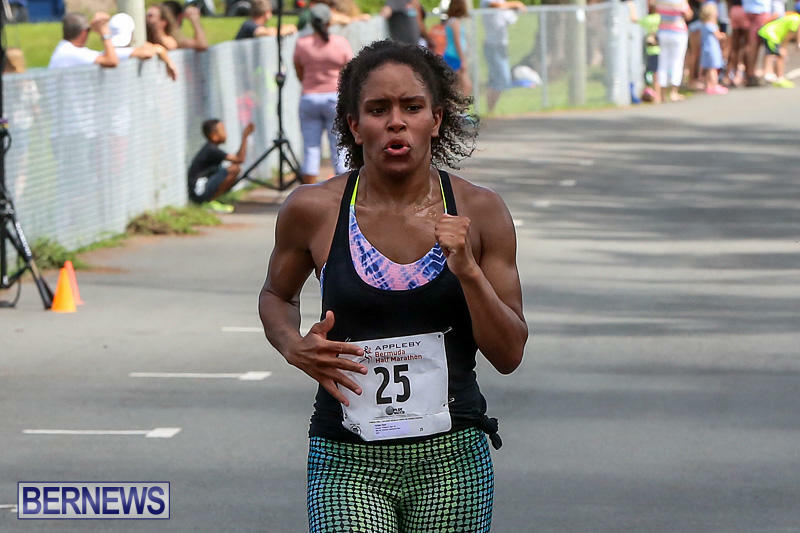 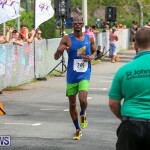 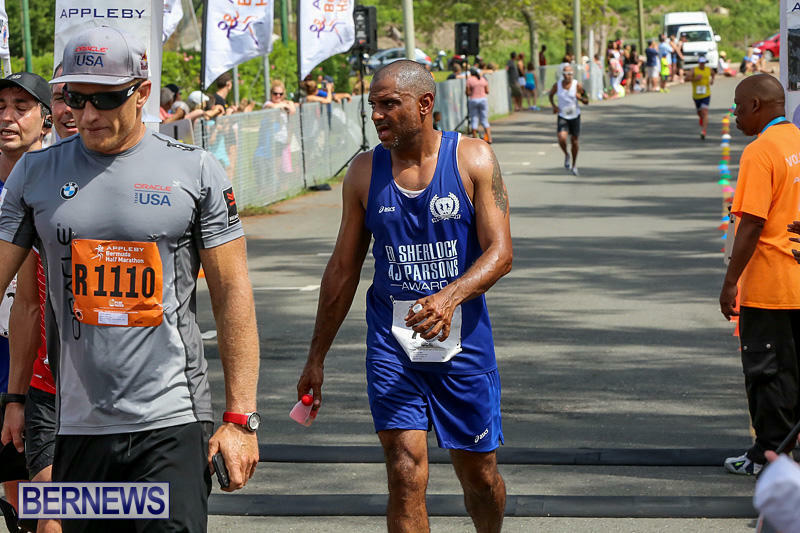 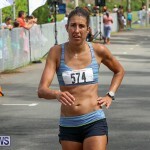 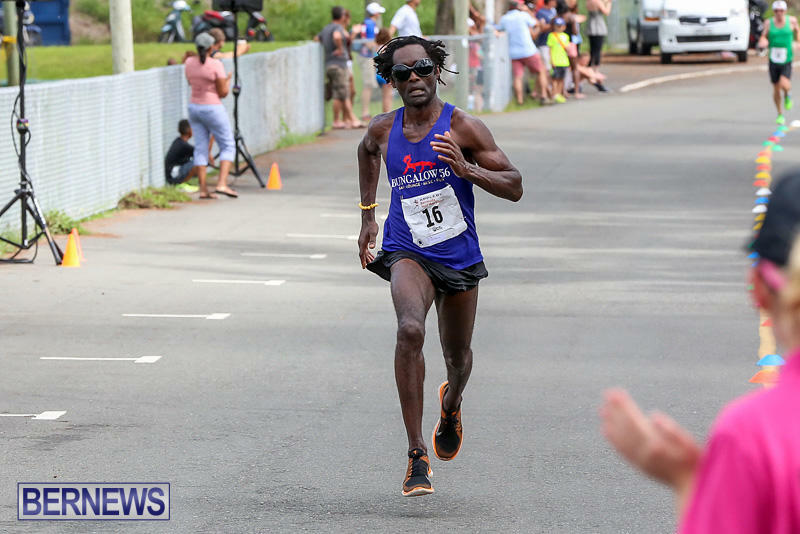 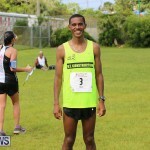 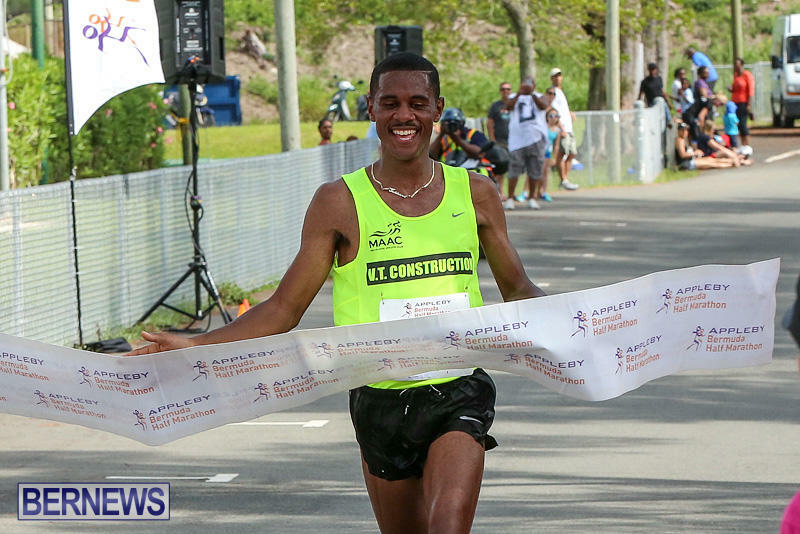 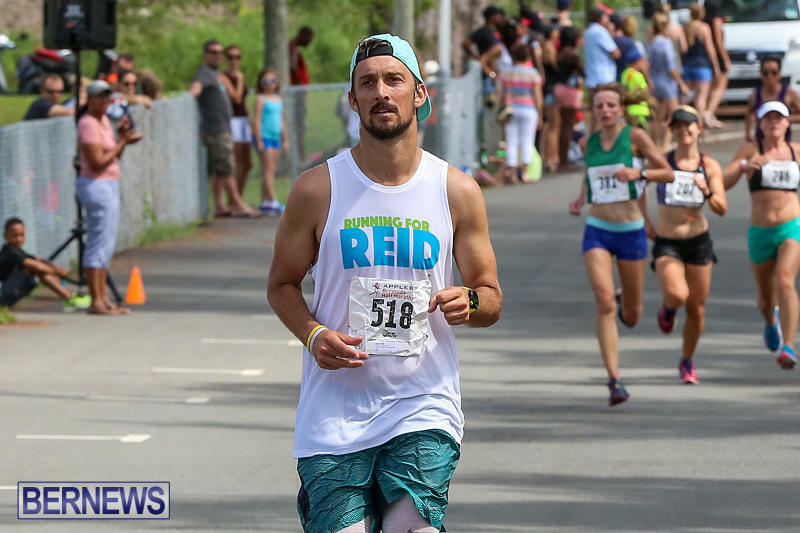 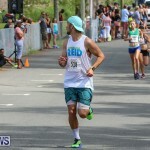 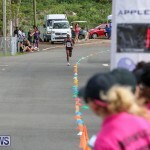 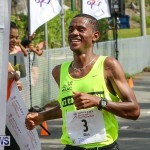 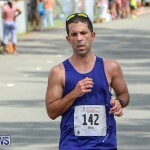 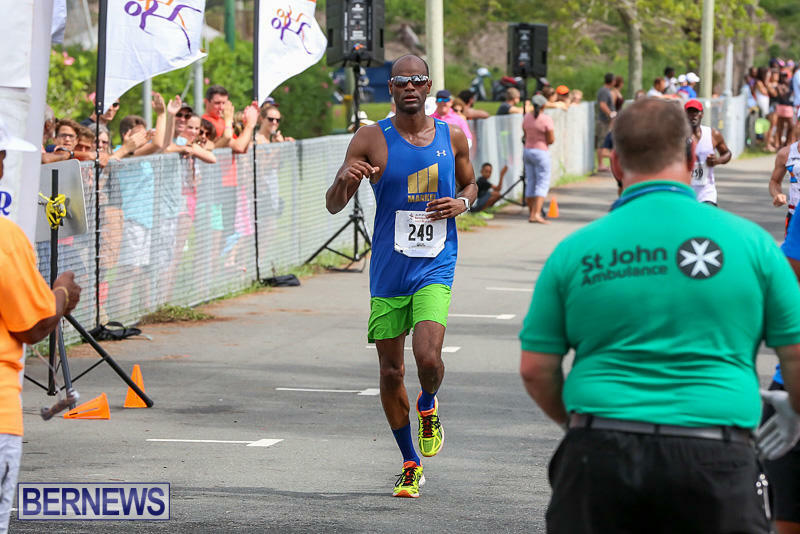 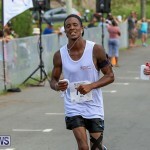 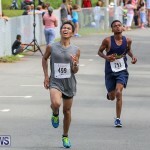 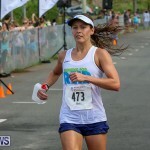 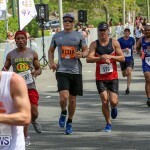 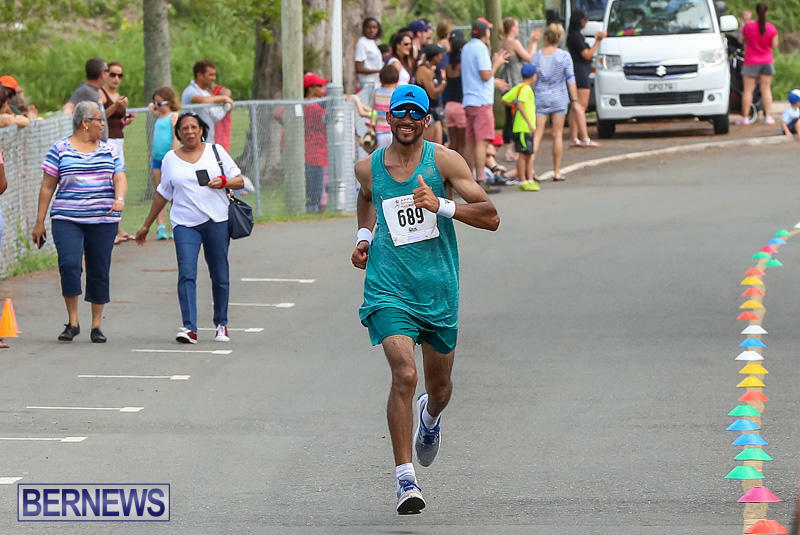 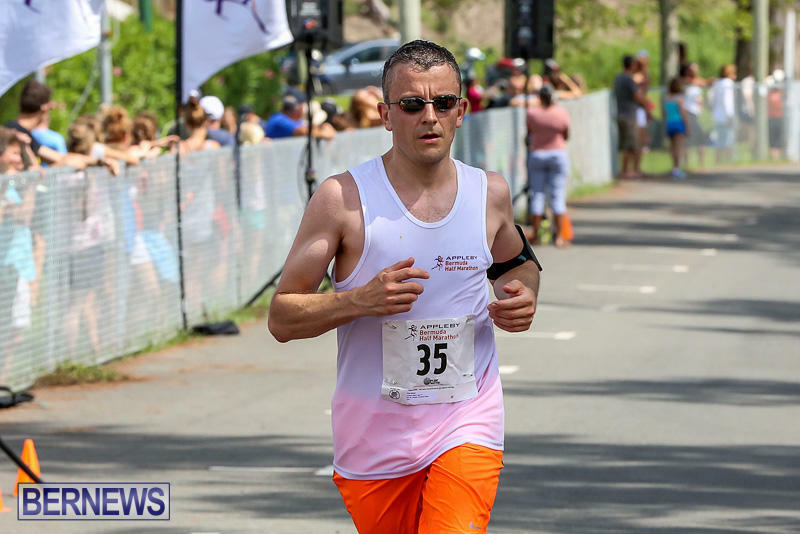 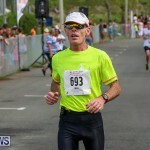 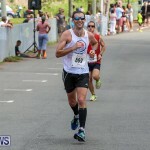 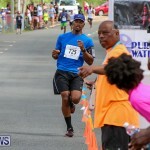 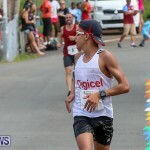 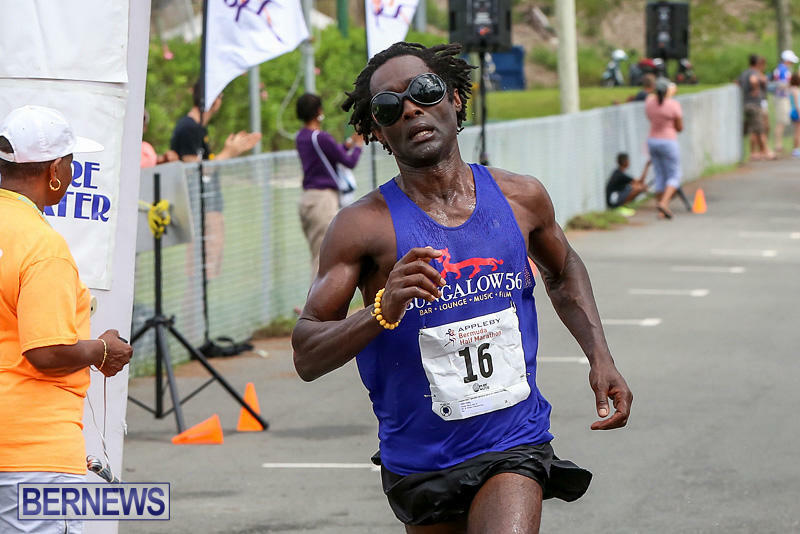 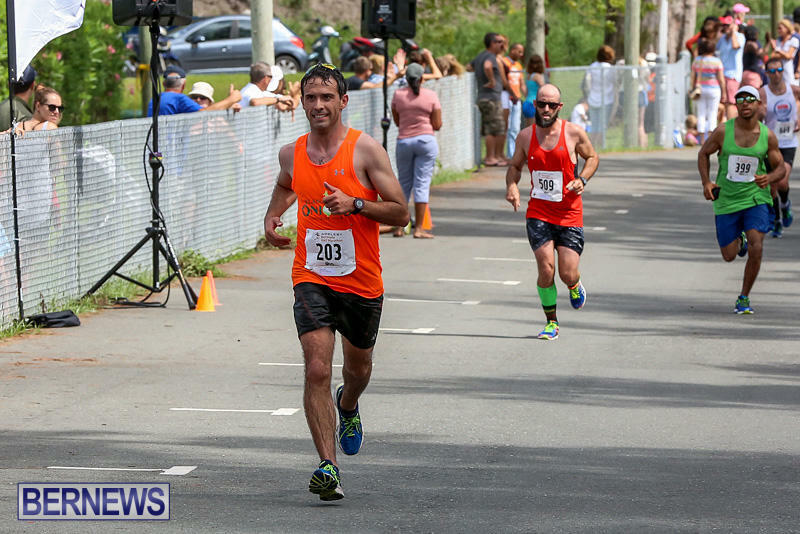 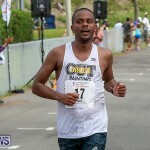 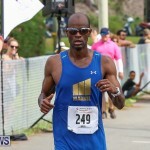 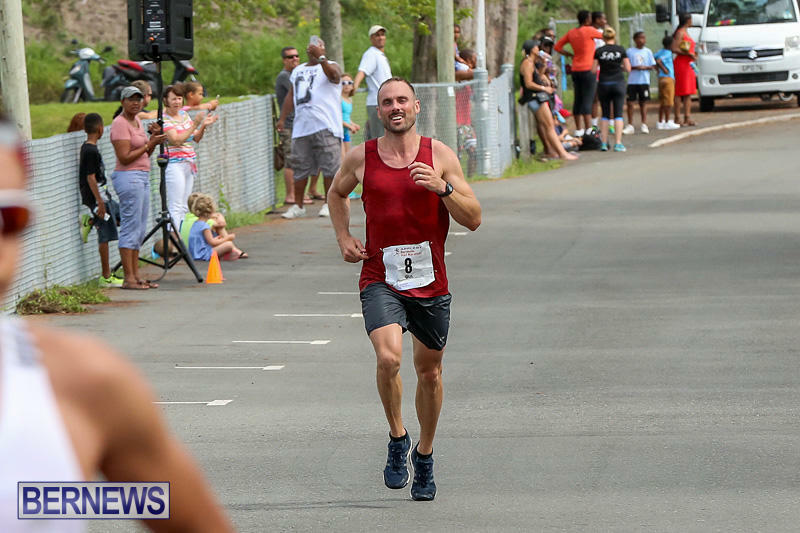 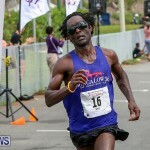 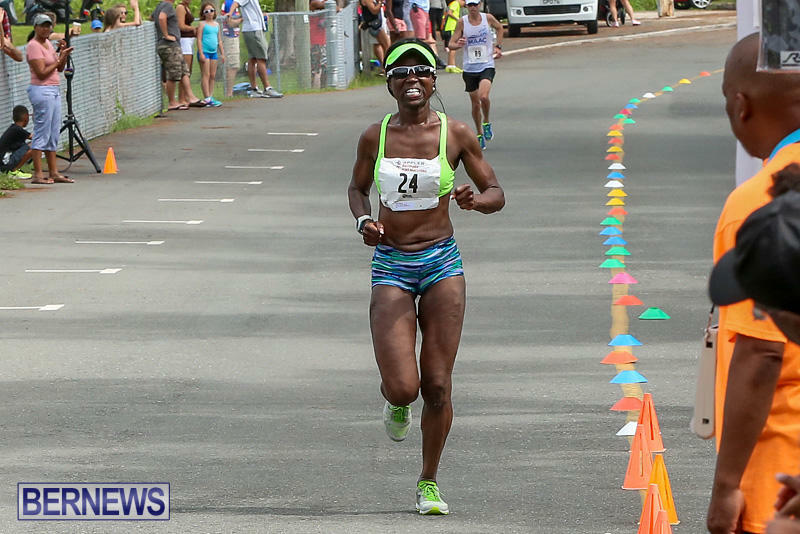 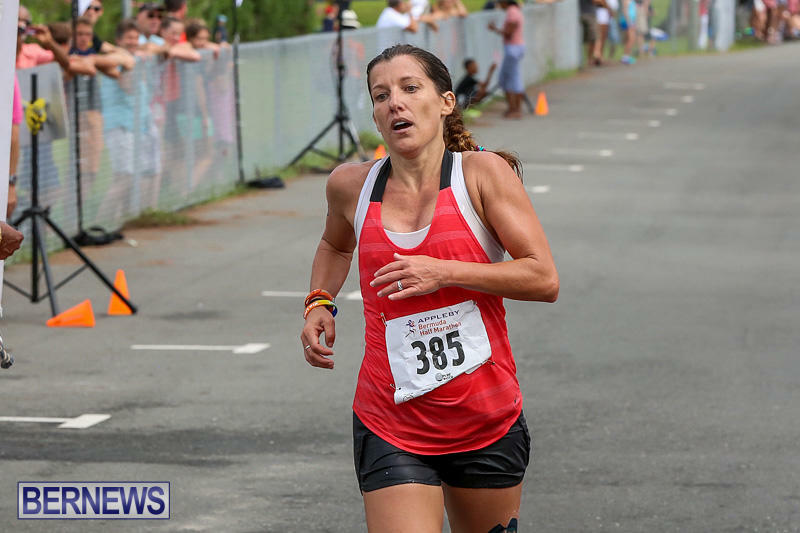 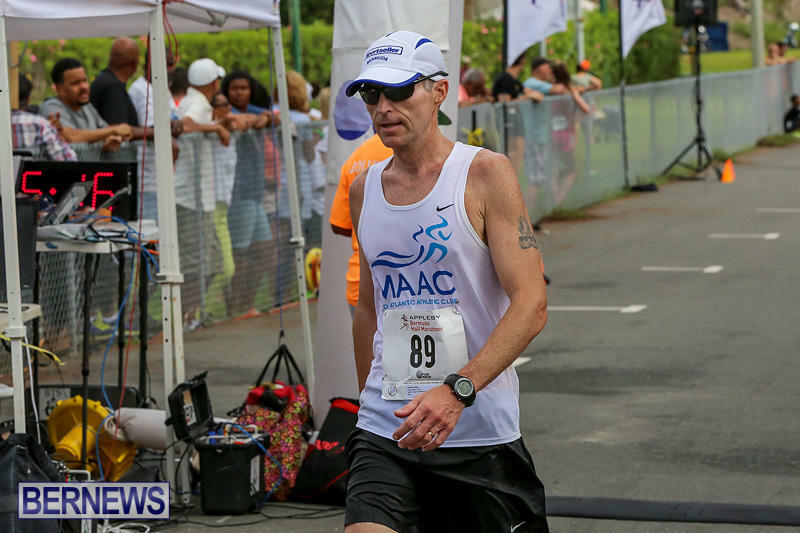 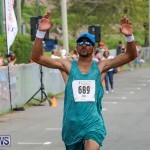 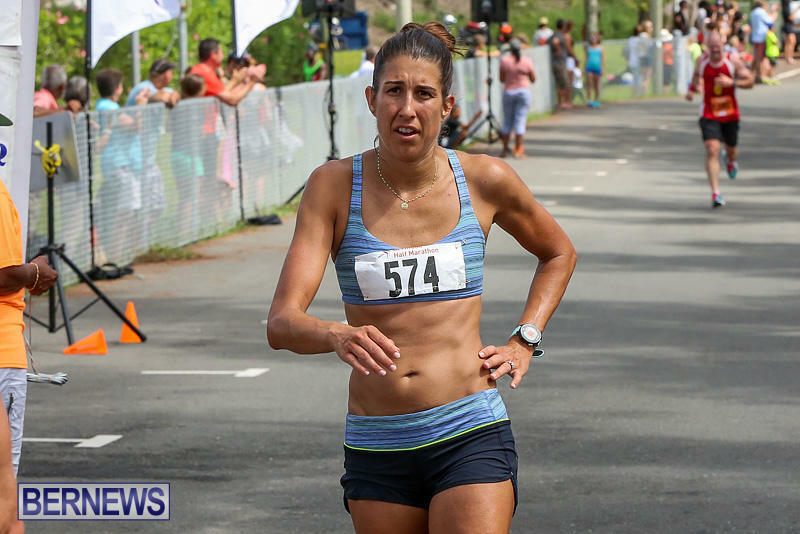 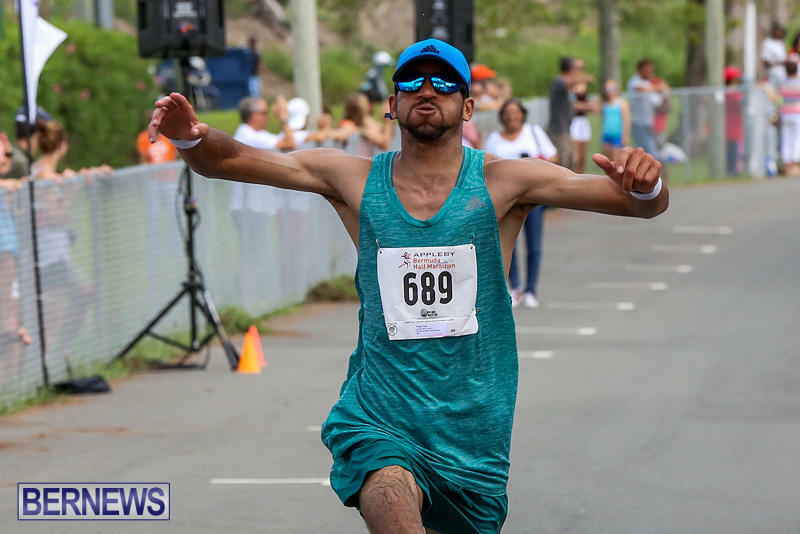 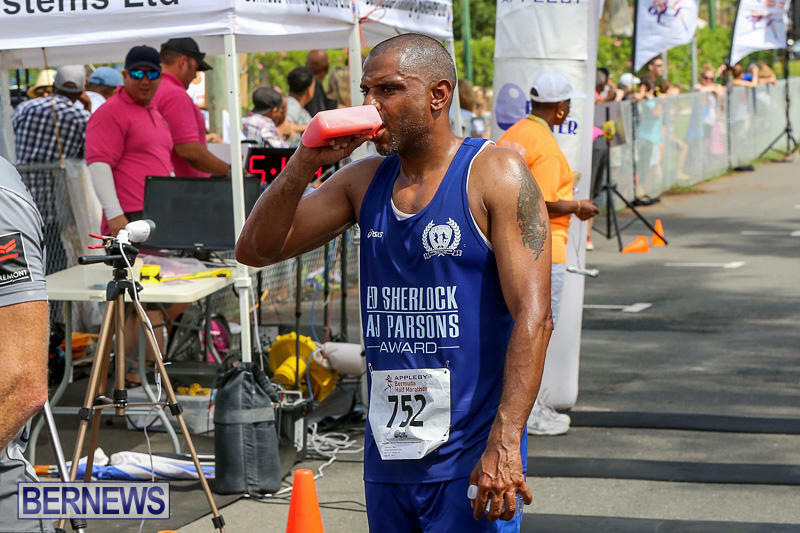 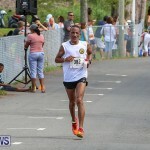 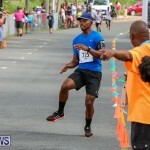 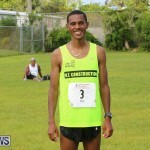 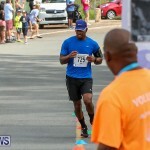 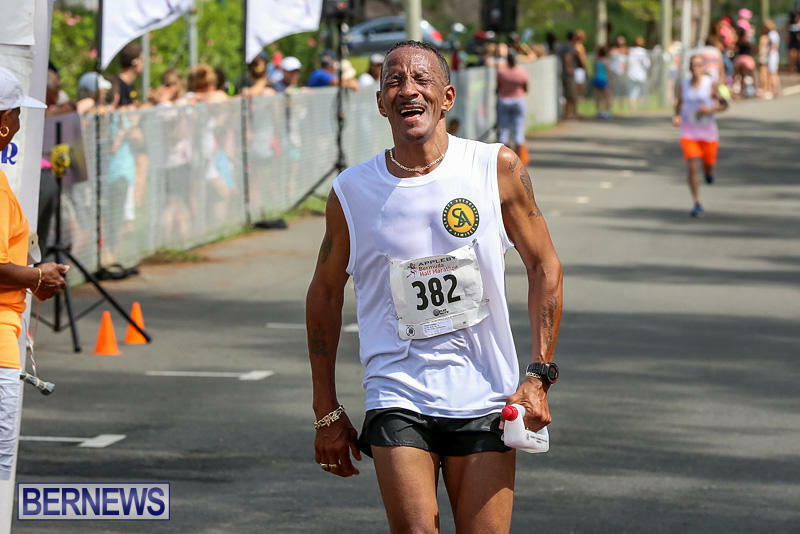 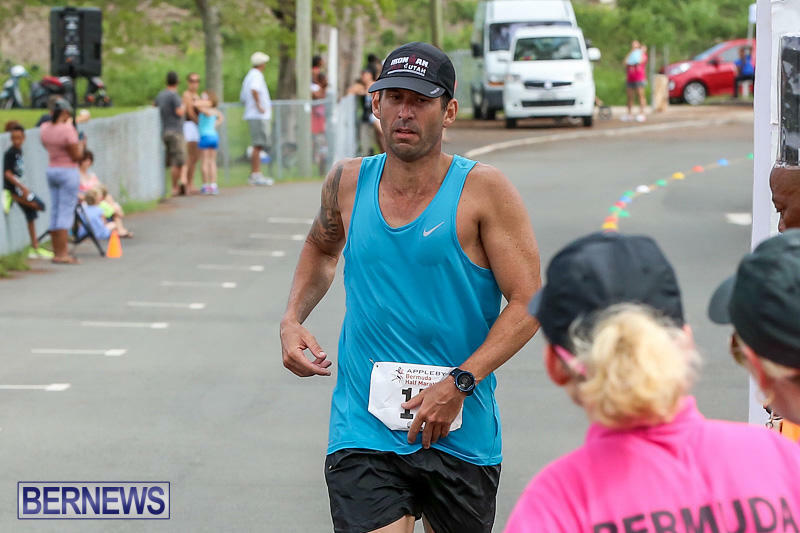 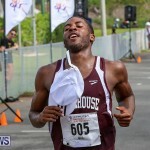 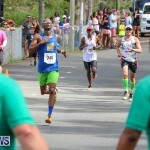 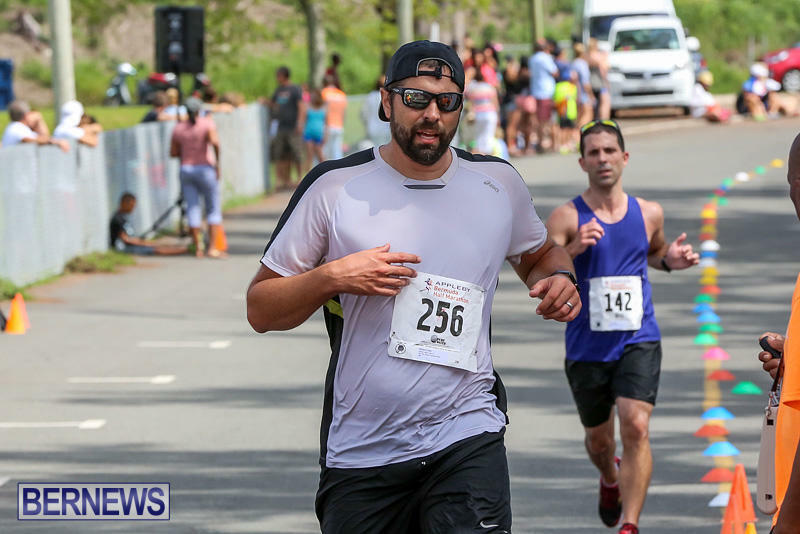 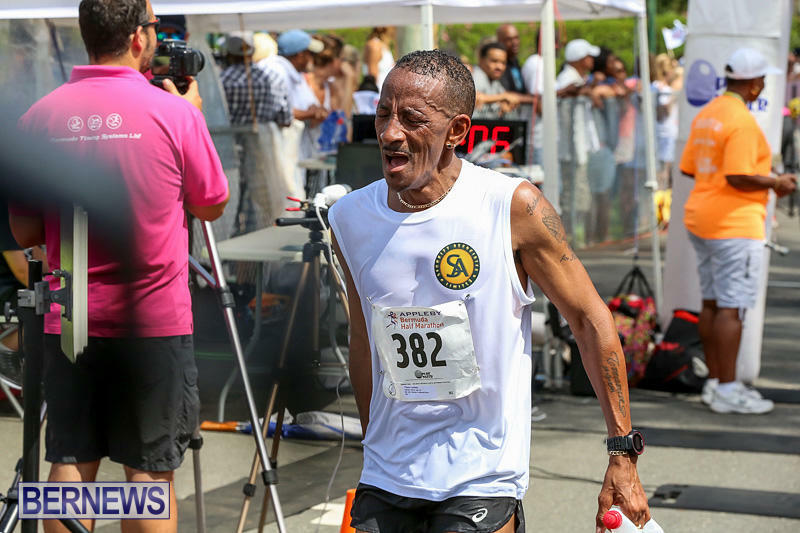 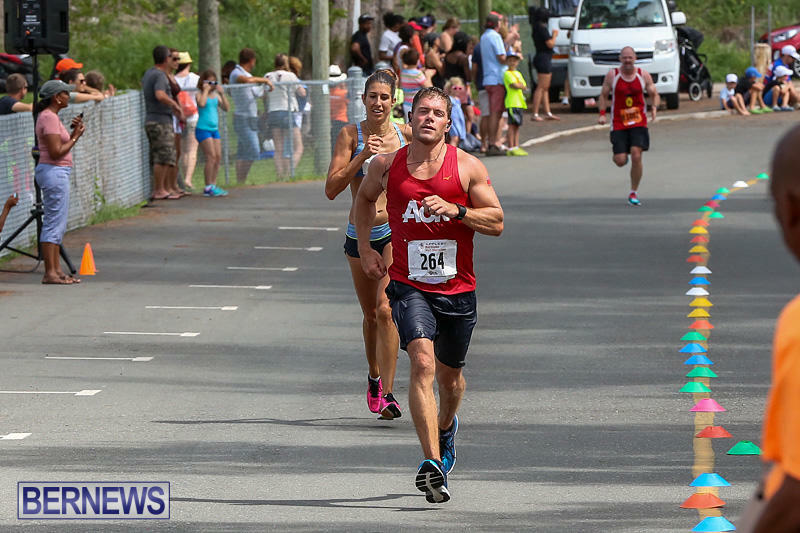 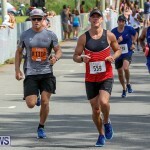 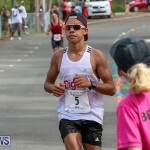 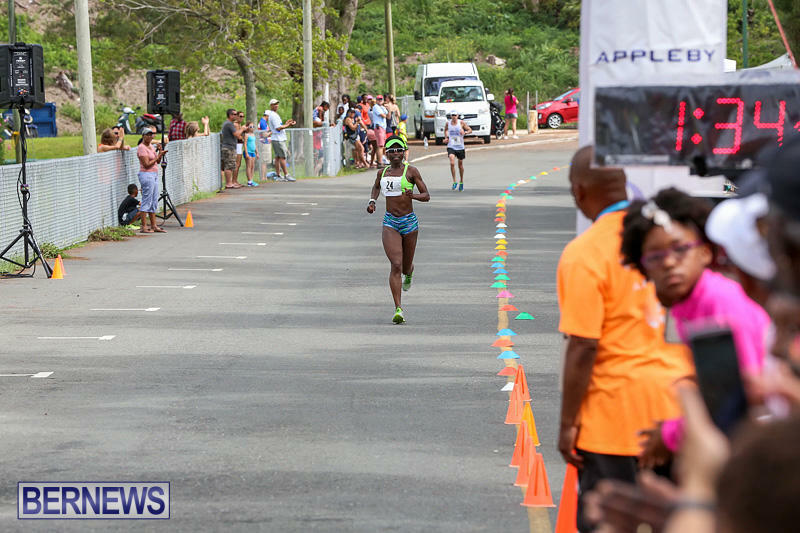 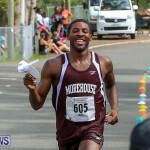 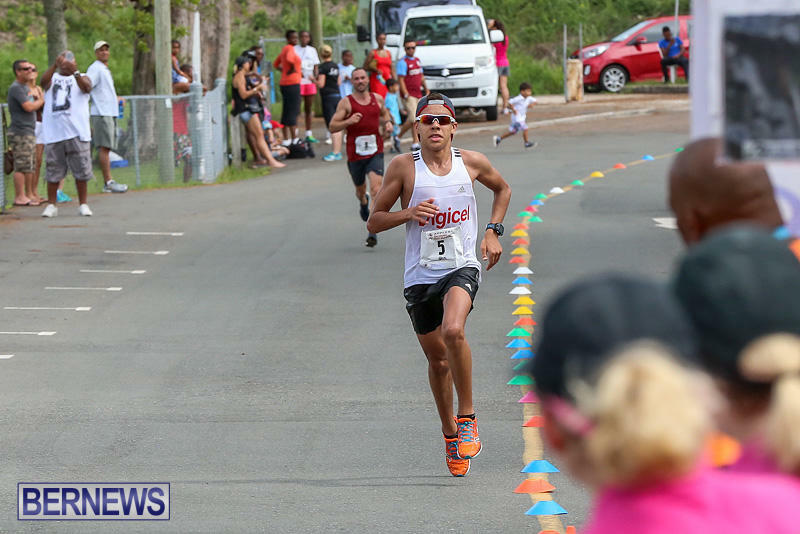 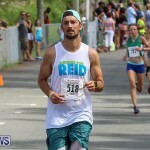 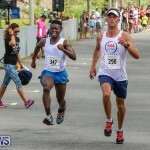 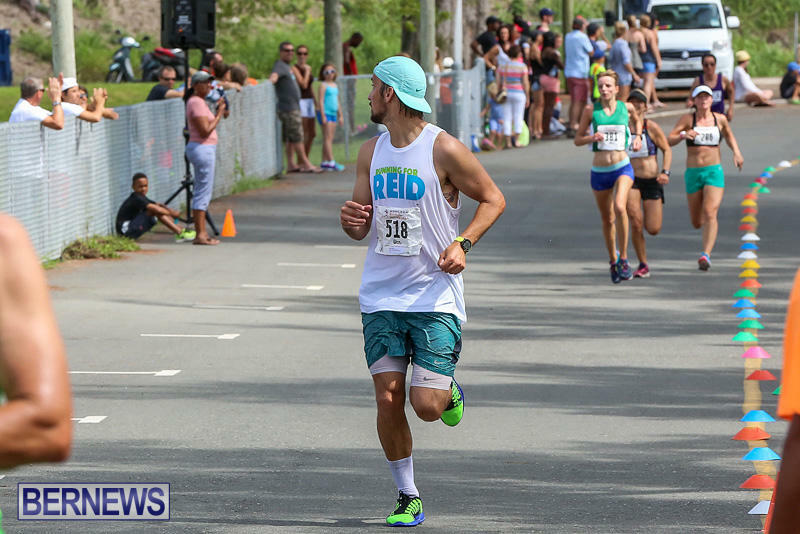 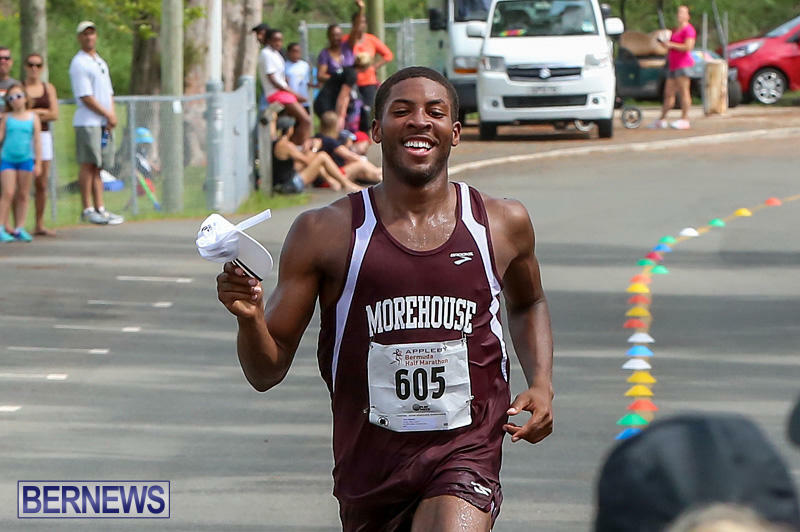 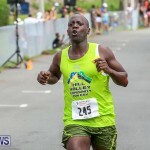 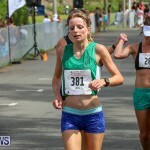 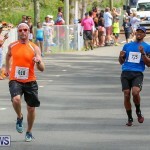 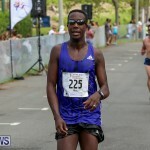 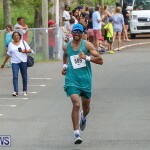 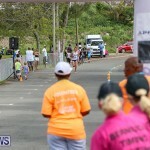 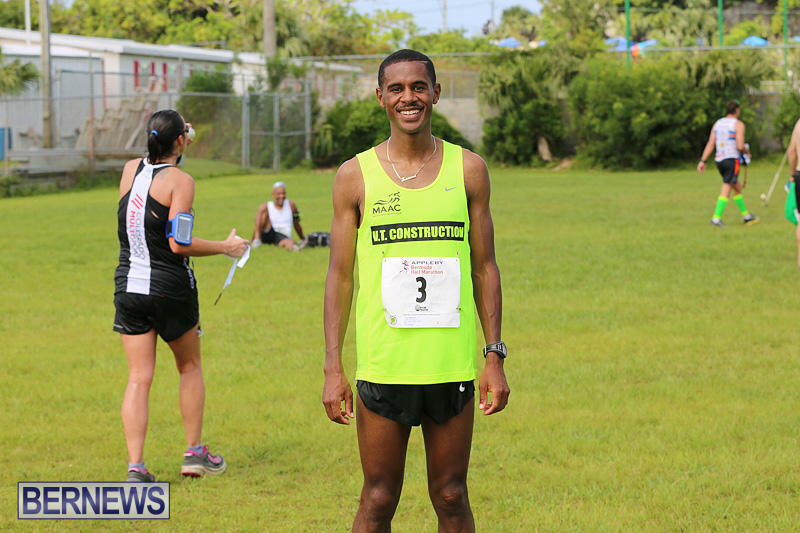 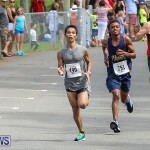 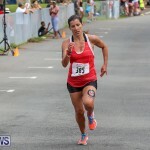 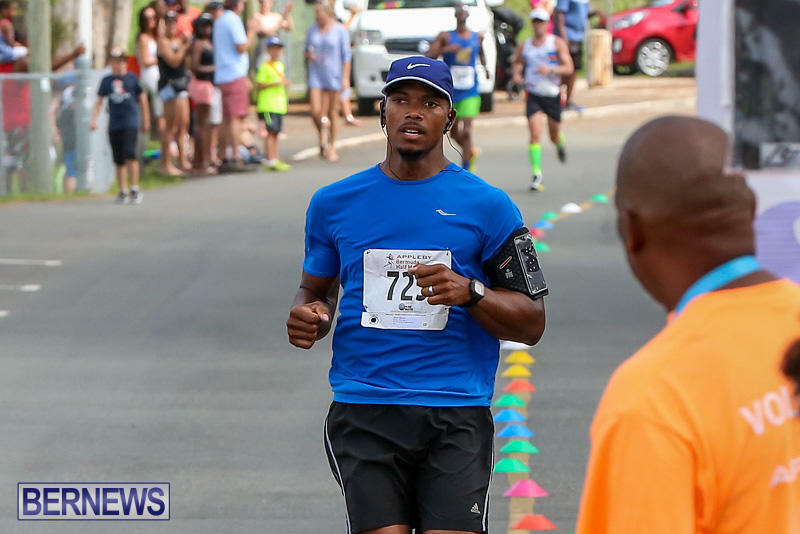 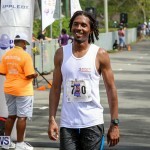 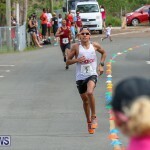 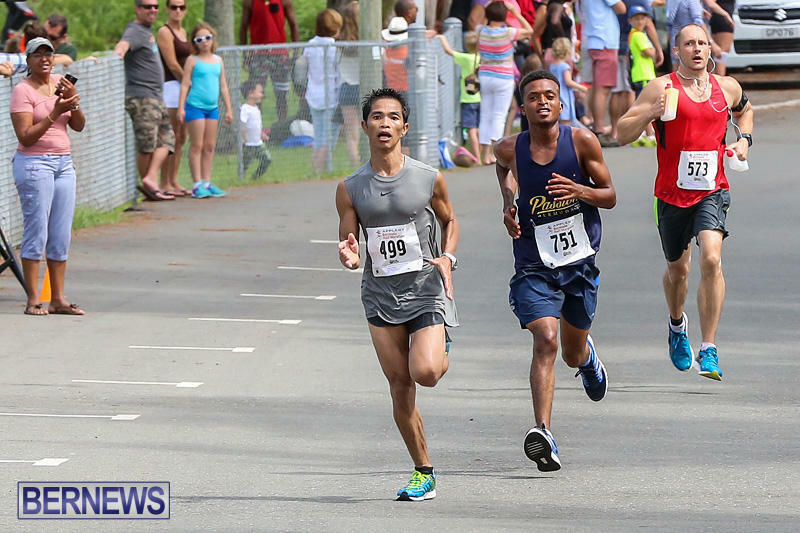 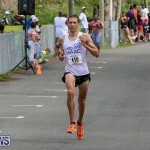 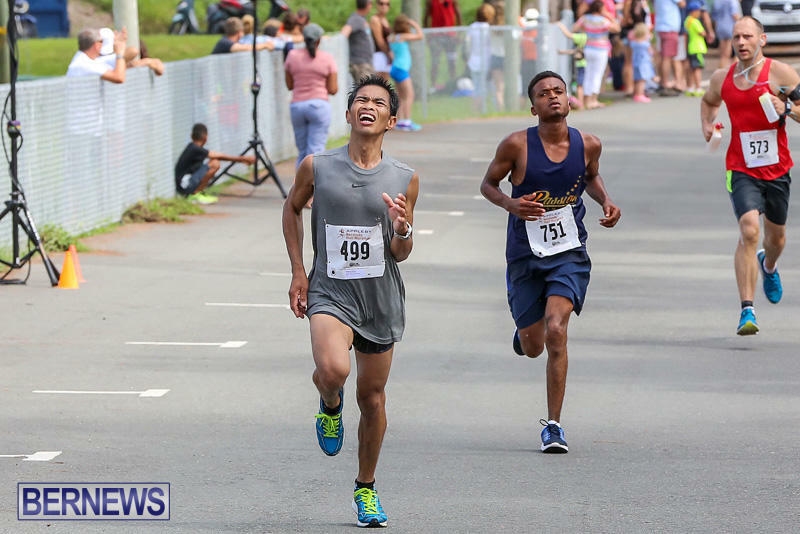 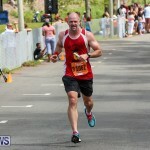 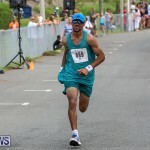 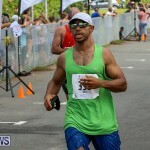 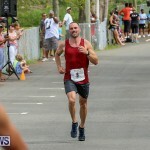 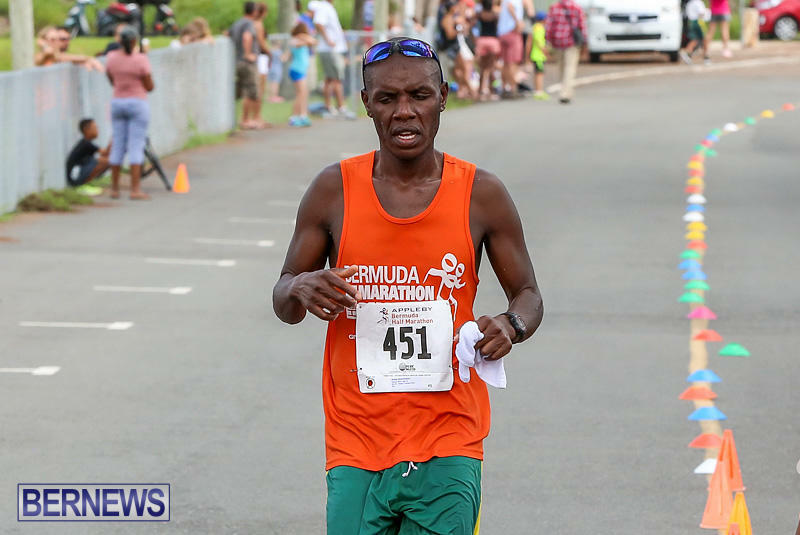 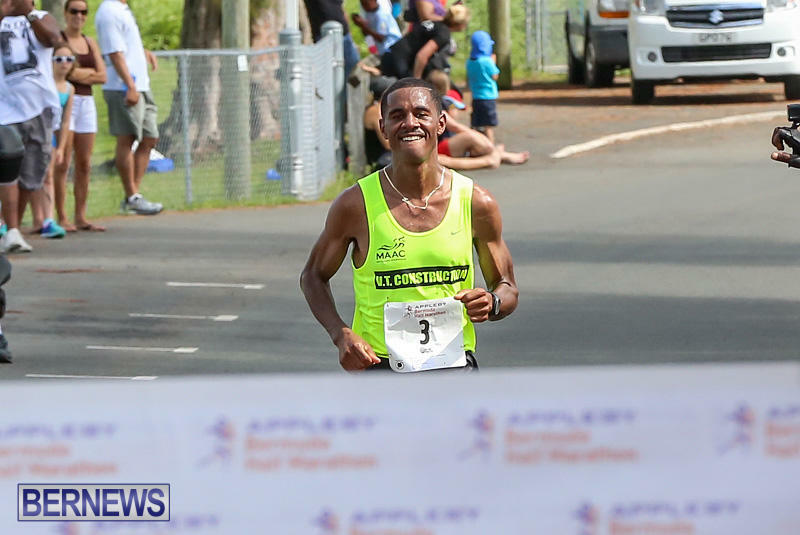 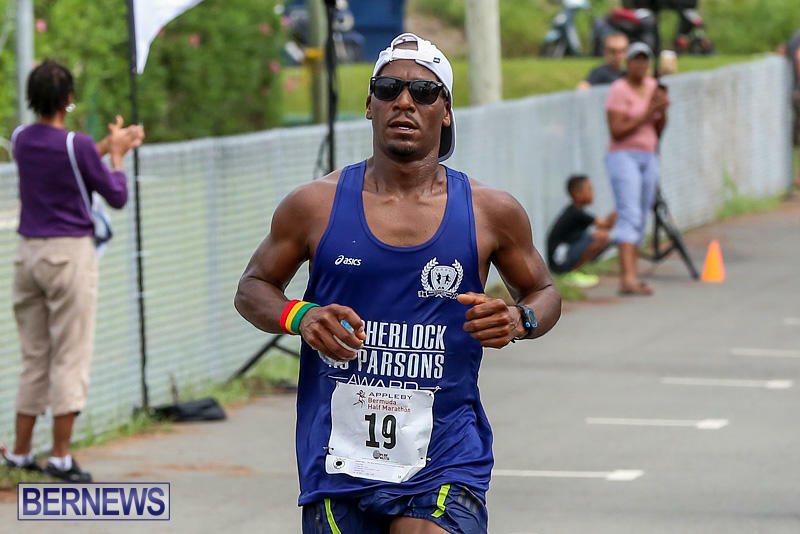 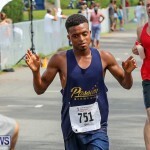 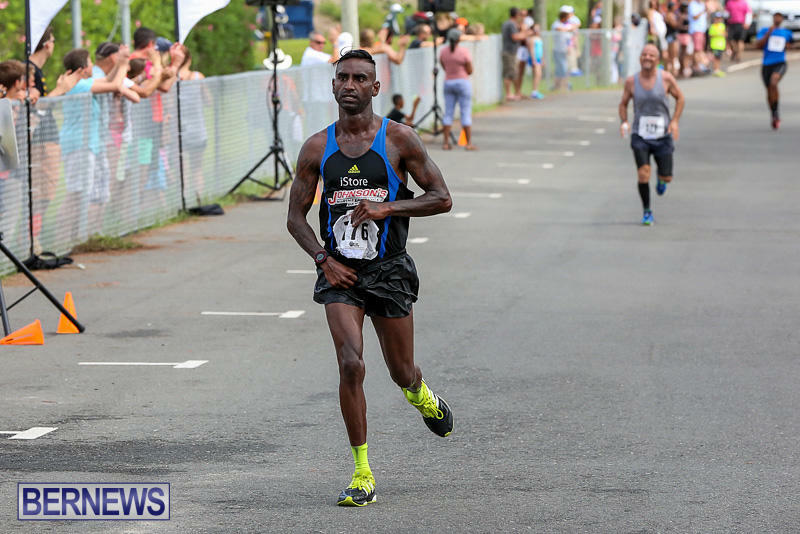 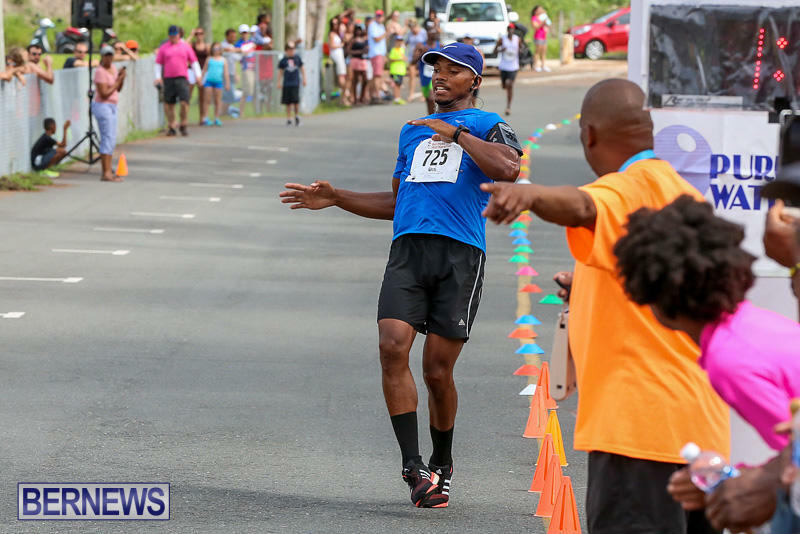 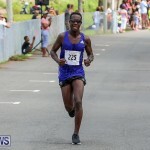 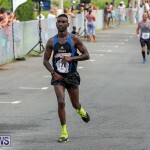 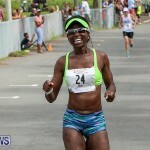 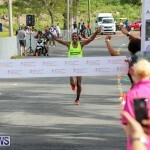 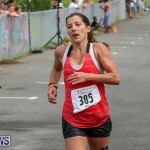 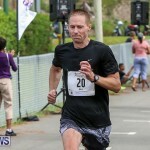 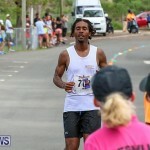 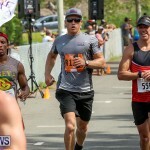 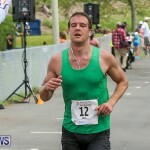 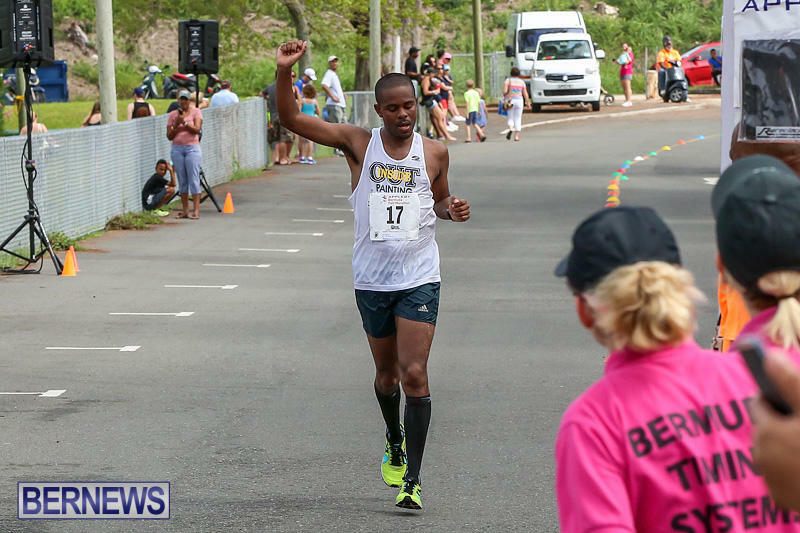 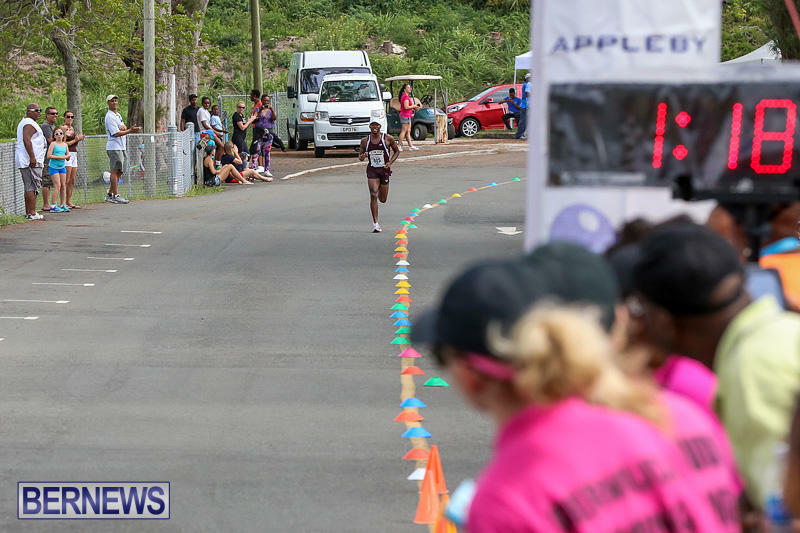 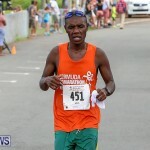 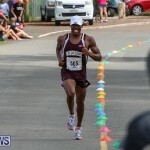 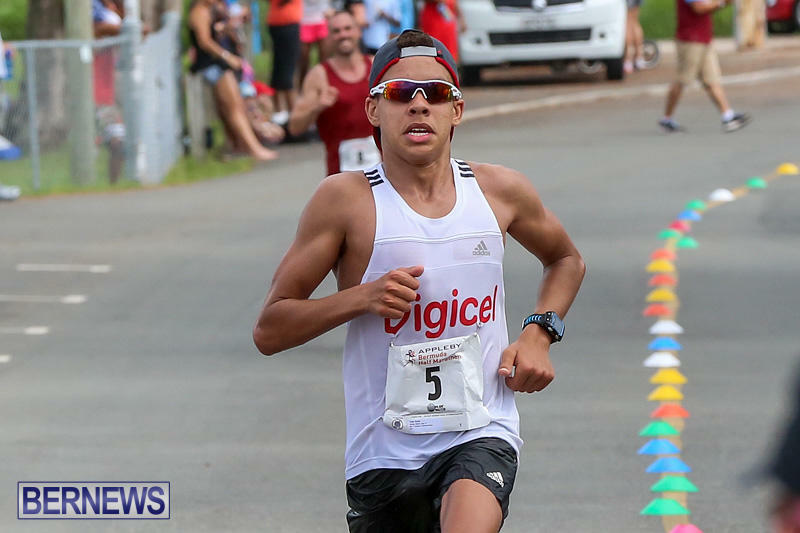 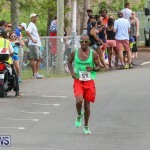 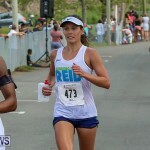 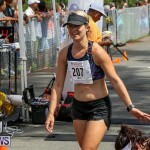 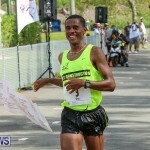 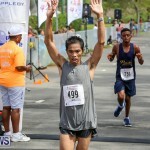 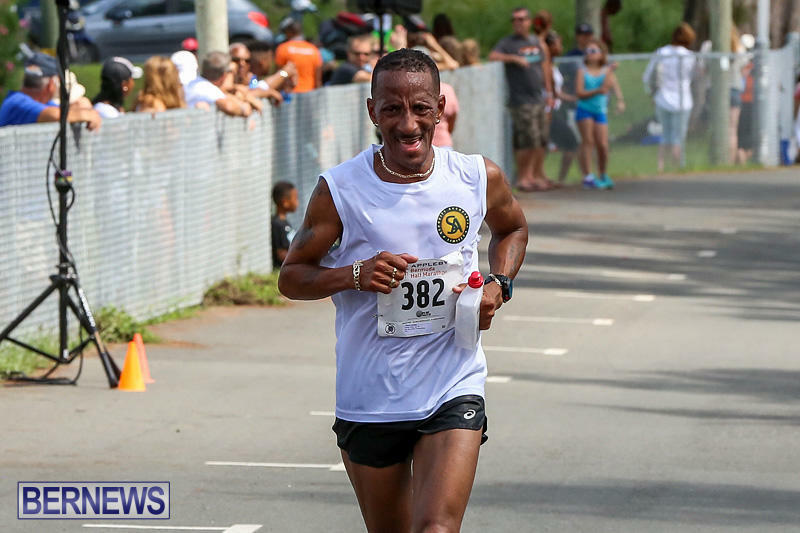 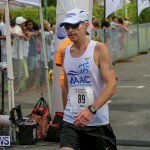 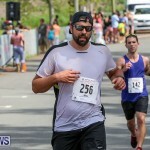 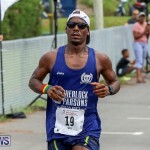 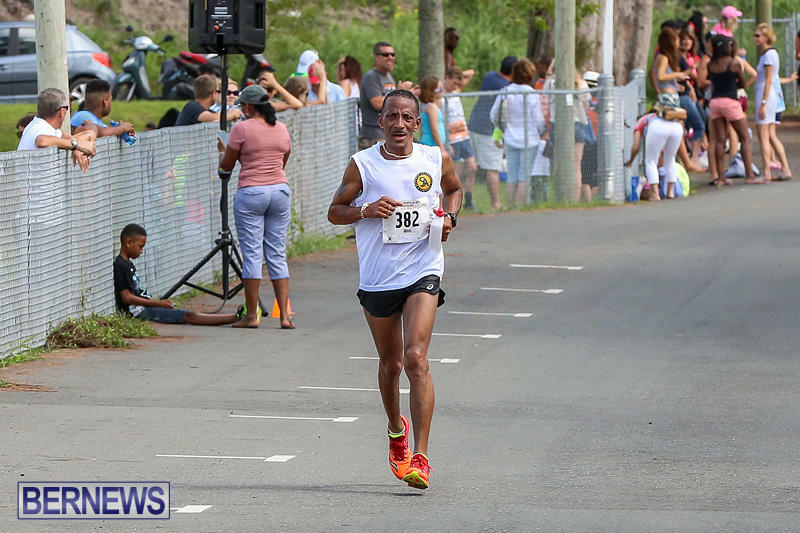 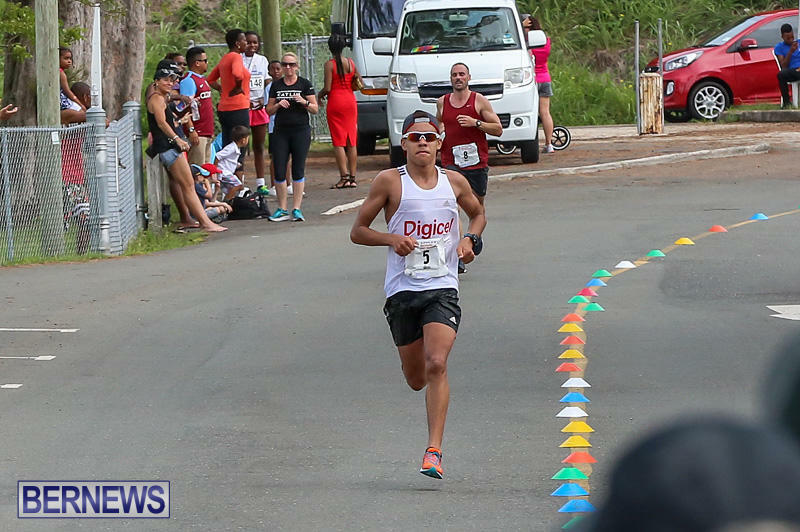 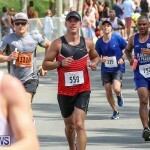 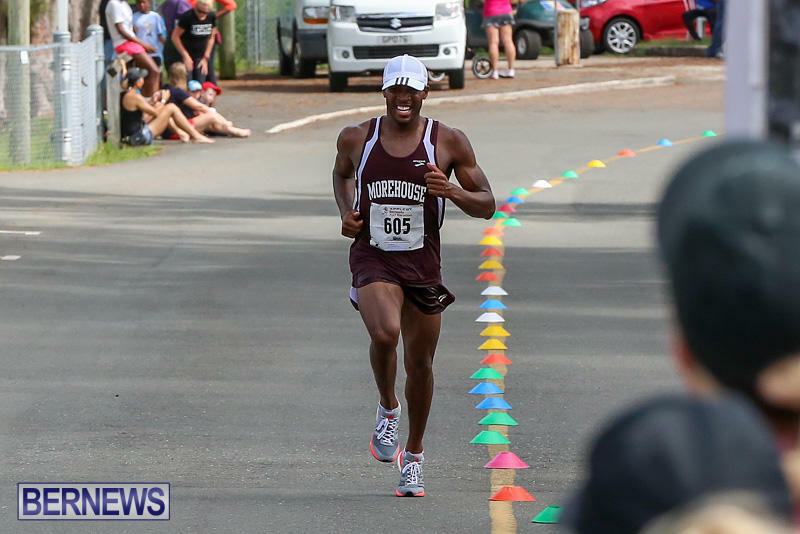 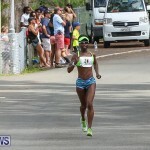 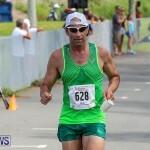 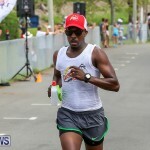 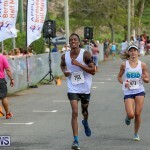 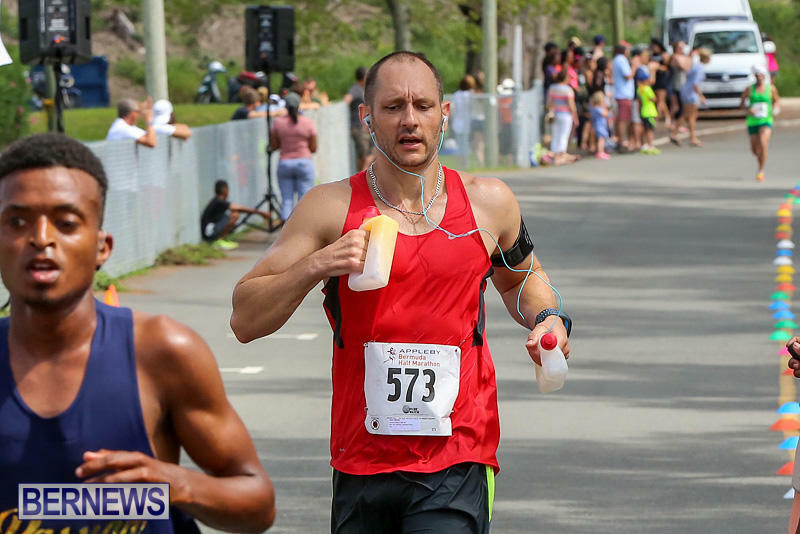 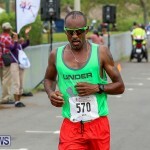 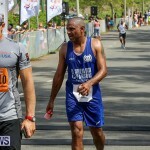 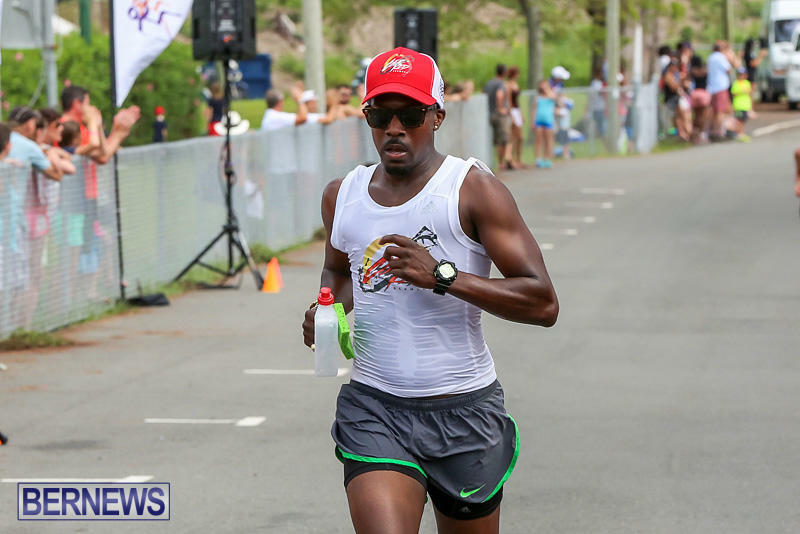 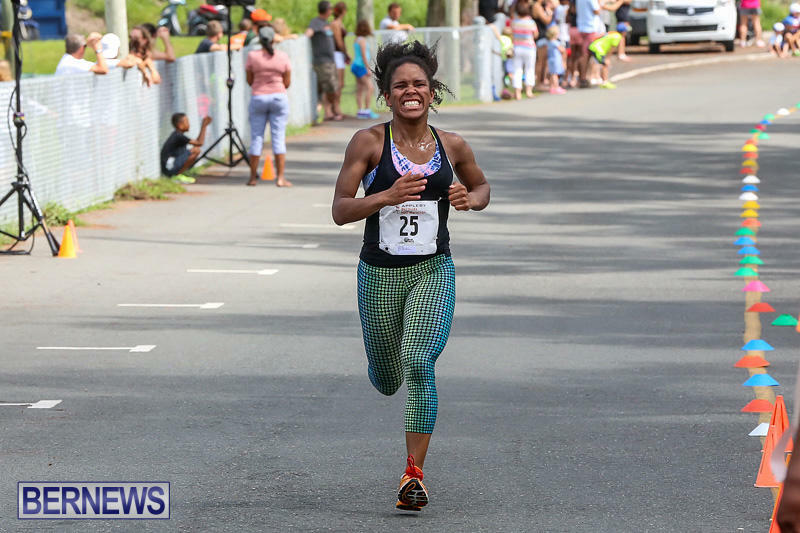 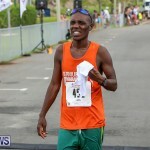 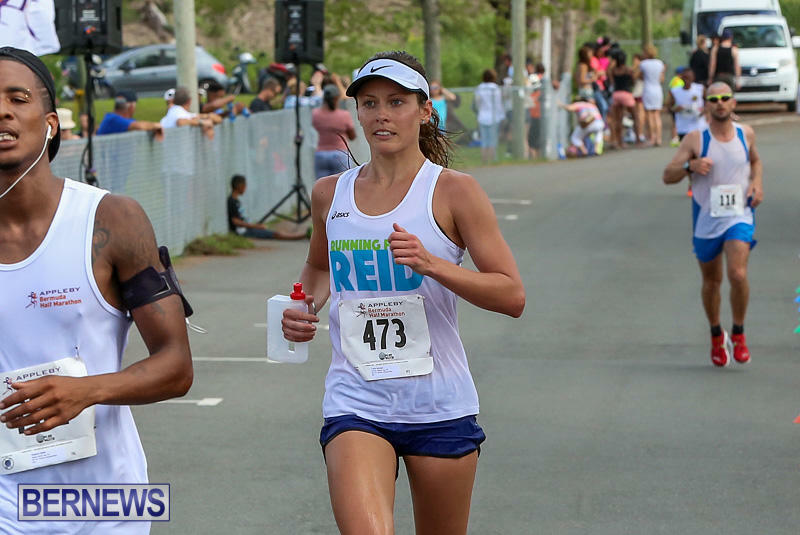 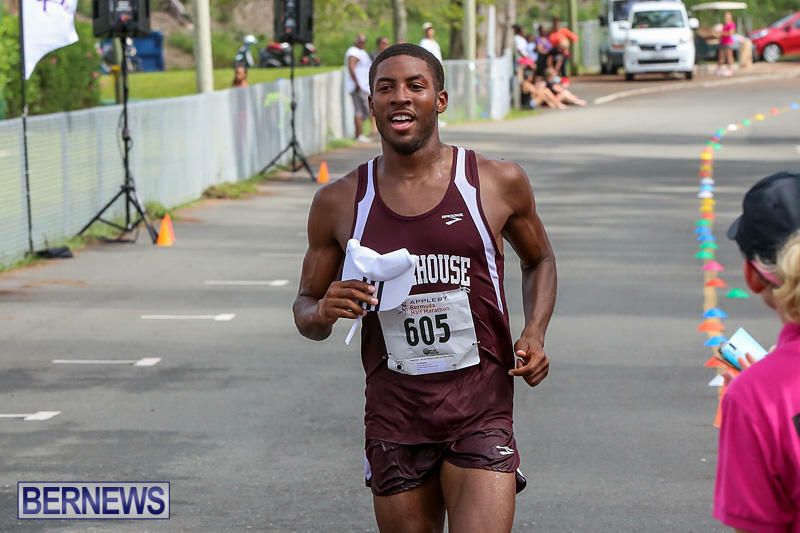 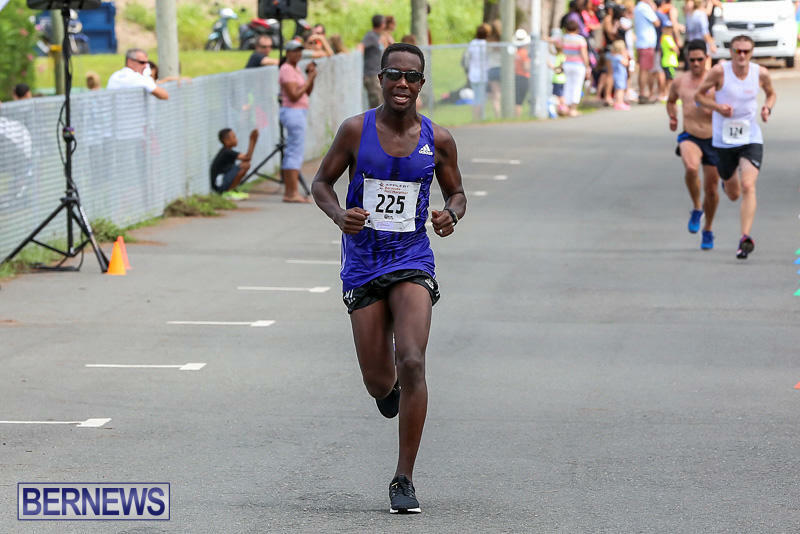 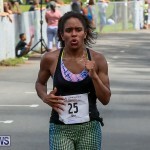 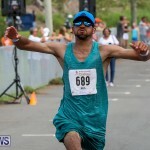 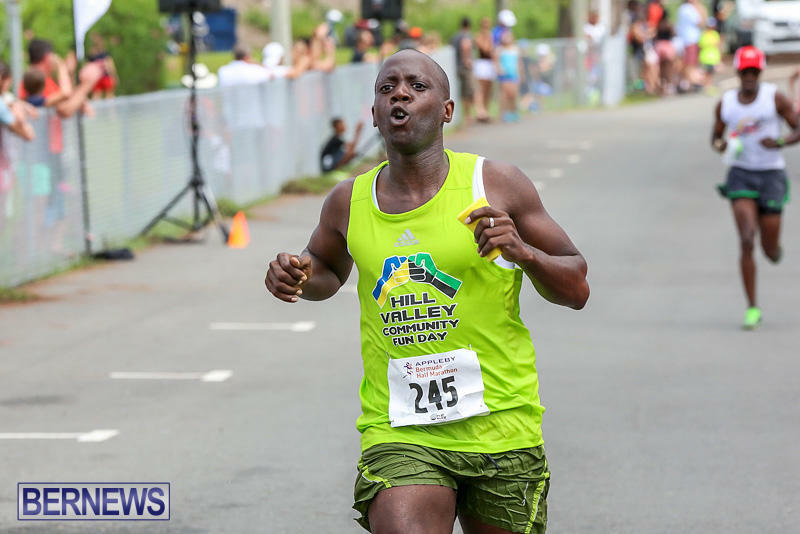 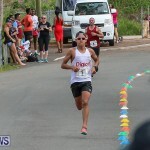 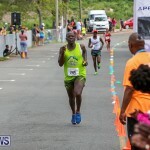 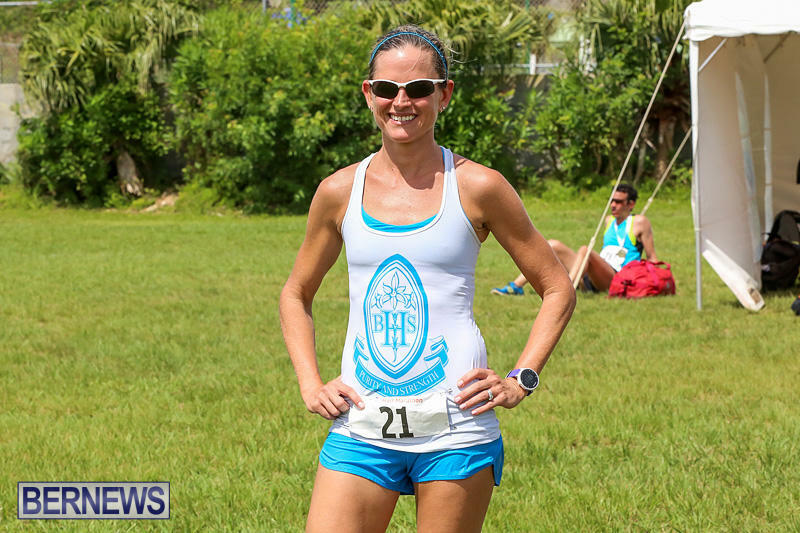 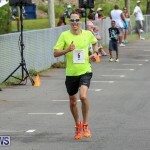 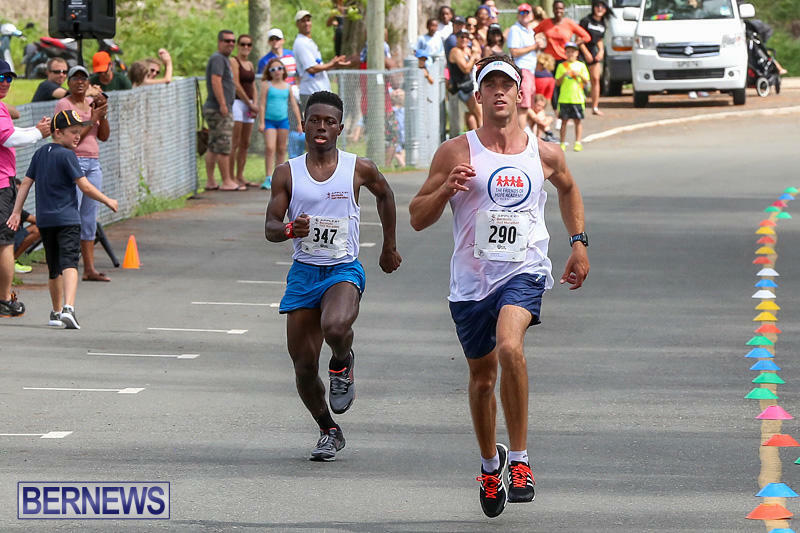 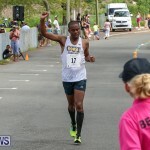 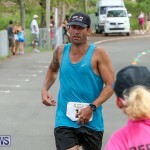 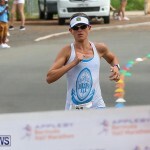 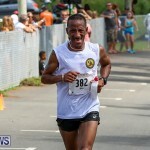 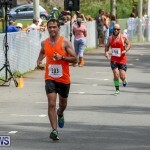 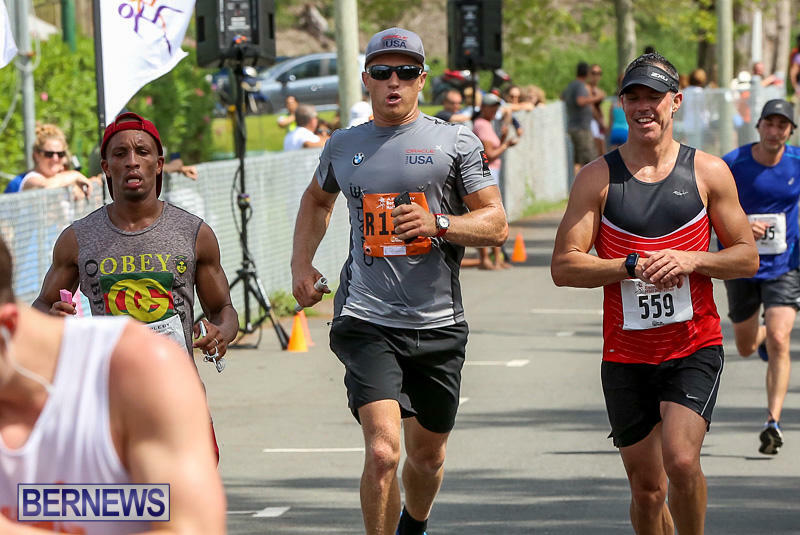 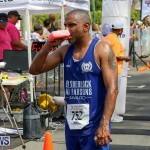 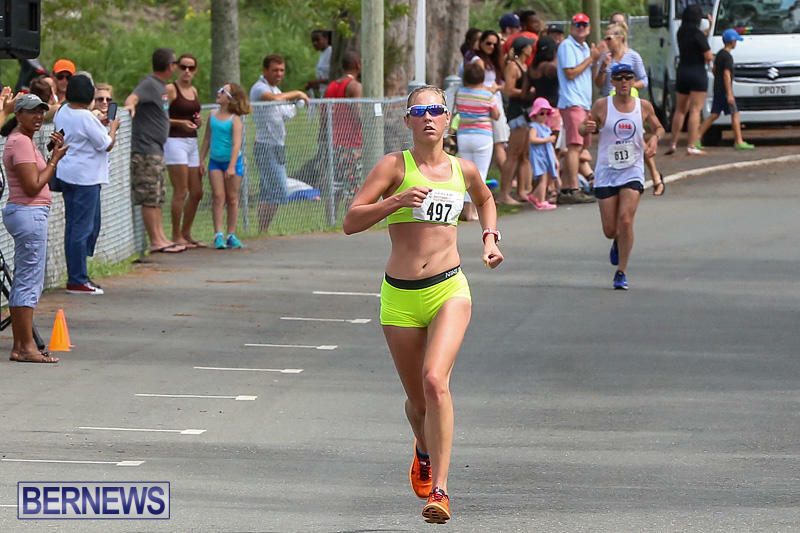 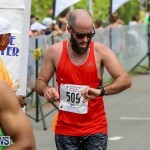 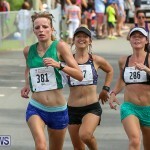 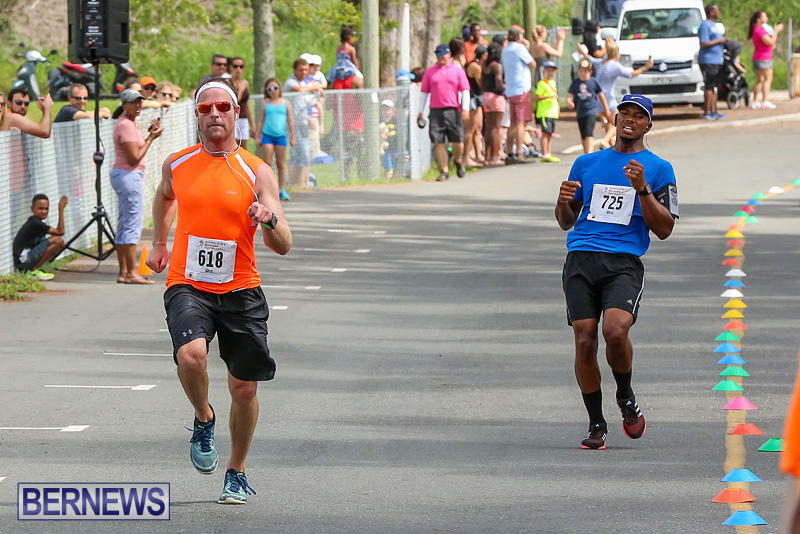 Lamont Marshall and Ashley Estwanik won yesterday’s [May 24] Bermuda Day Half Marathon, clocking respective times of 1:13:59 and 1:27:25 to lead the pack to the finish line at Bernard Park. 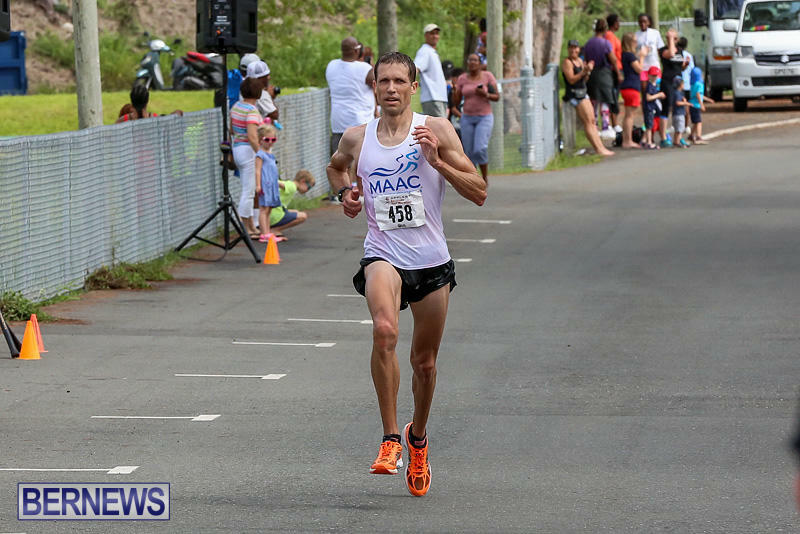 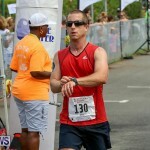 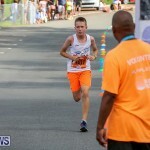 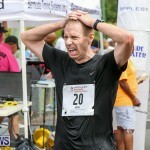 Second and third place were claimed by Trey Simons and Even Naude with times of 1:18:25 and 1:21:00. 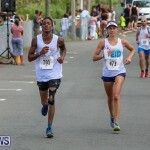 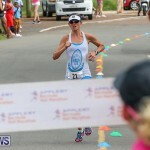 Second and third among the females saw Deon Breary finish with a time of 1:34:58 and Vivienne Lochhead finish with a time of 1:37:24. 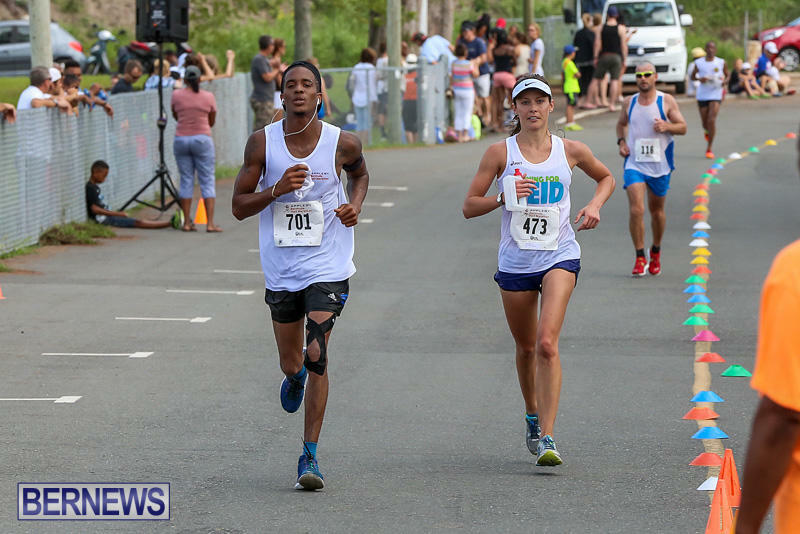 Rounding out the men’s top five were Christopher Harris in fourth at 1:21:25 and Tyler Smith in fifth at 1:23:44, while the women’s top five included Victoria Fiddick in fourth at 1:39:24 and Kristen Palmer in fifth at 1:40:00. 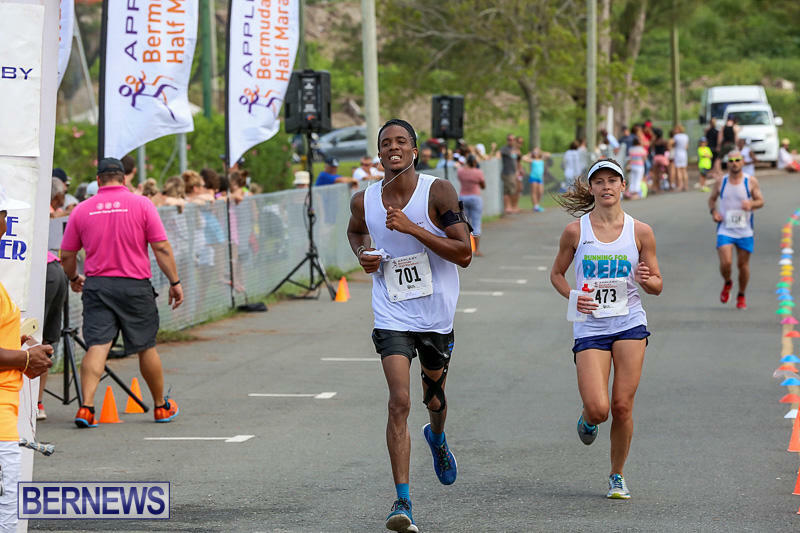 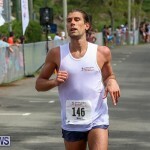 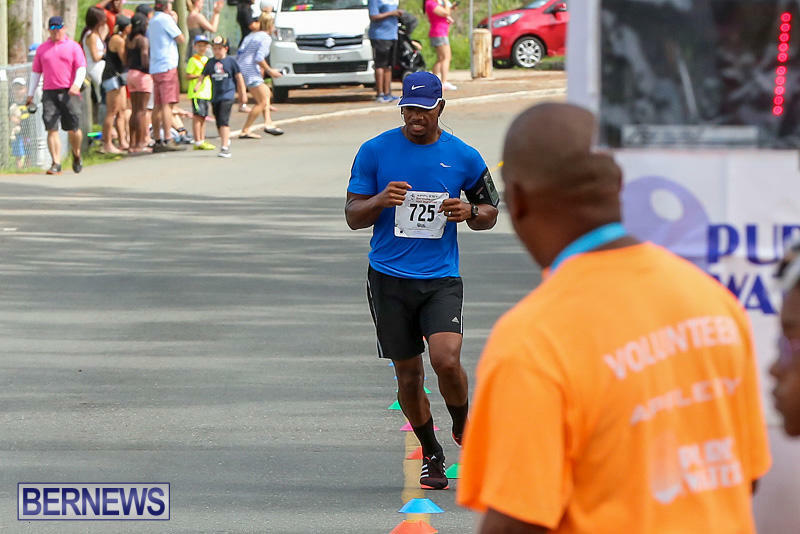 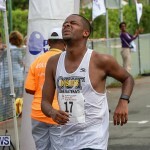 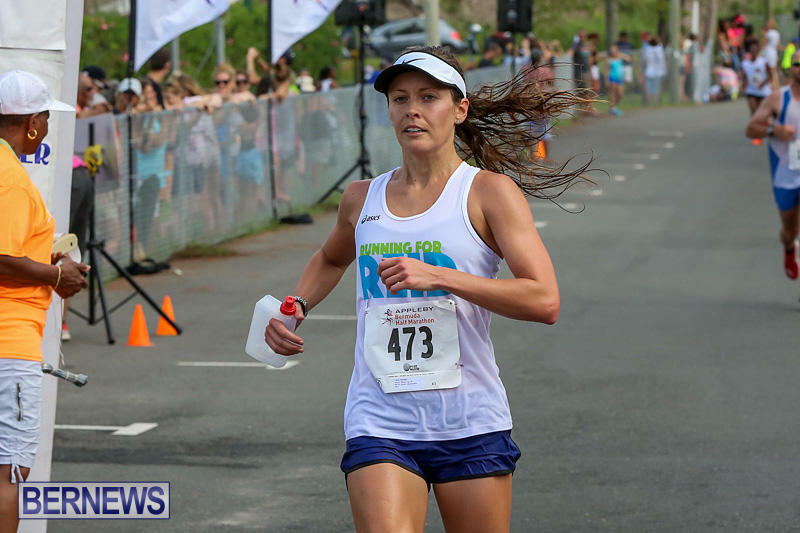 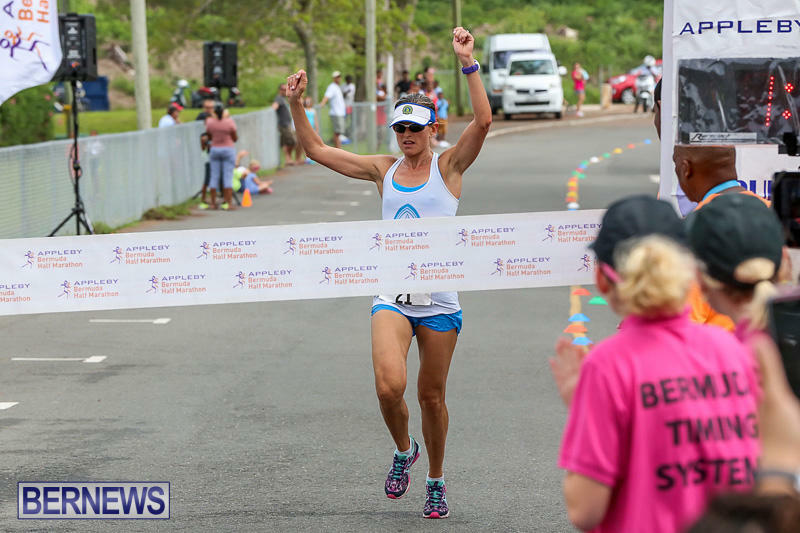 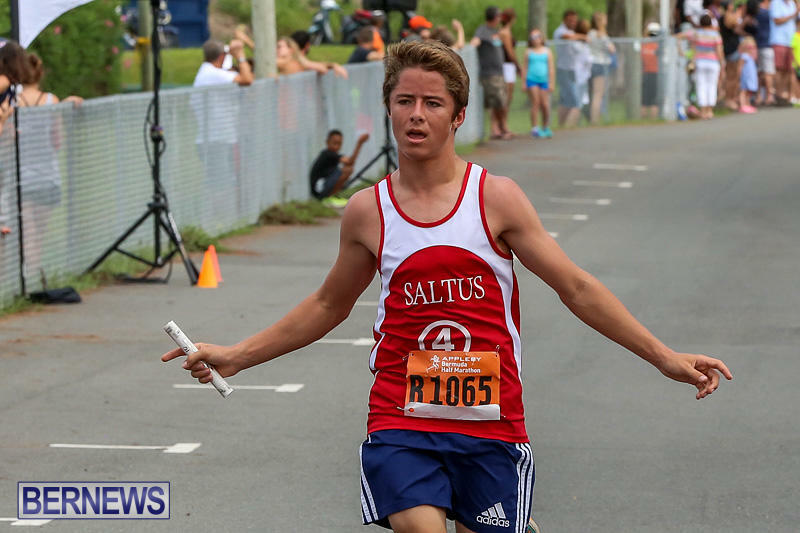 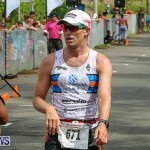 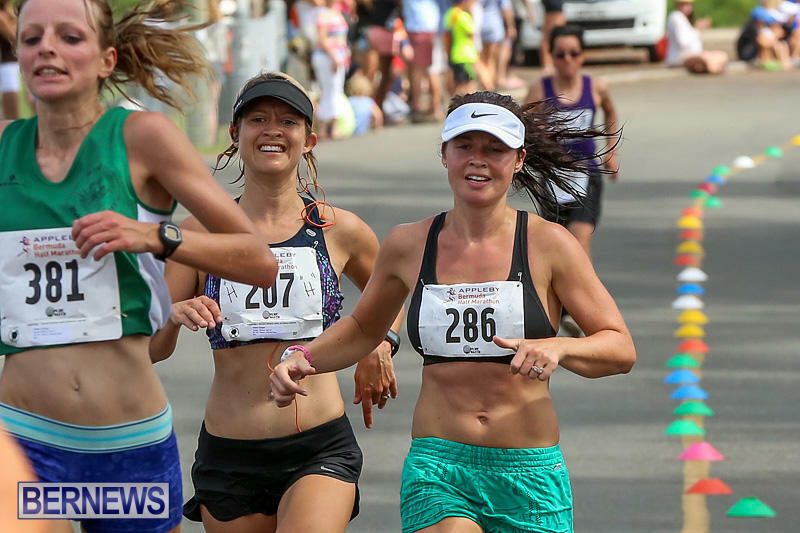 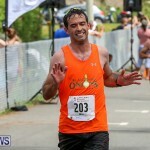 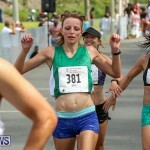 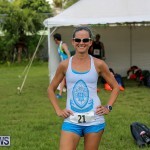 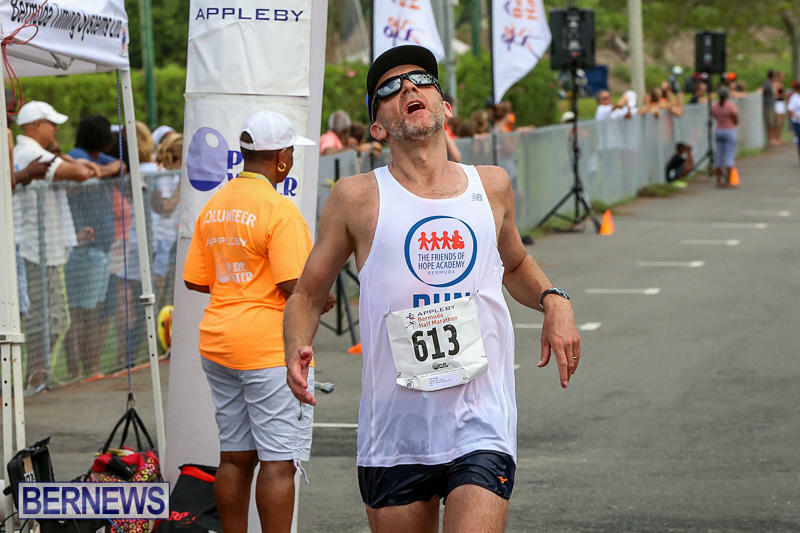 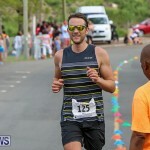 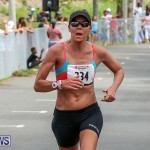 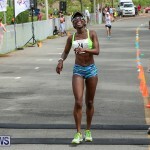 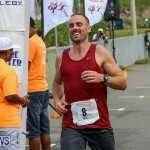 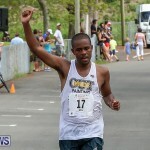 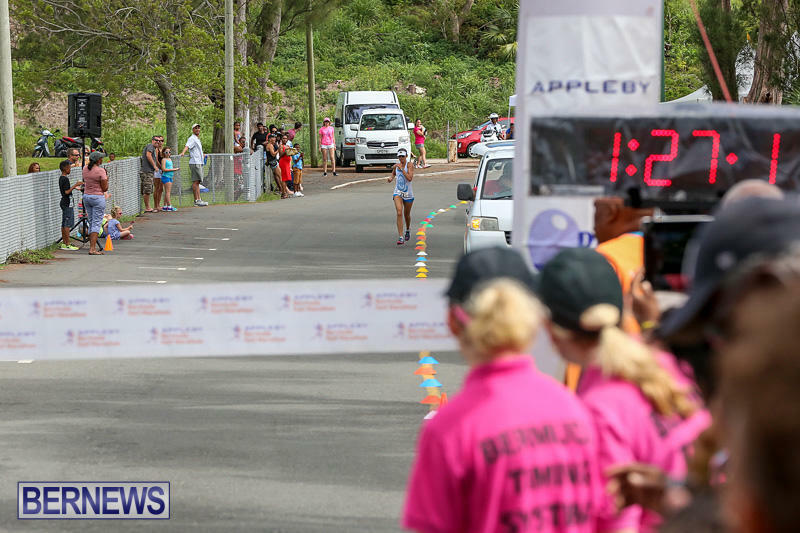 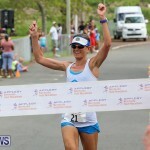 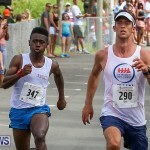 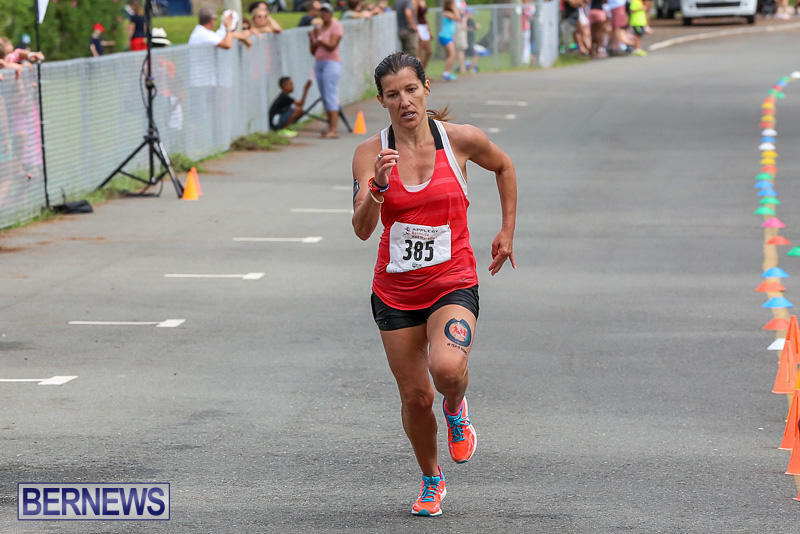 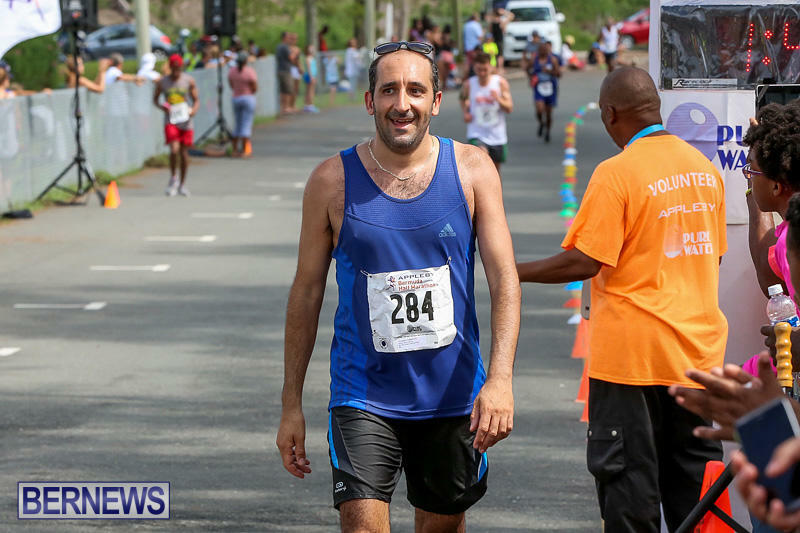 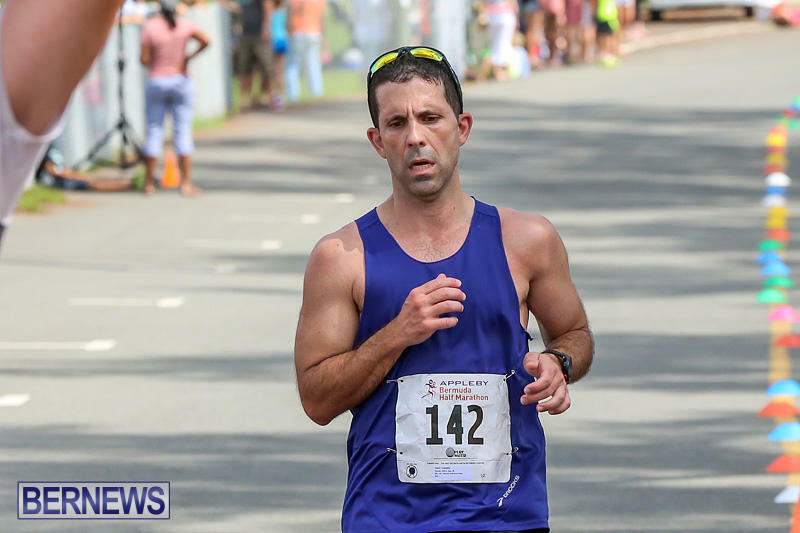 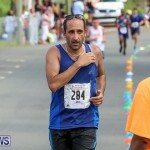 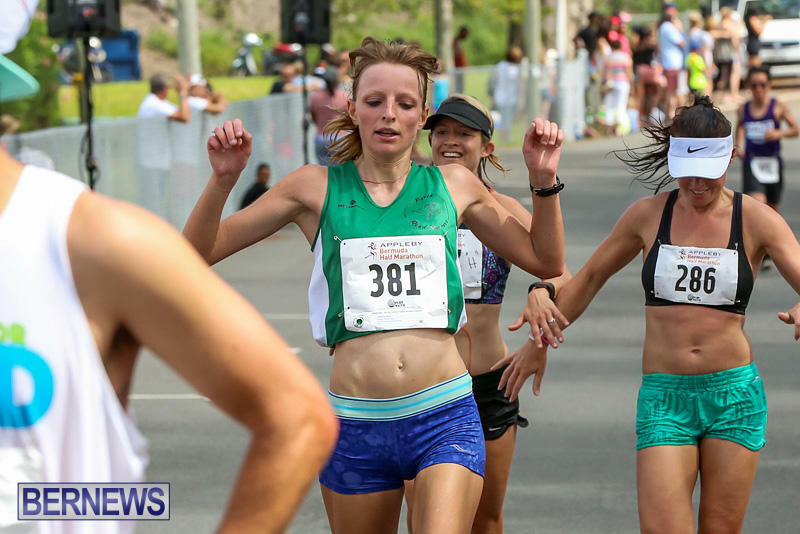 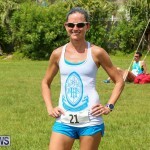 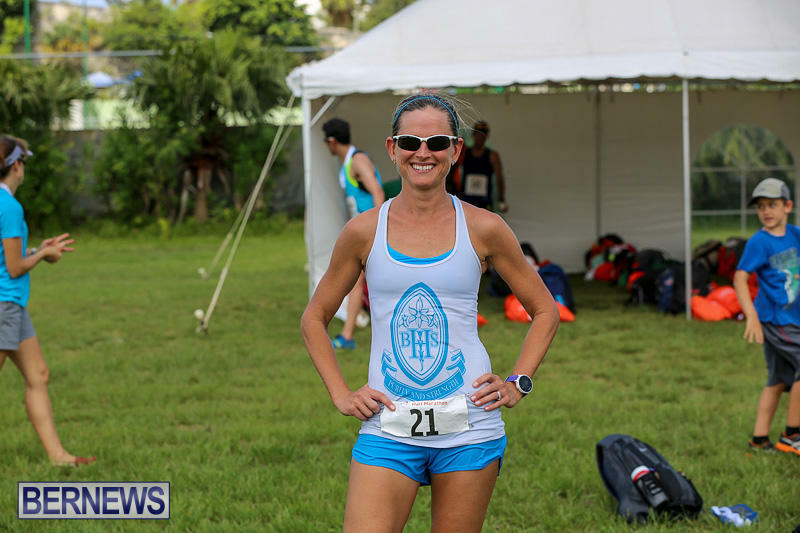 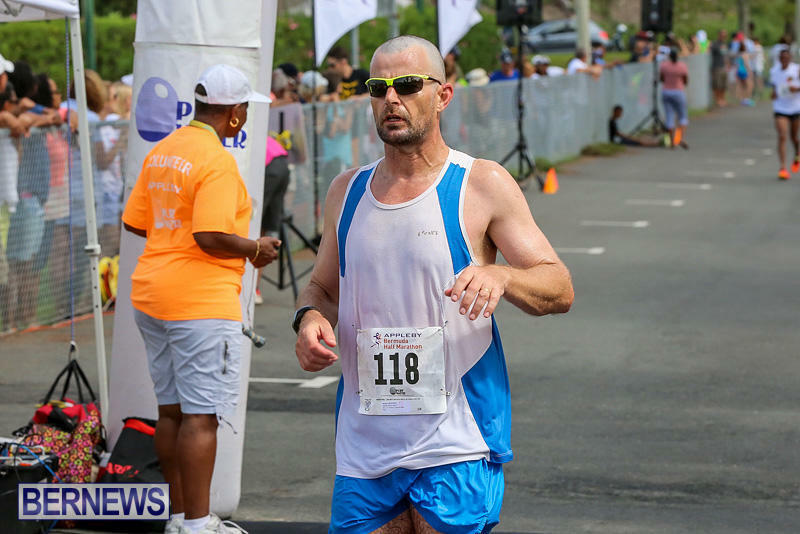 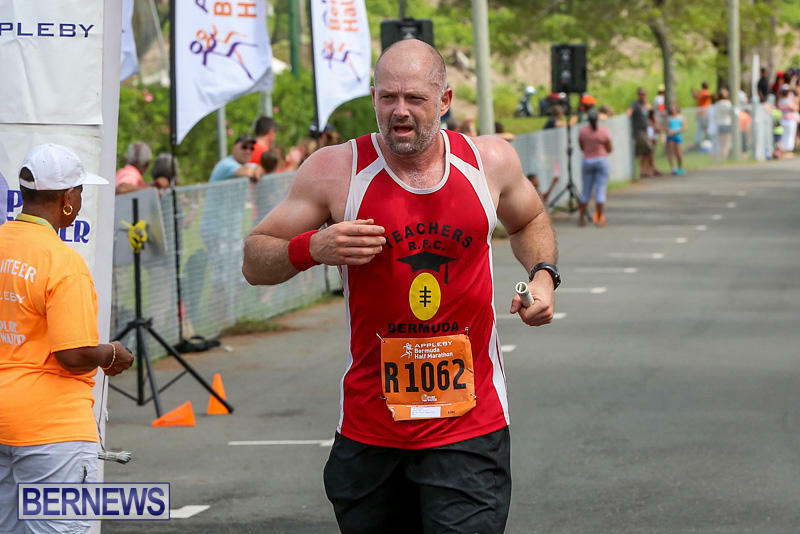 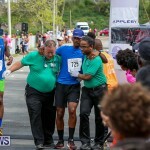 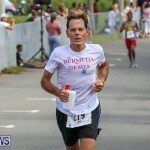 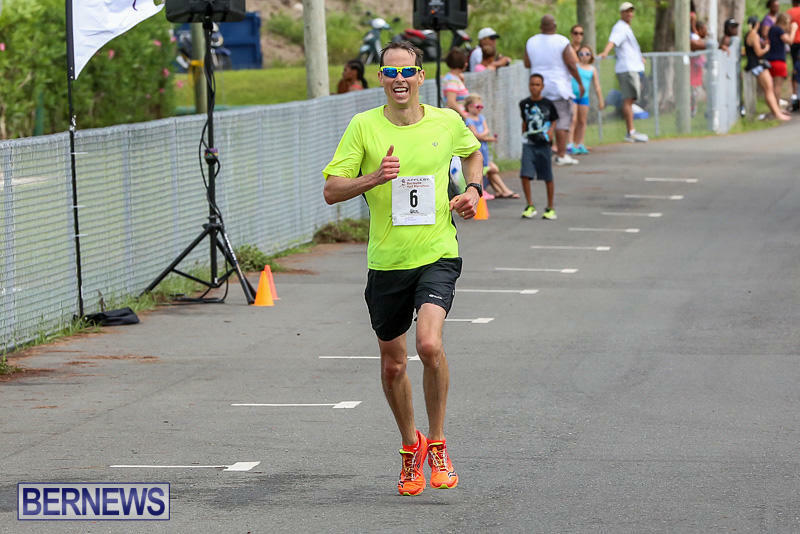 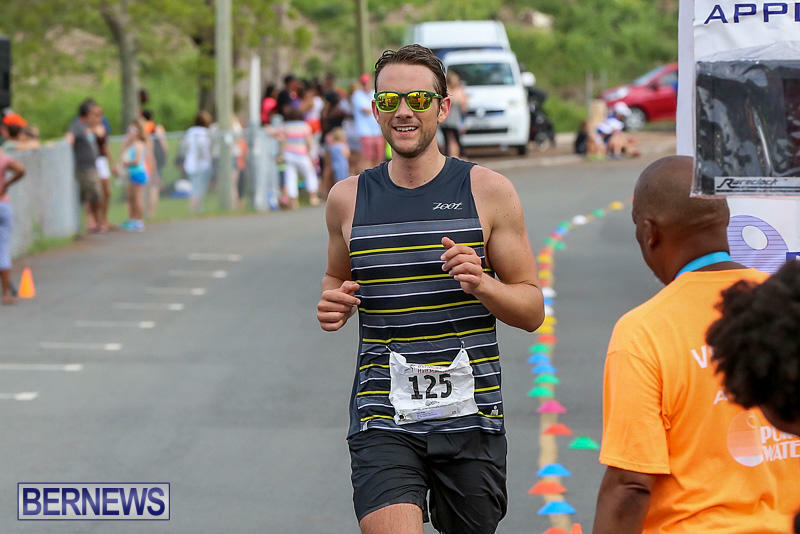 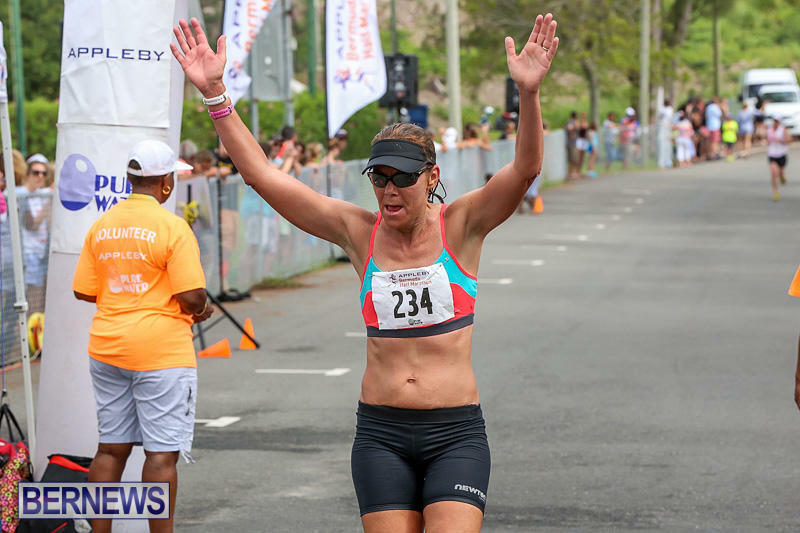 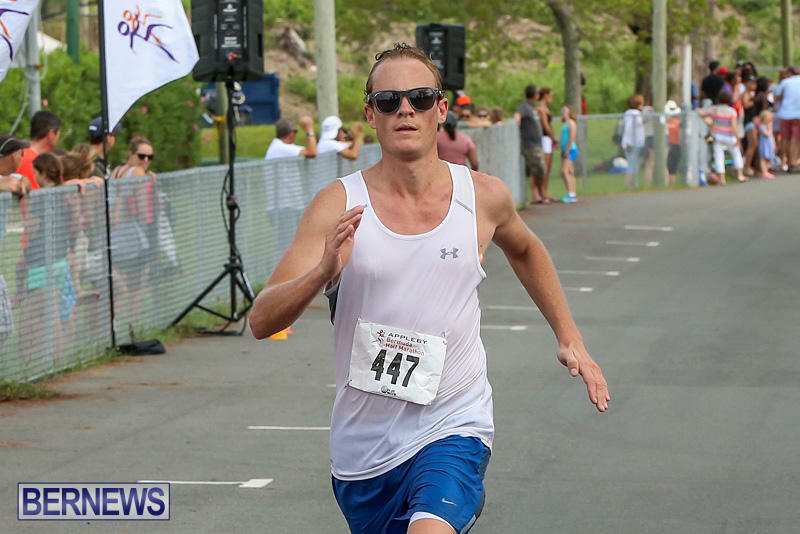 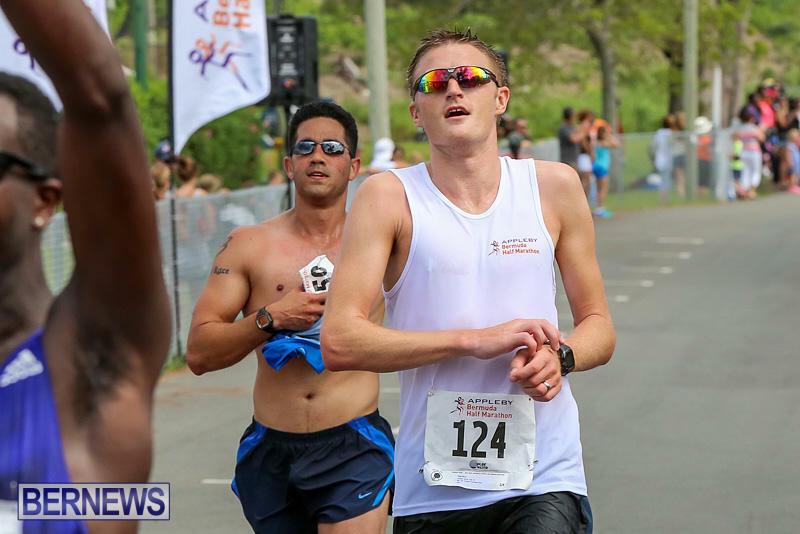 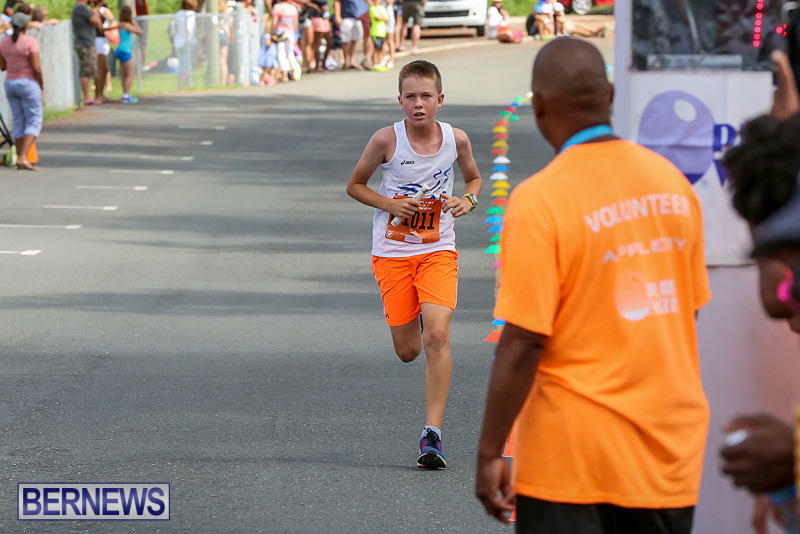 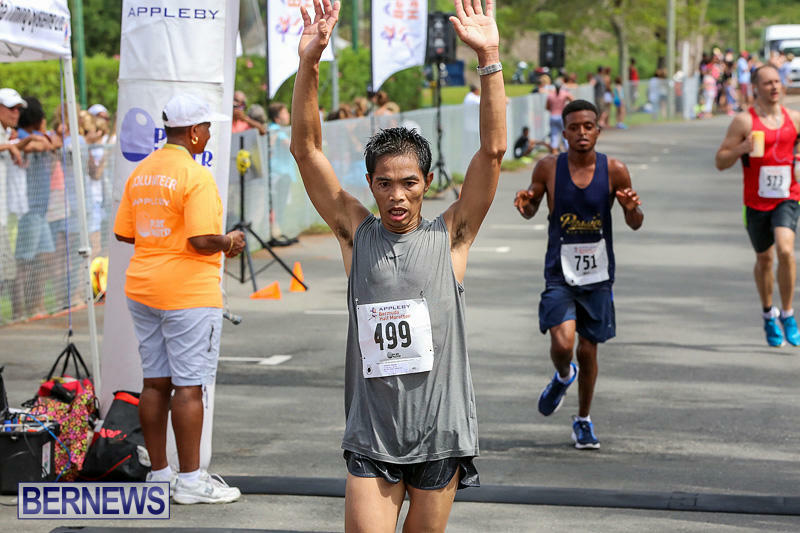 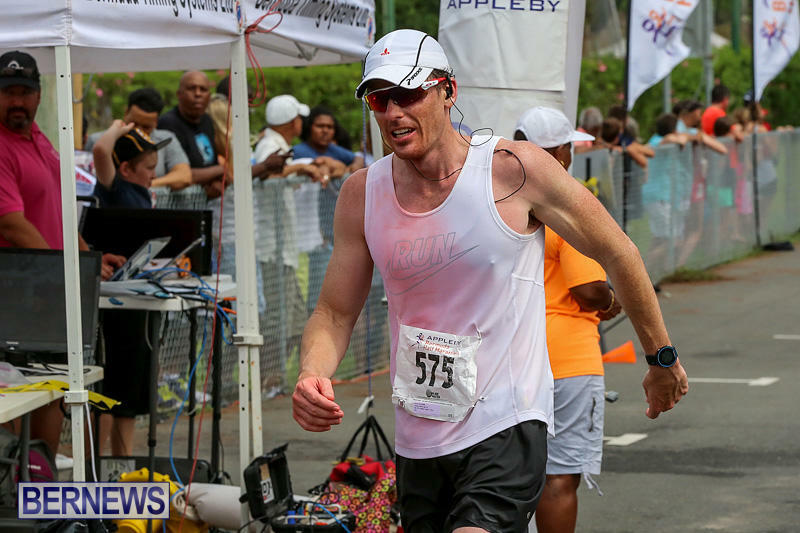 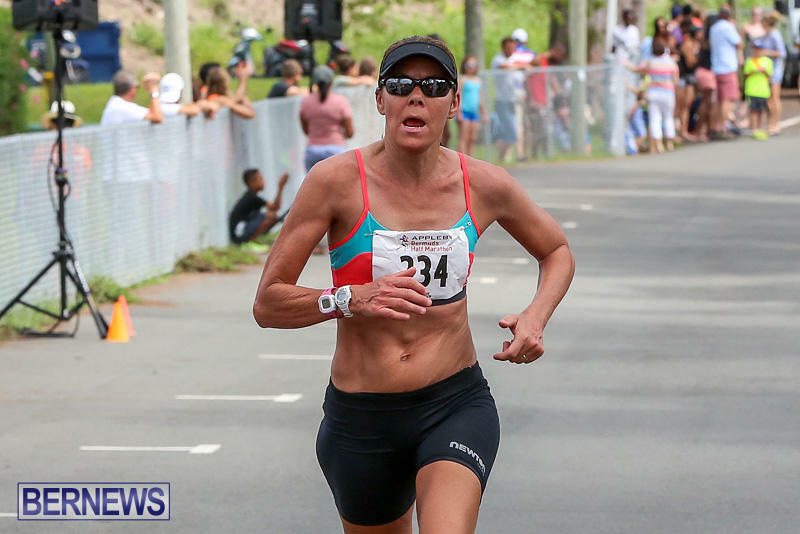 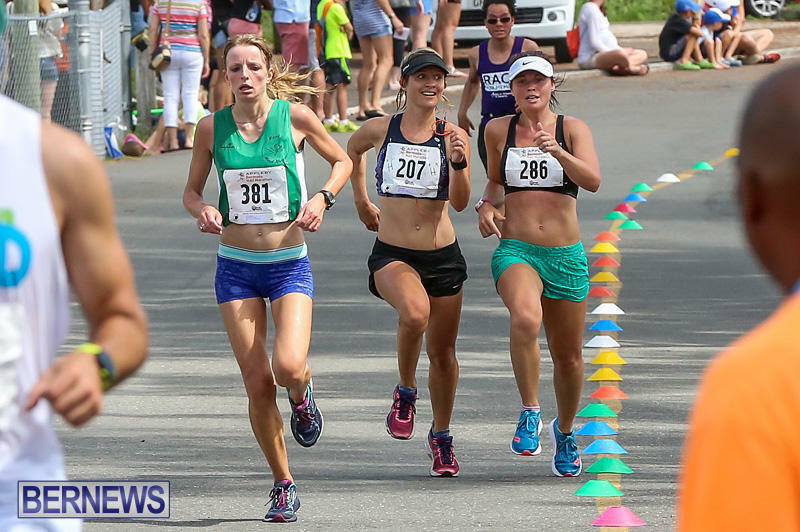 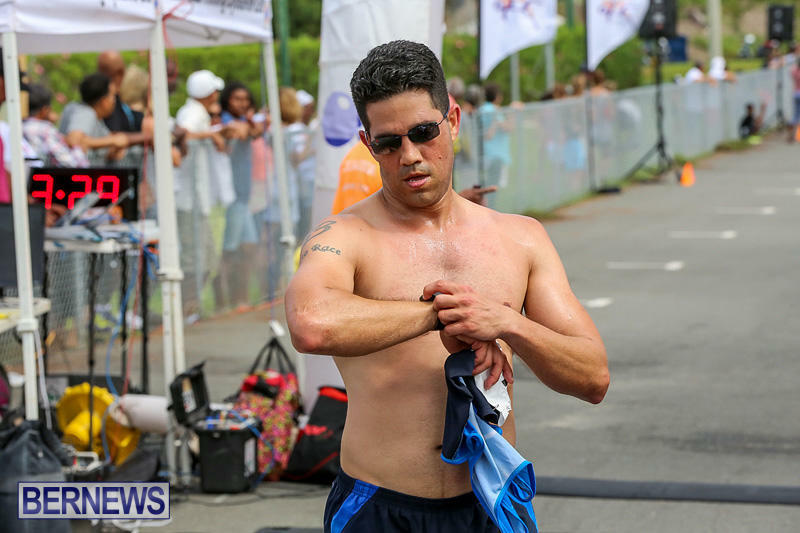 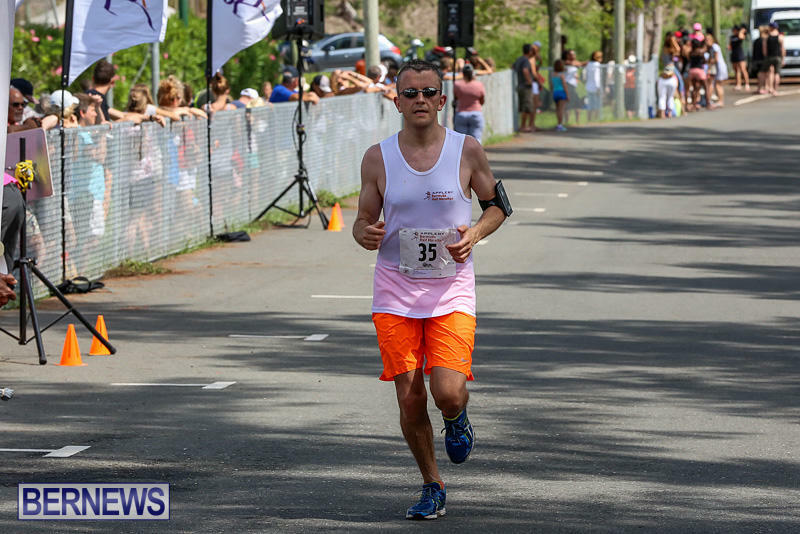 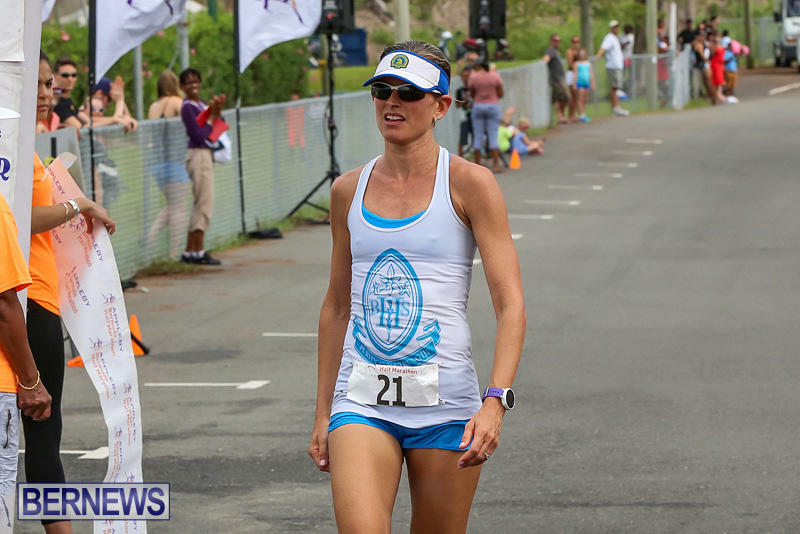 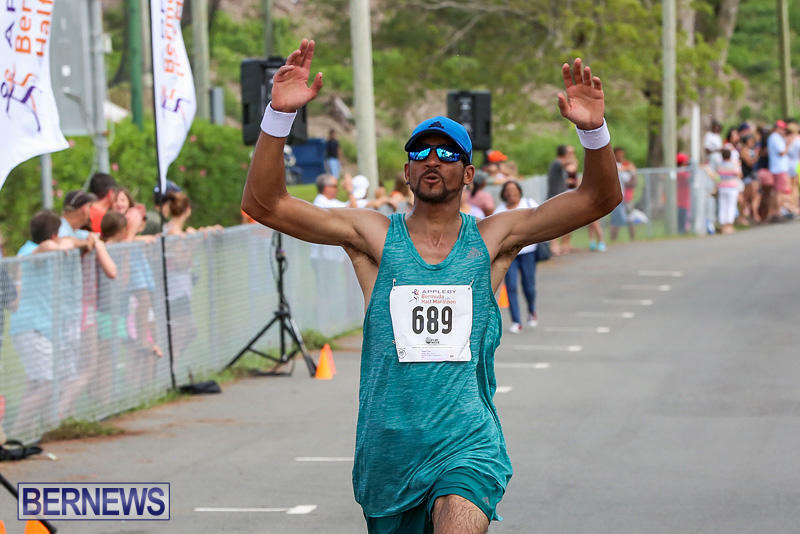 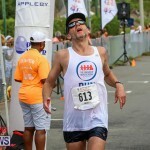 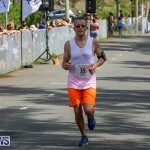 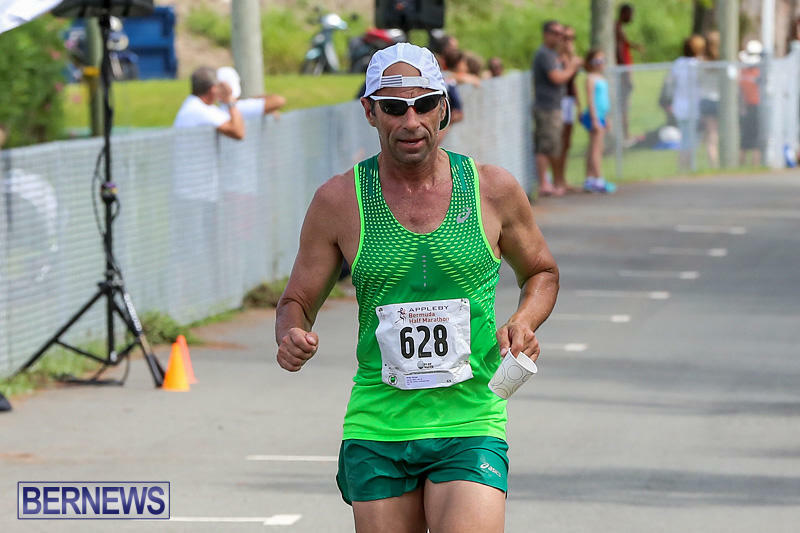 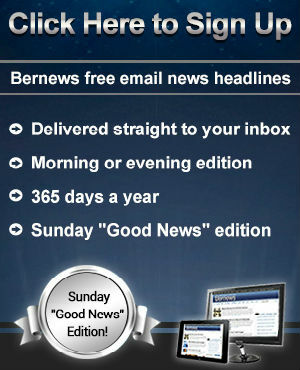 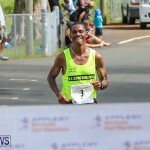 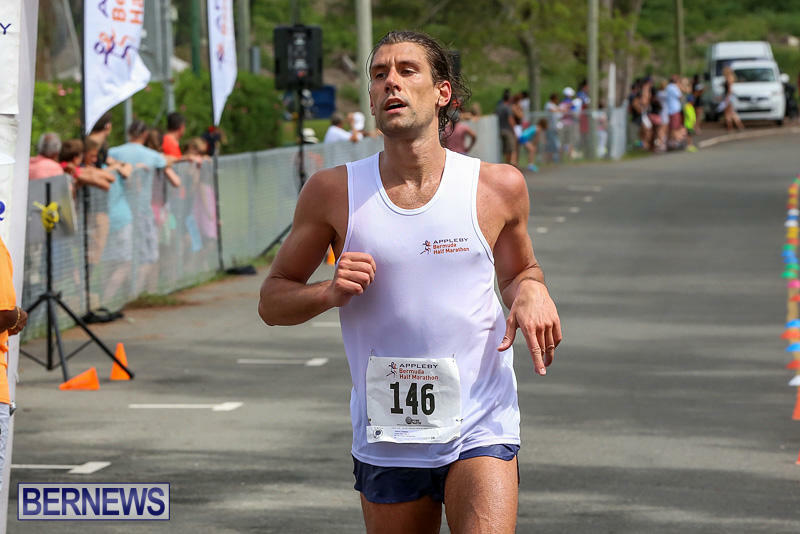 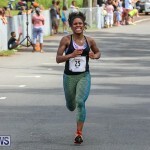 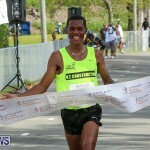 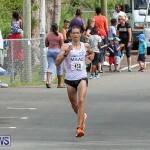 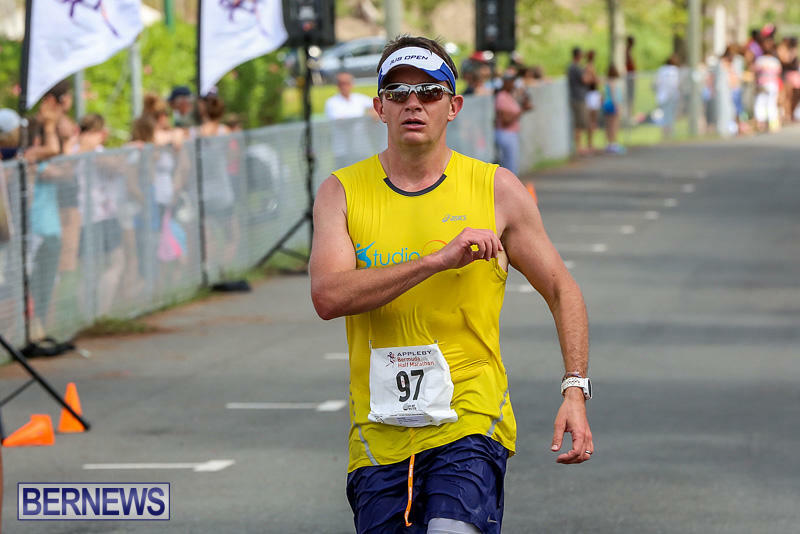 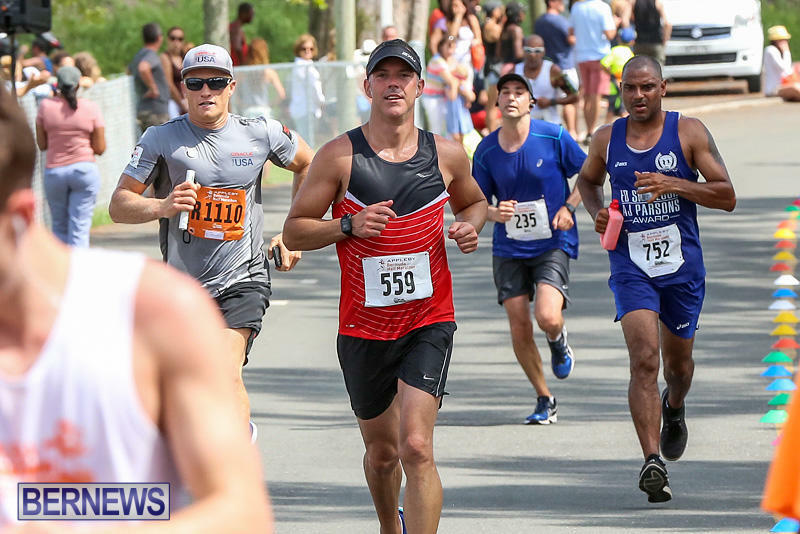 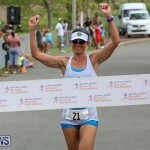 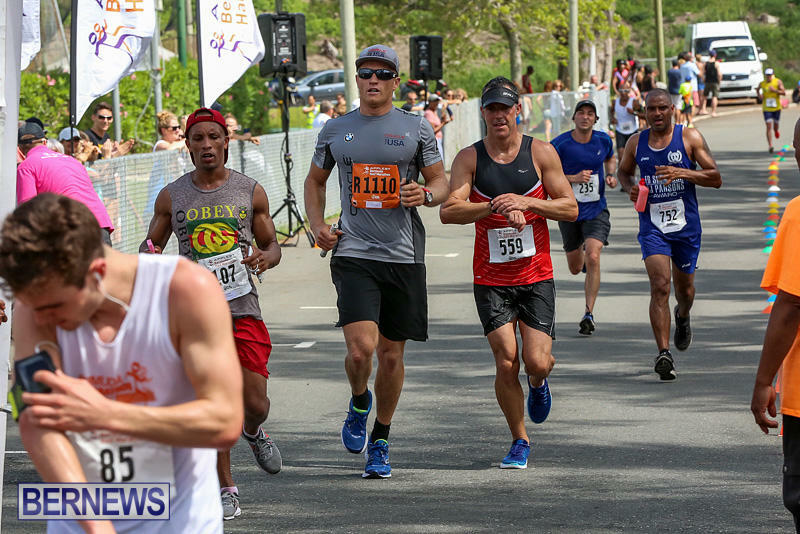 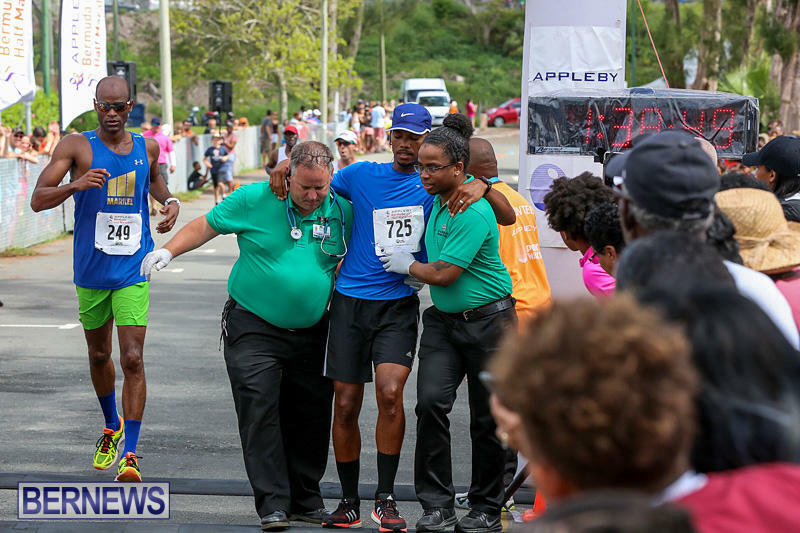 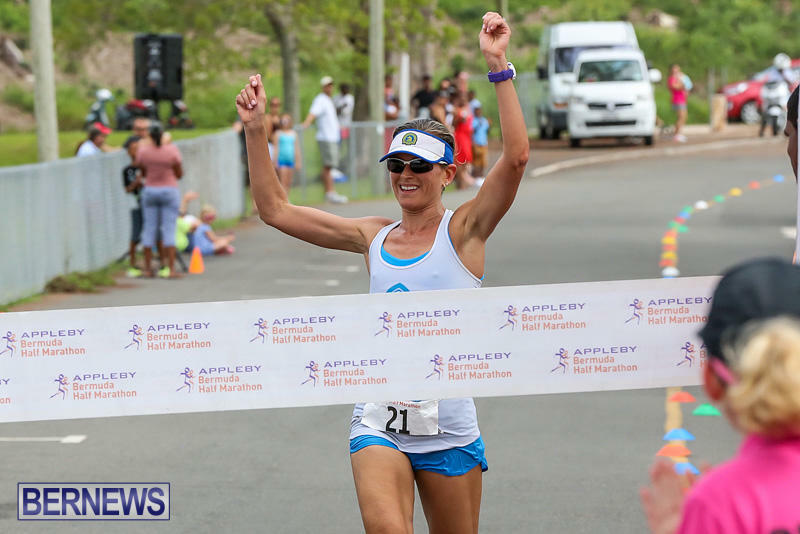 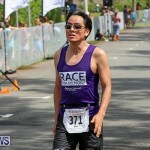 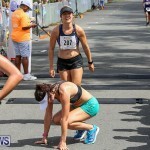 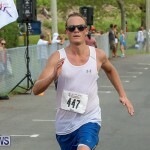 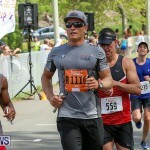 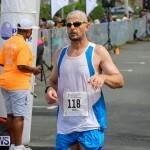 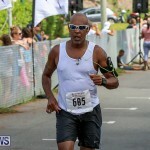 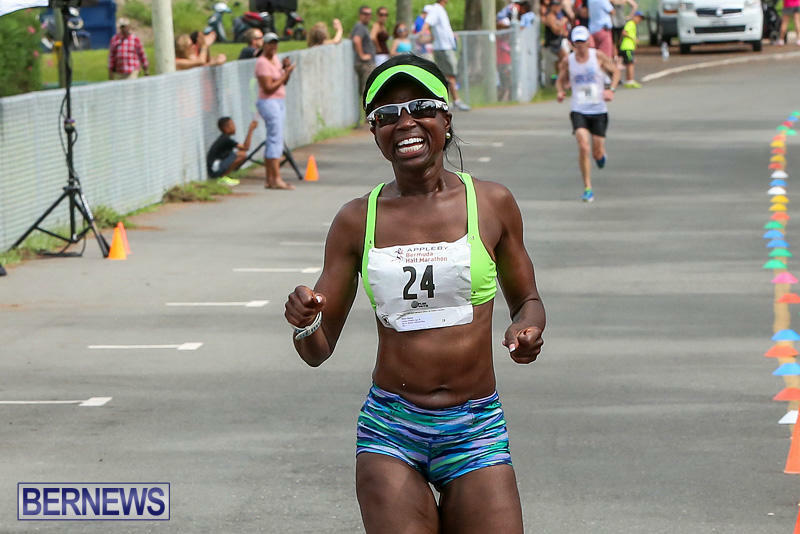 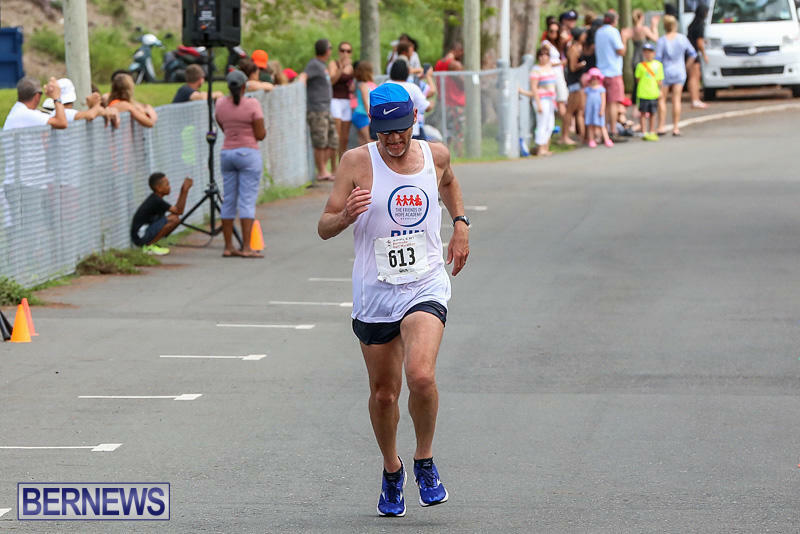 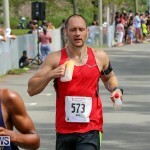 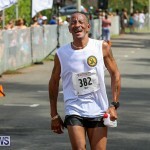 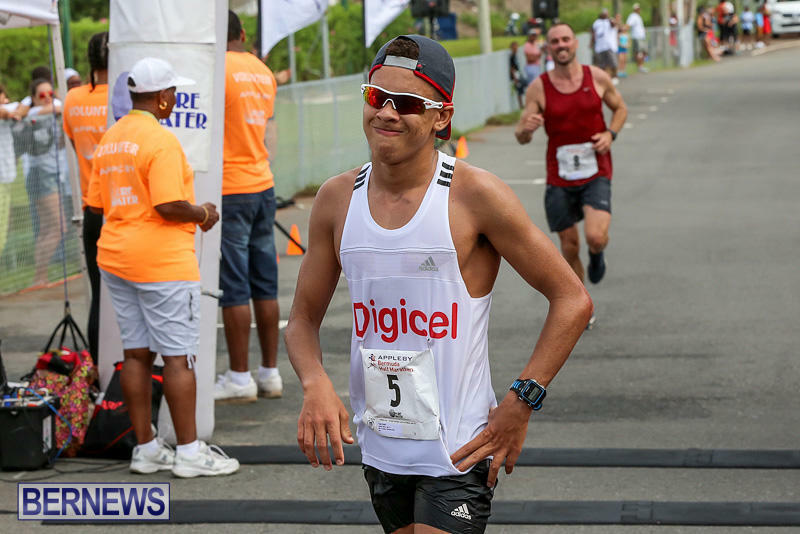 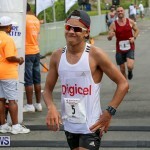 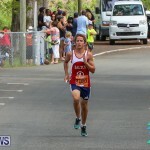 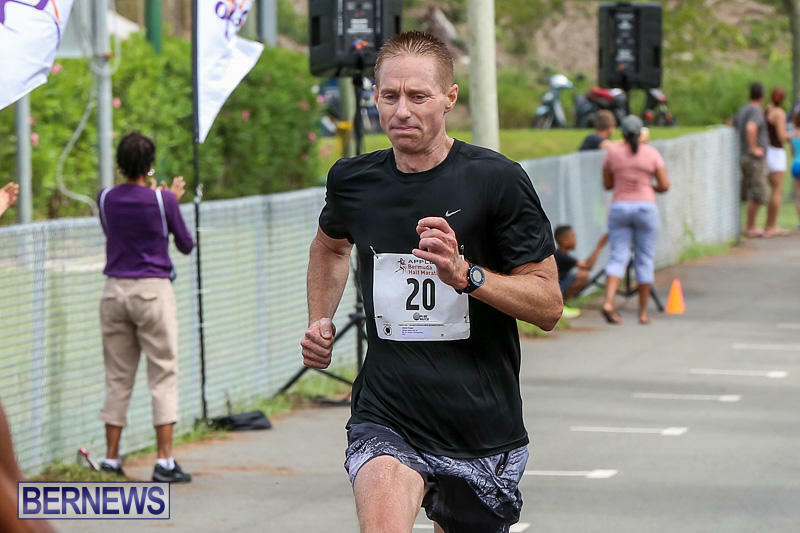 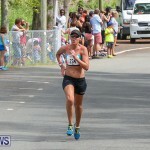 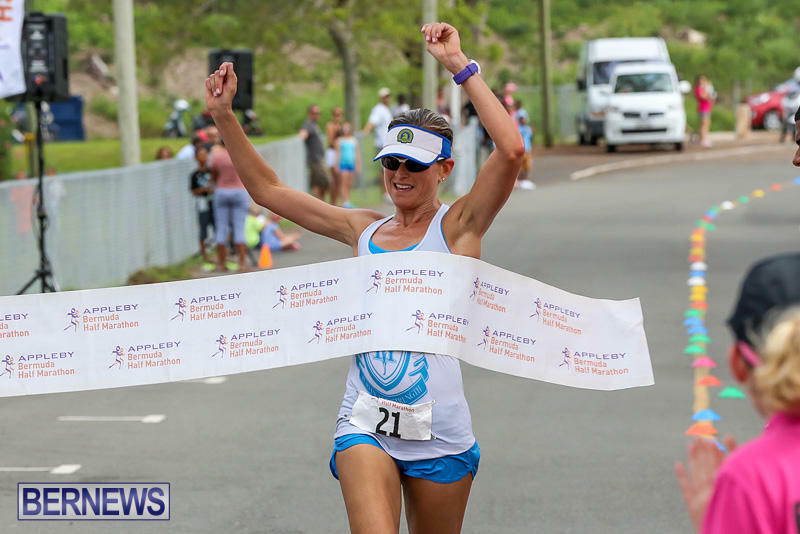 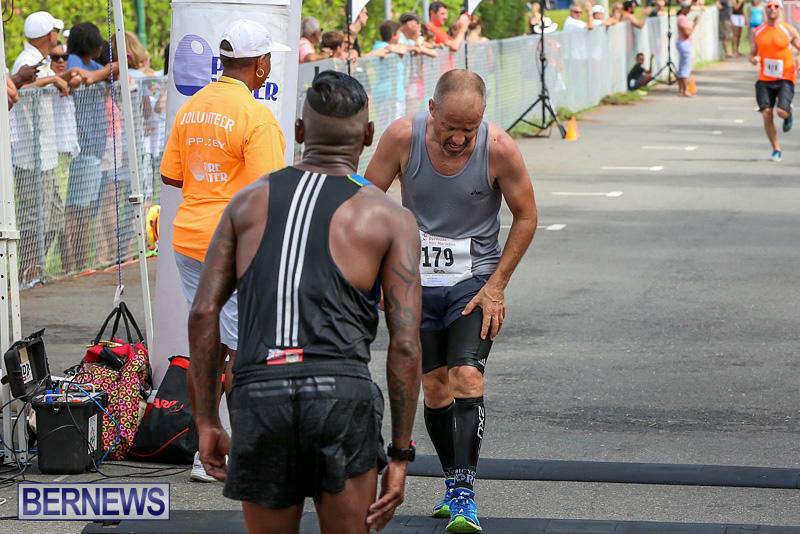 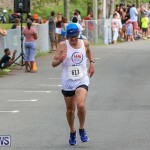 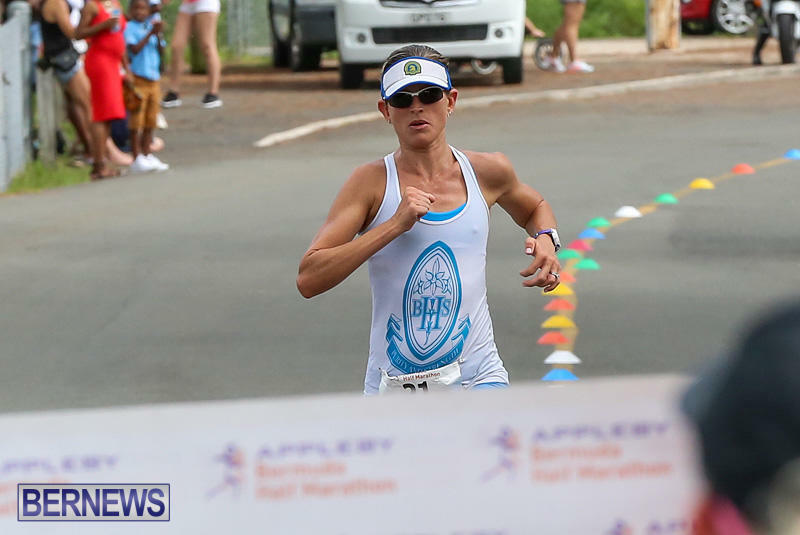 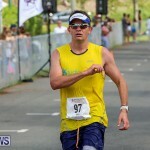 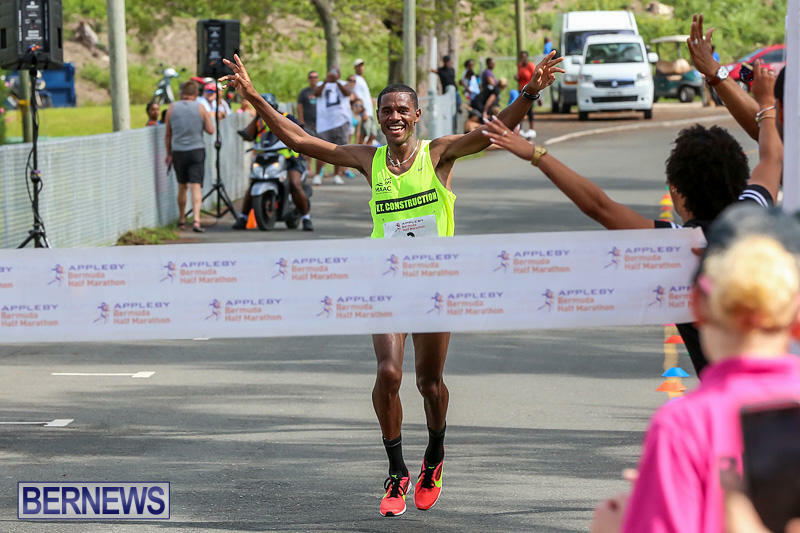 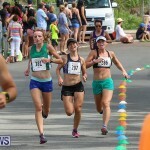 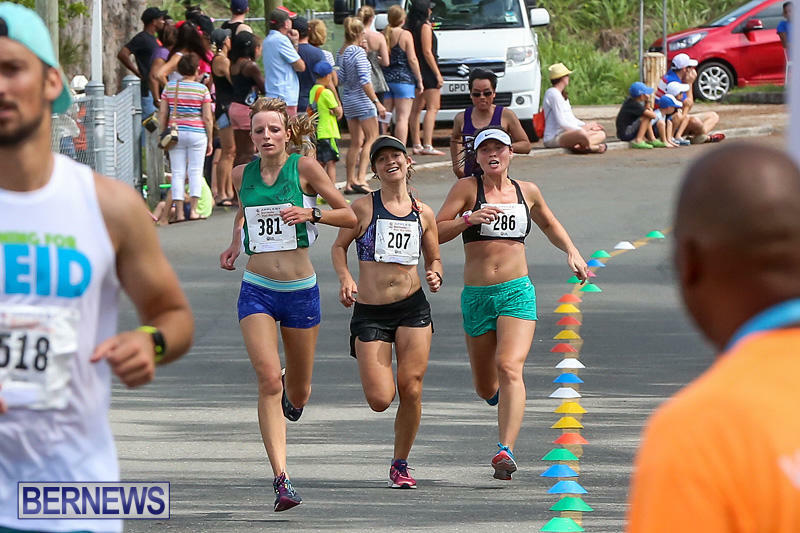 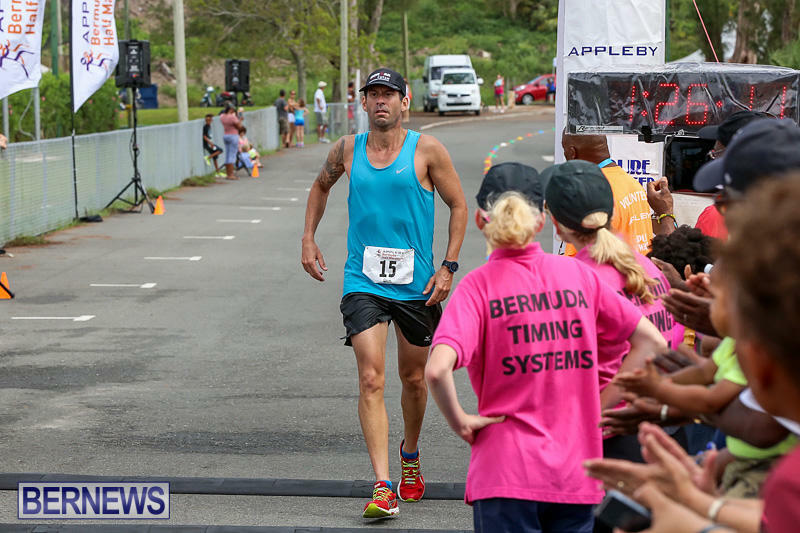 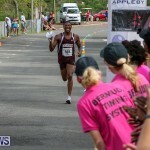 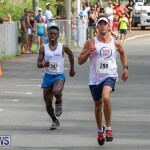 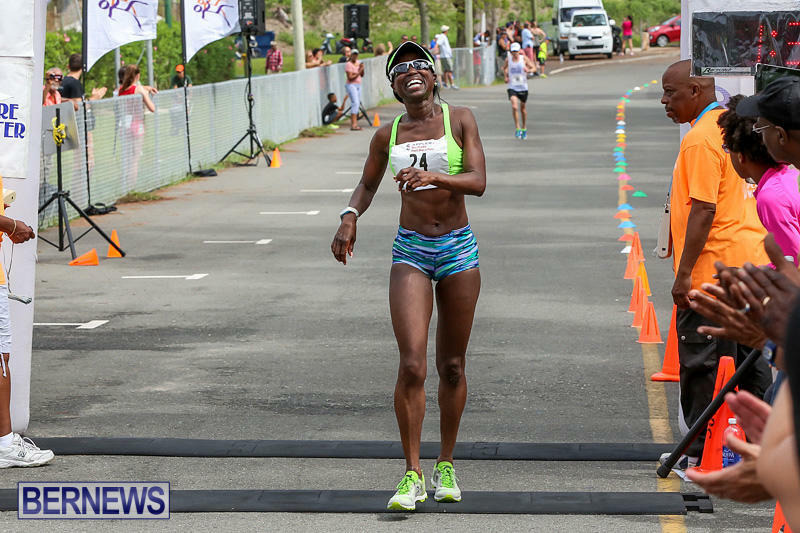 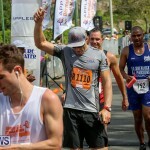 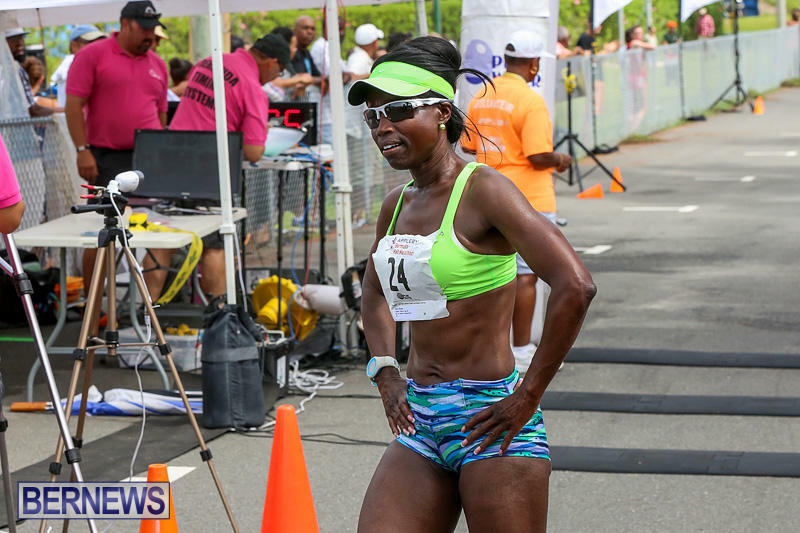 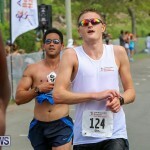 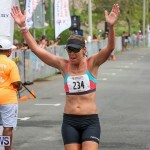 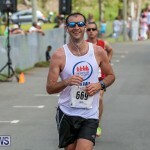 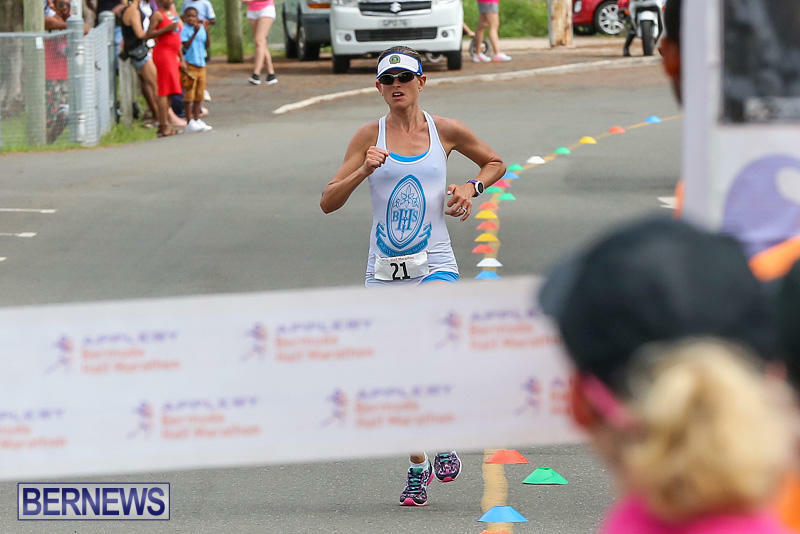 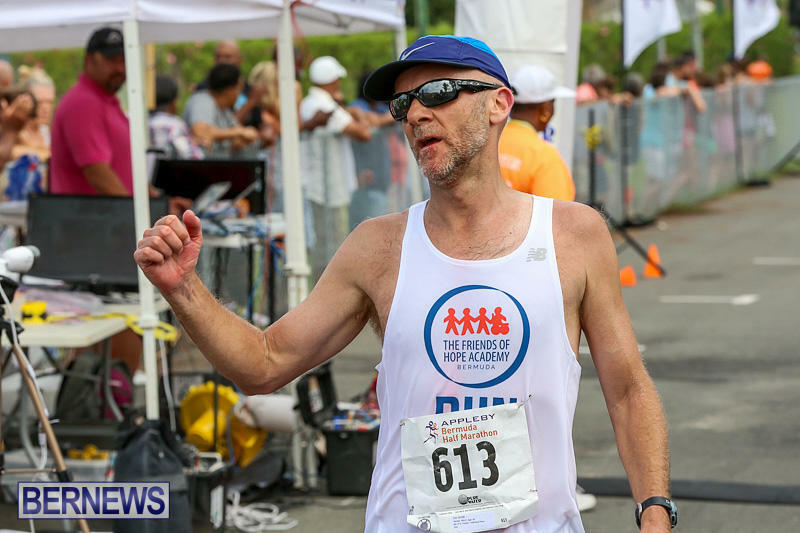 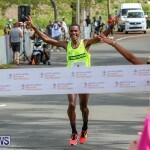 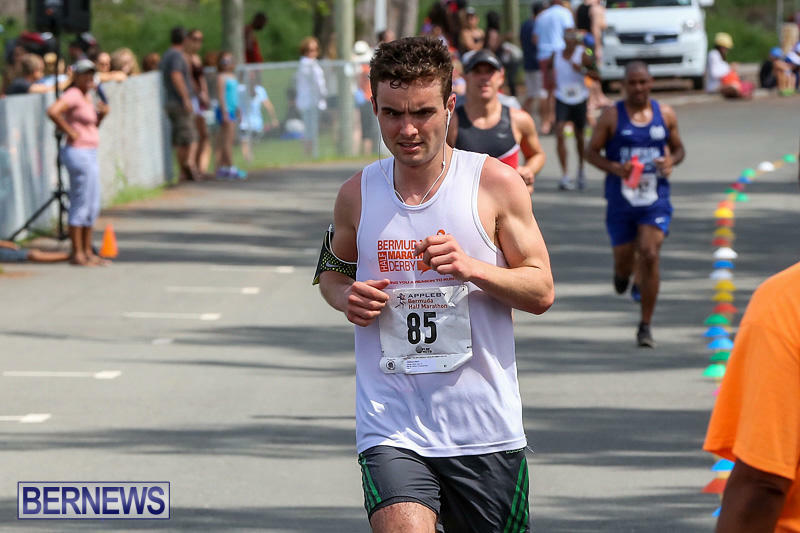 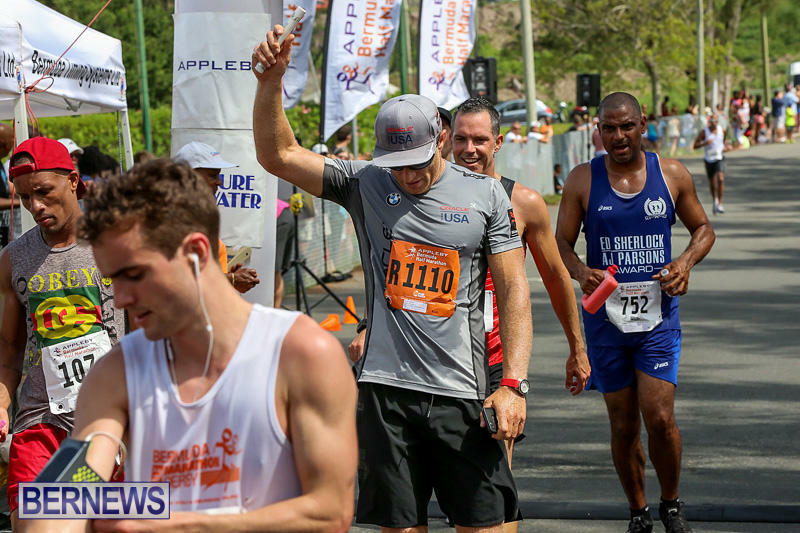 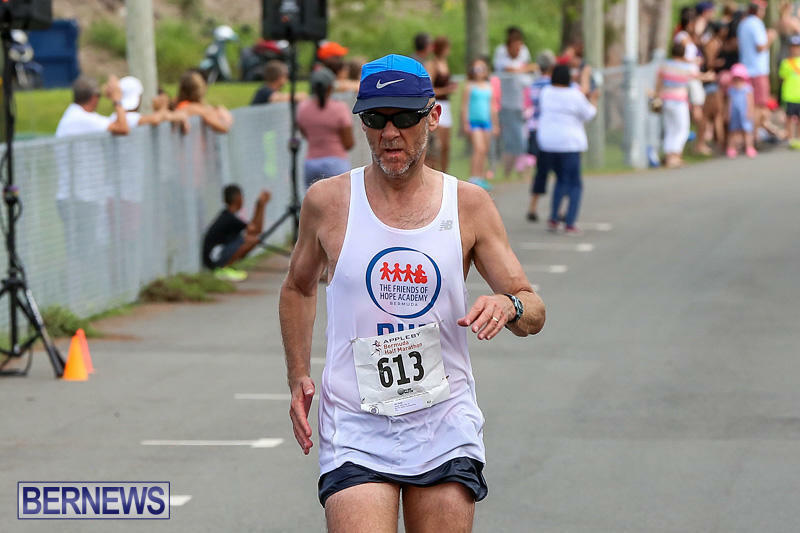 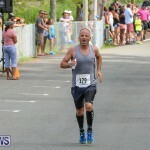 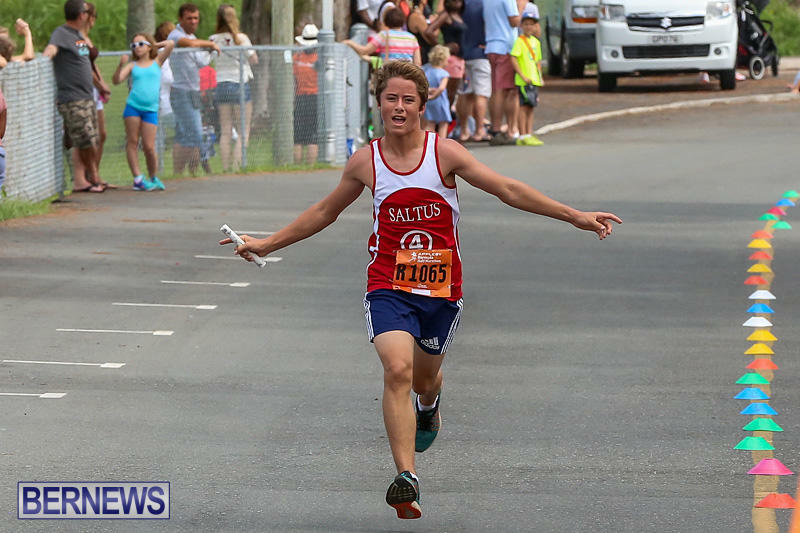 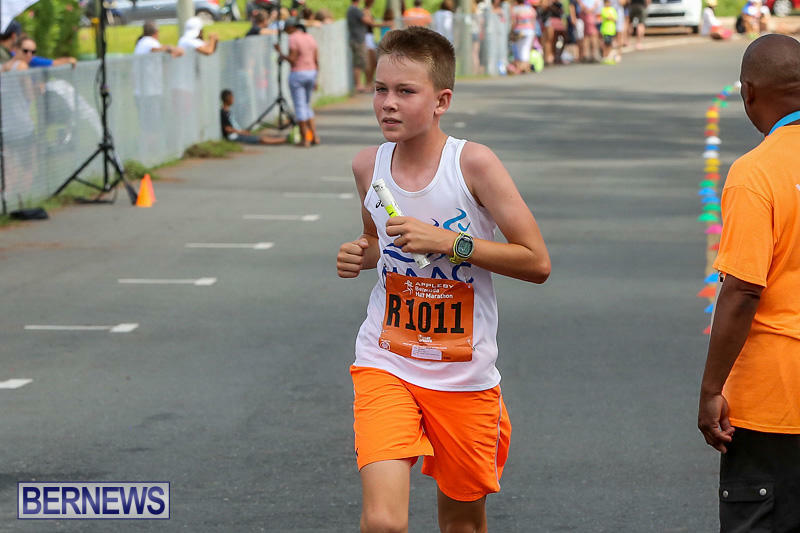 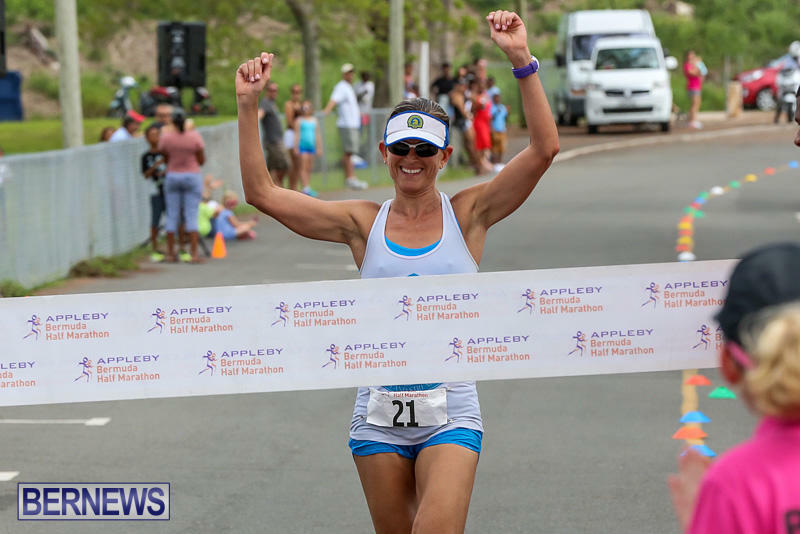 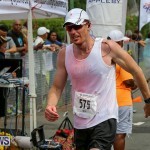 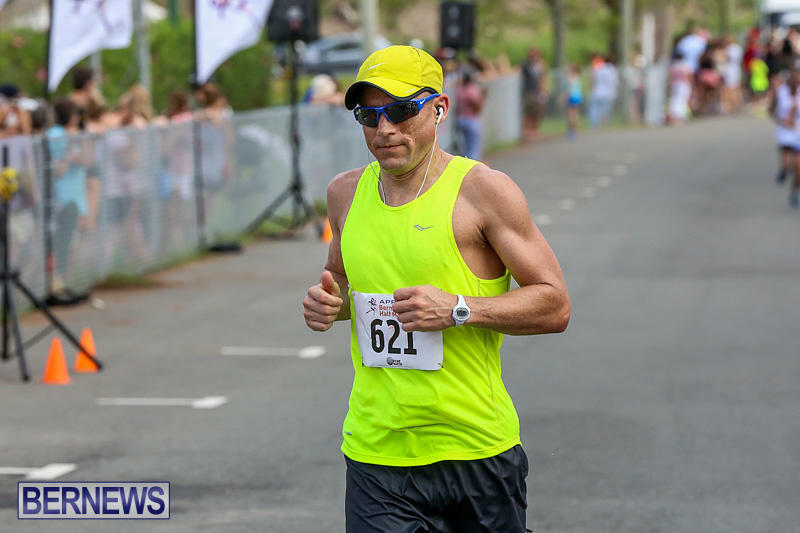 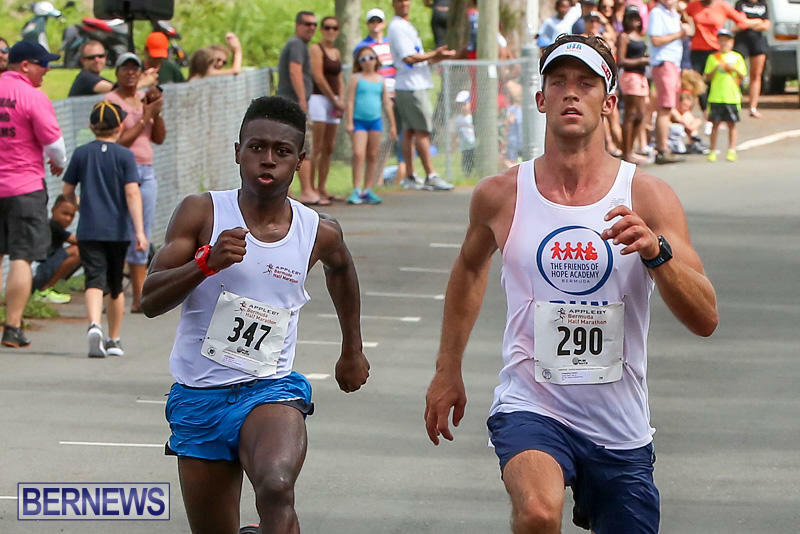 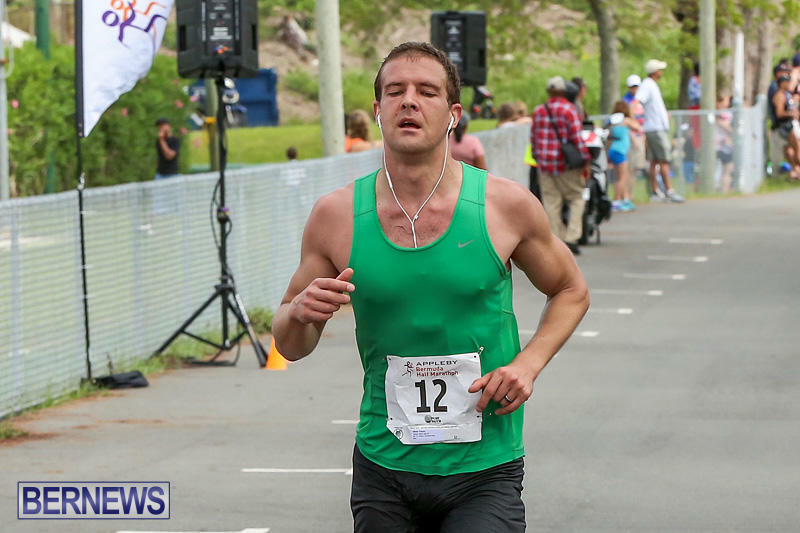 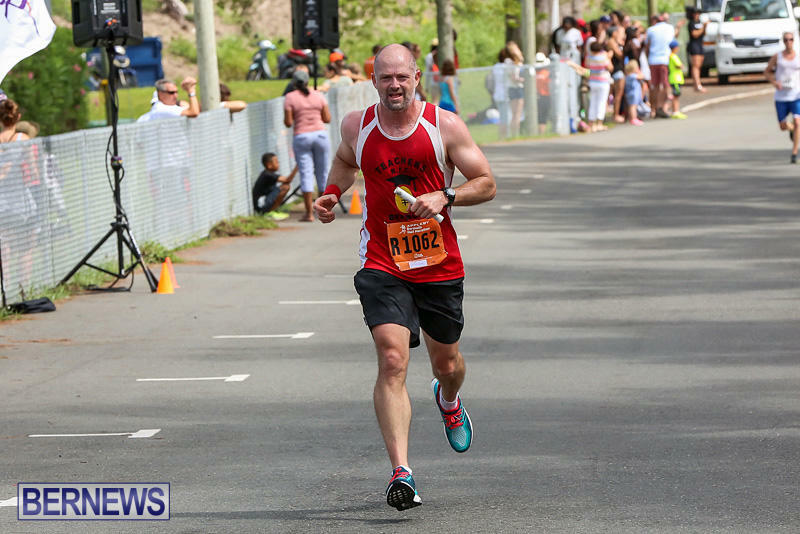 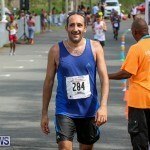 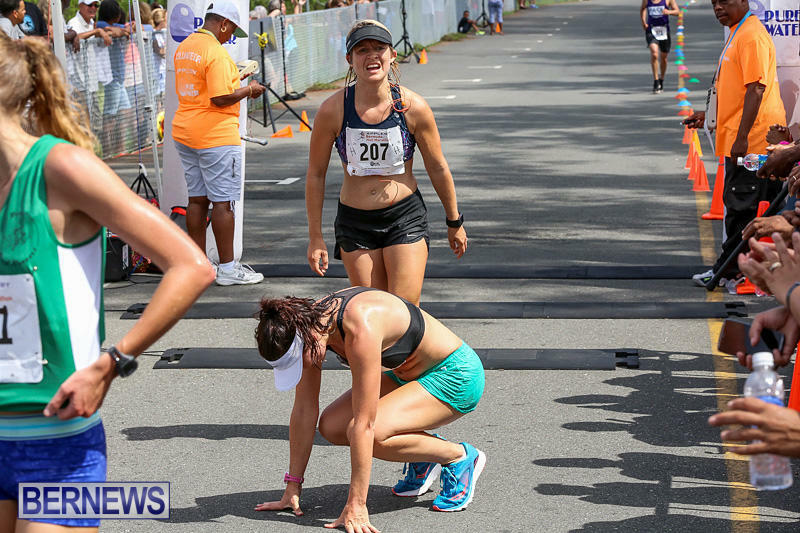 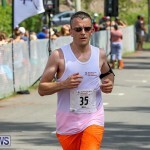 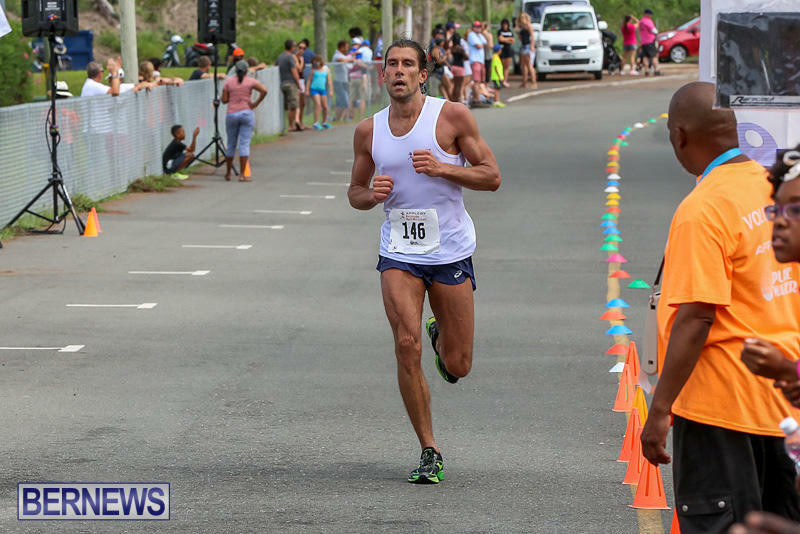 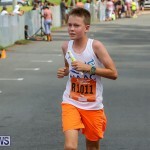 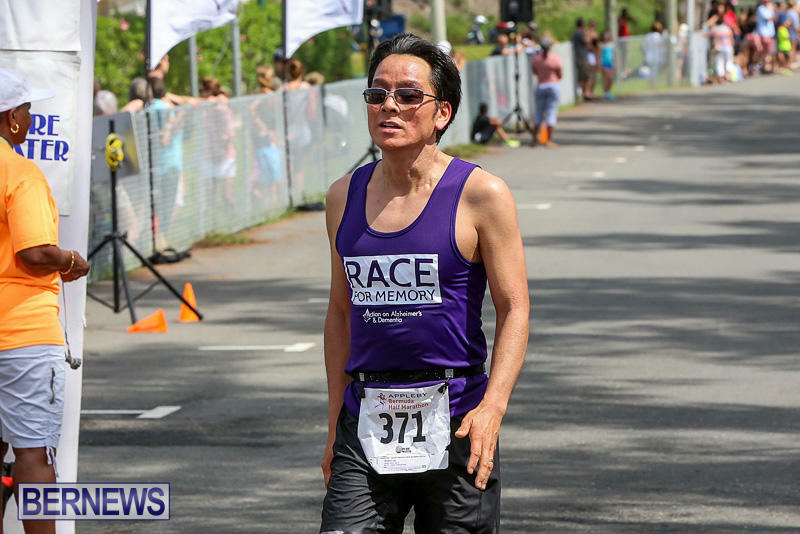 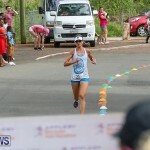 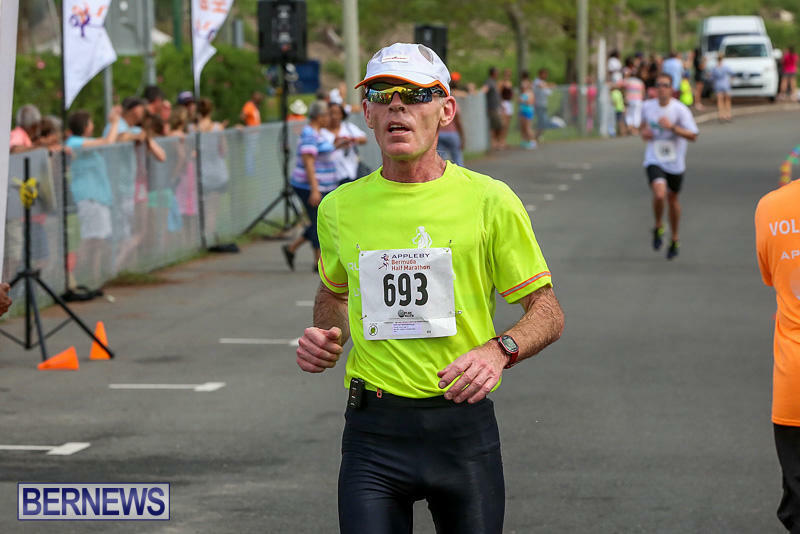 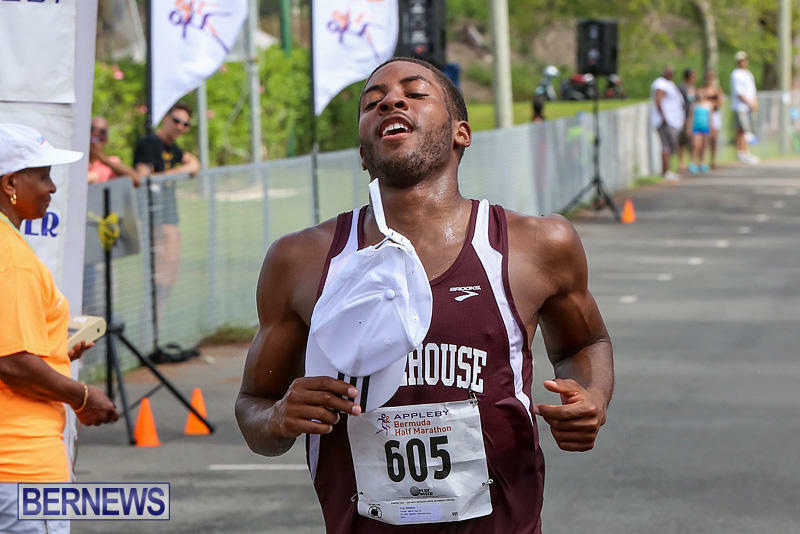 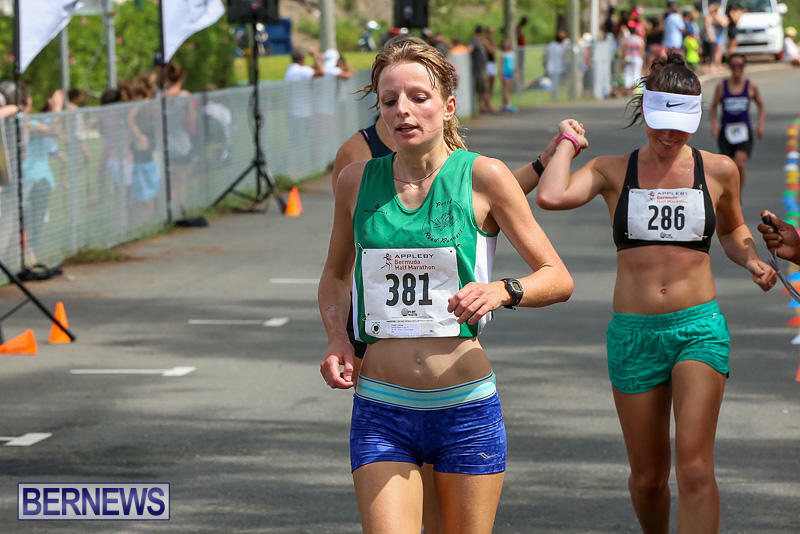 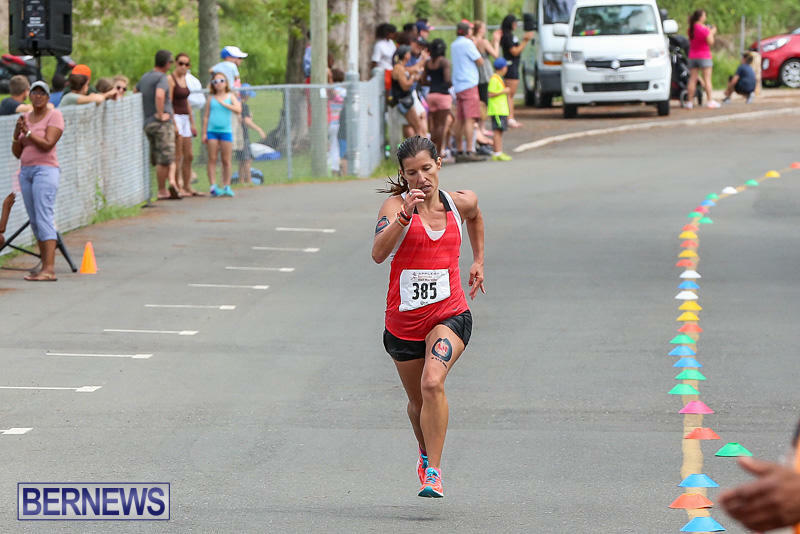 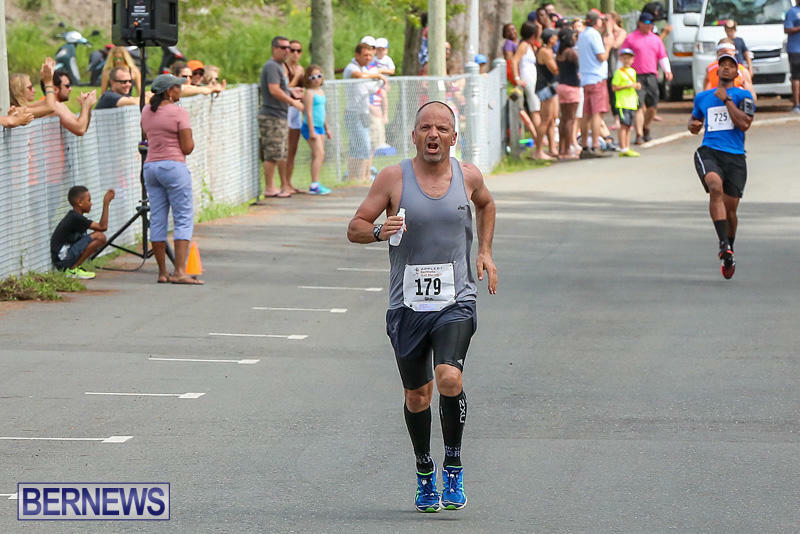 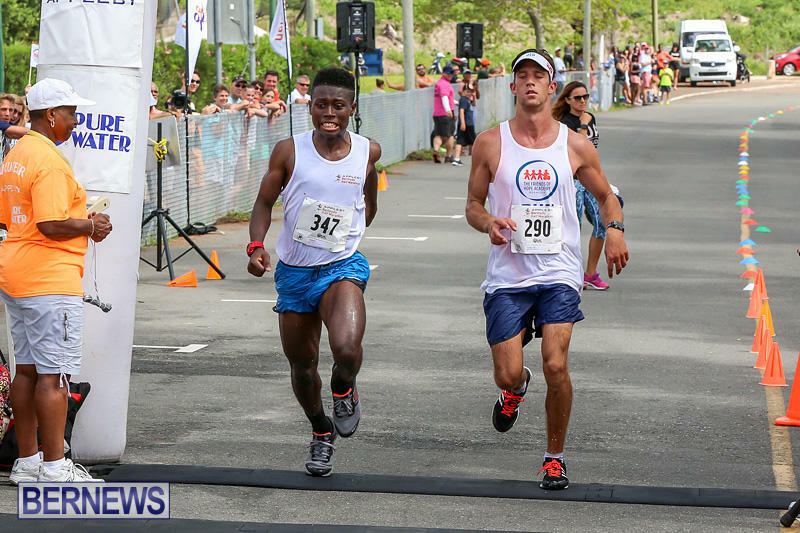 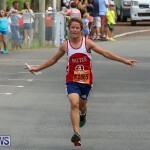 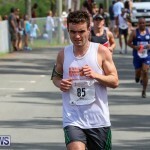 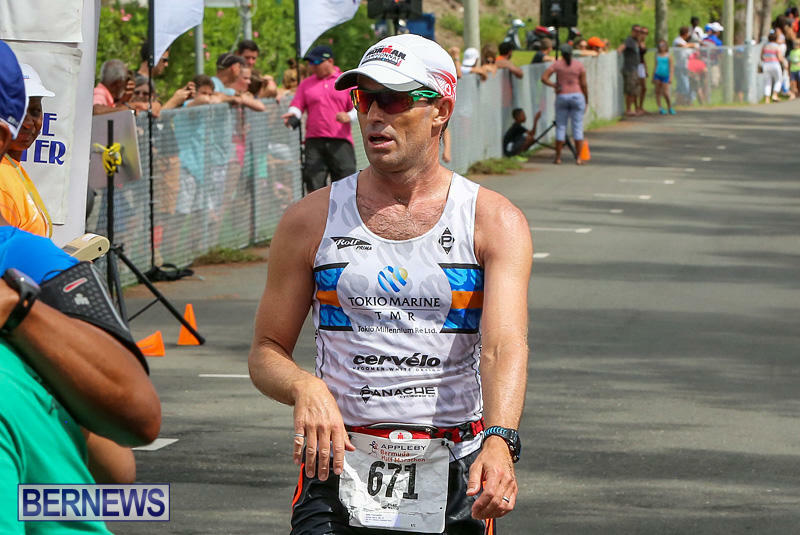 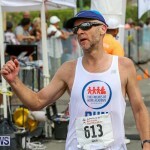 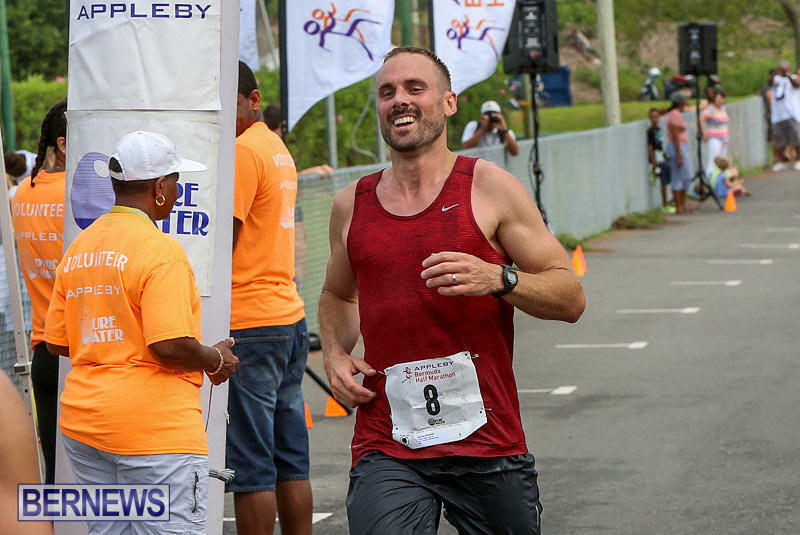 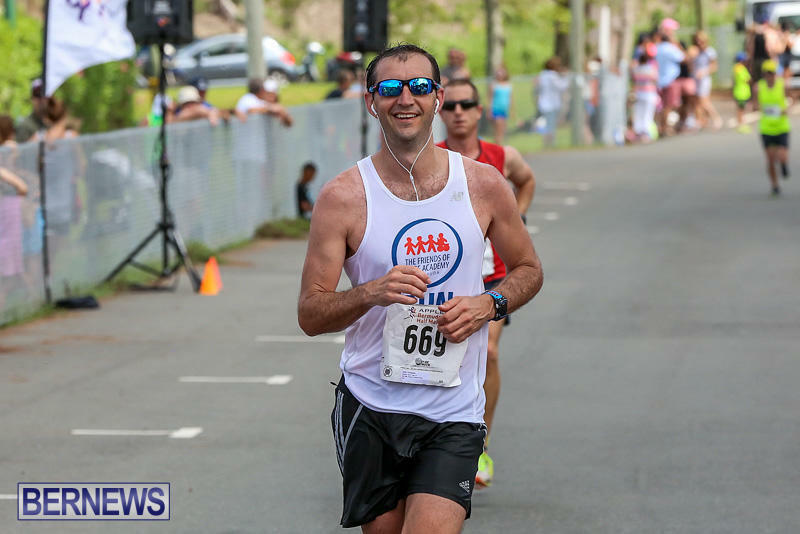 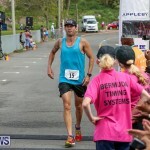 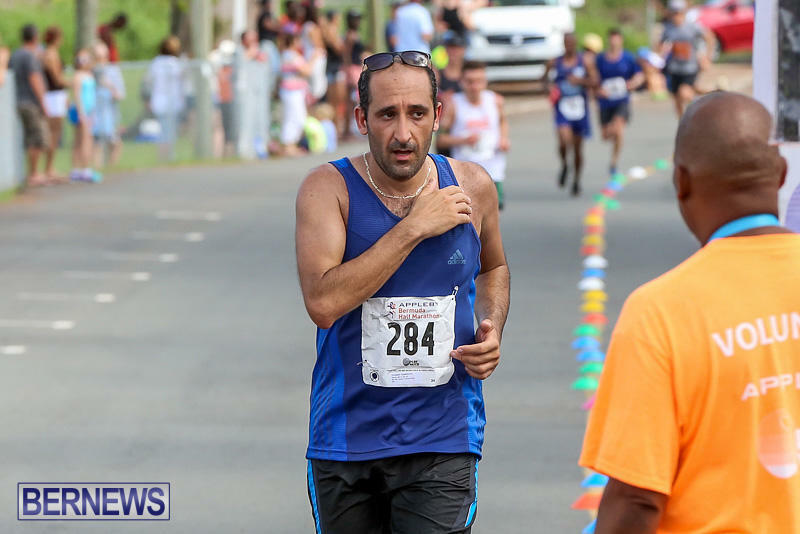 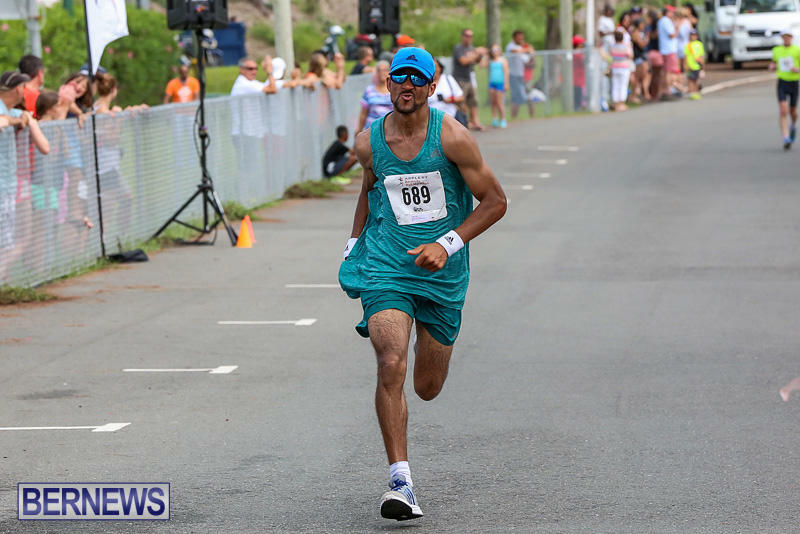 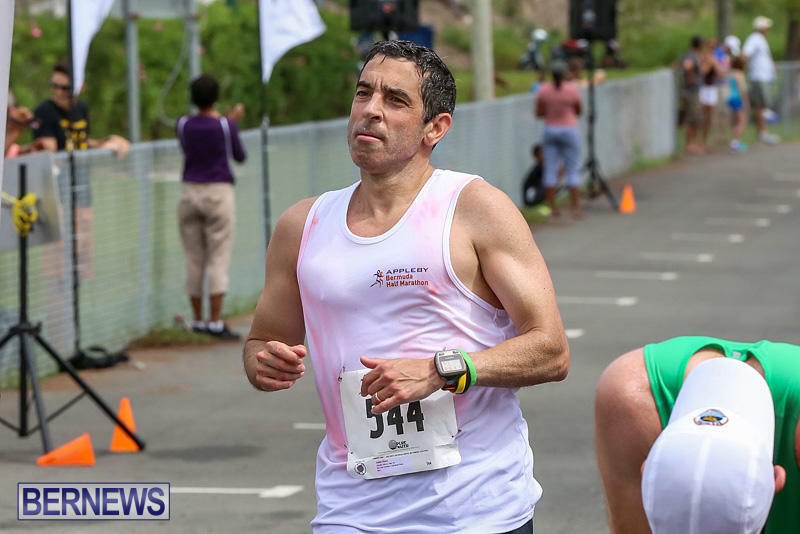 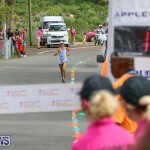 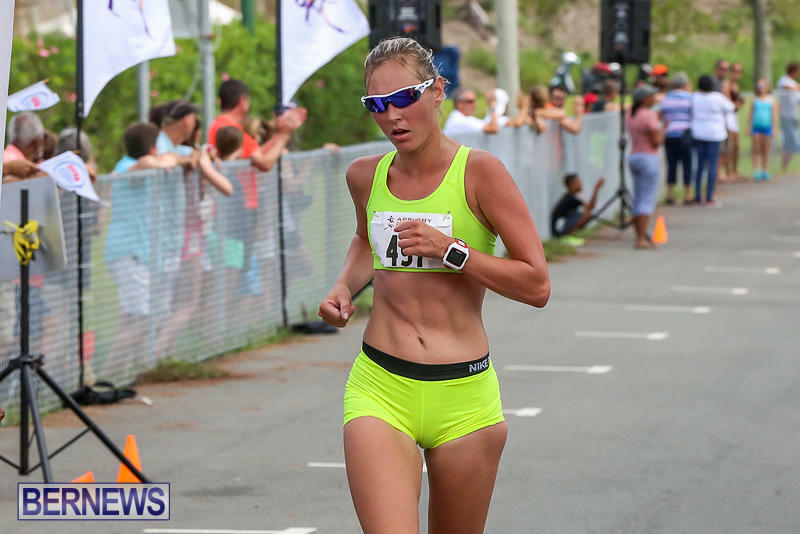 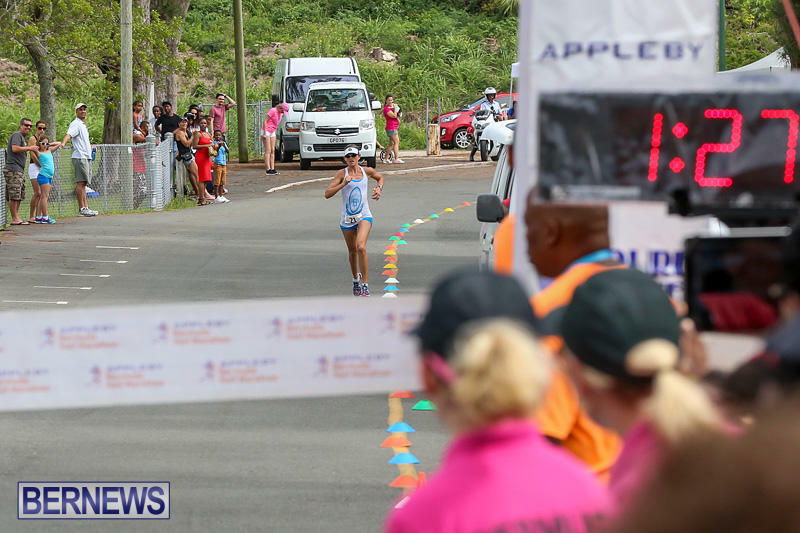 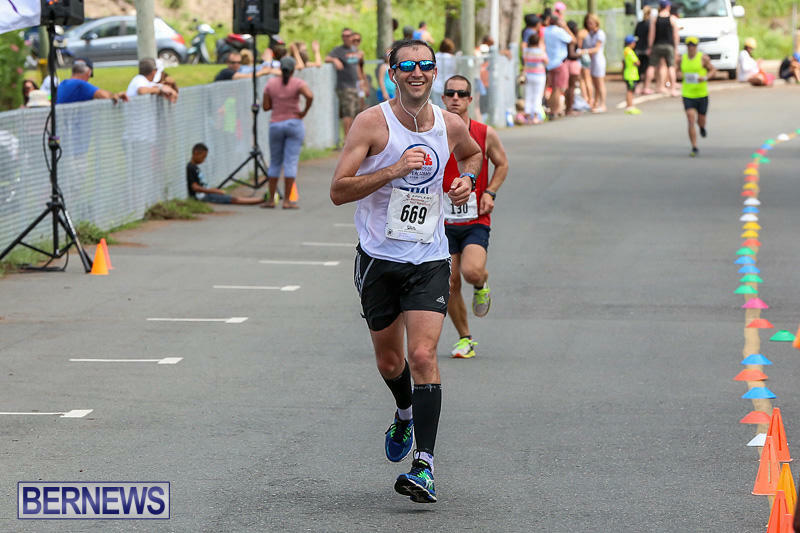 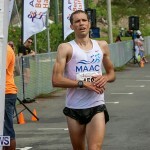 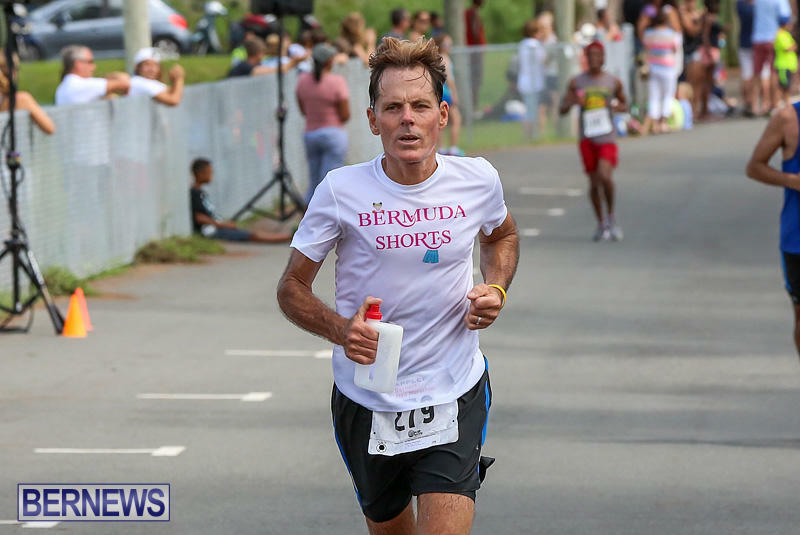 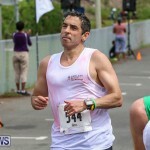 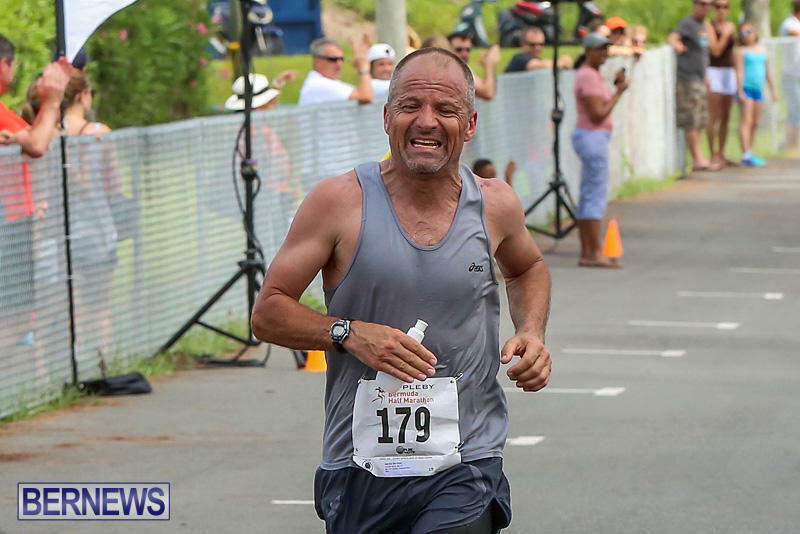 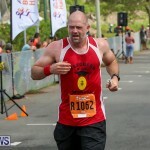 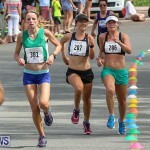 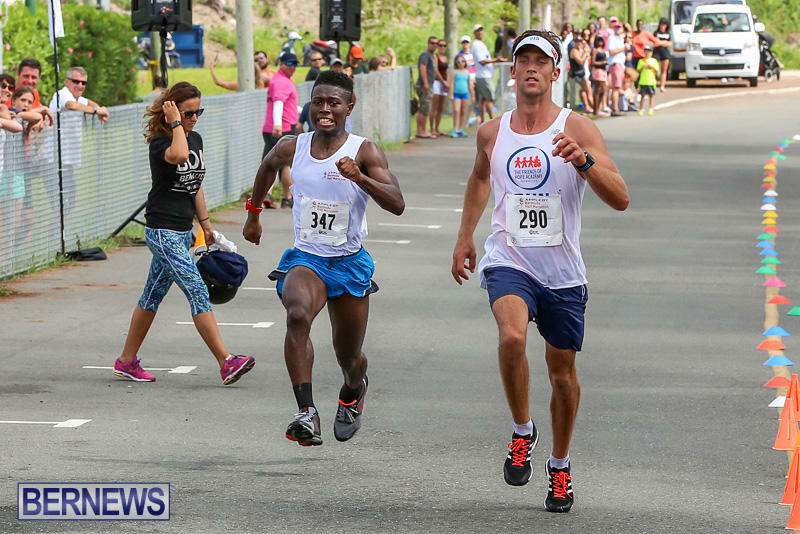 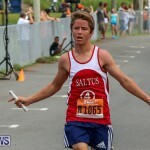 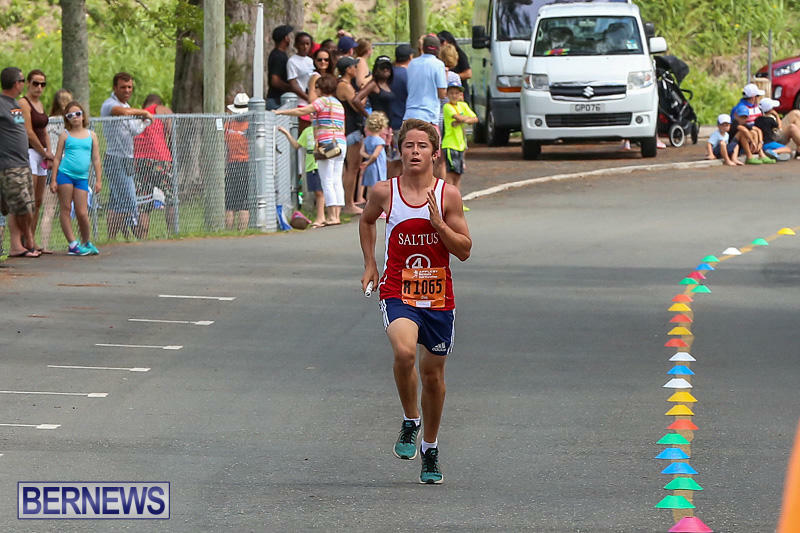 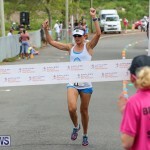 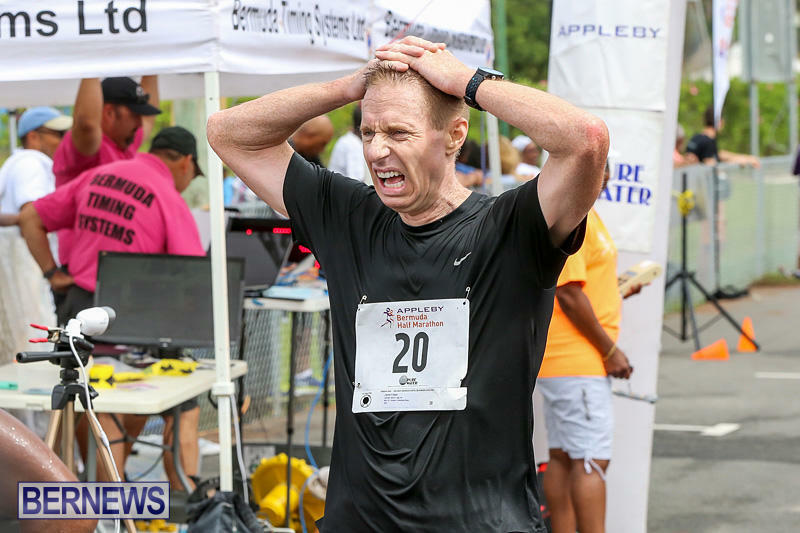 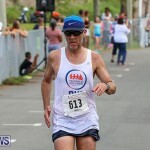 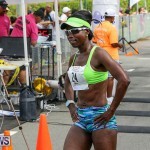 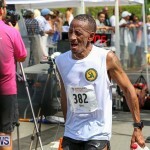 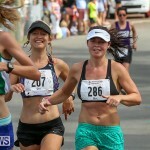 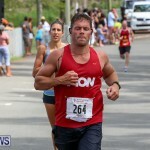 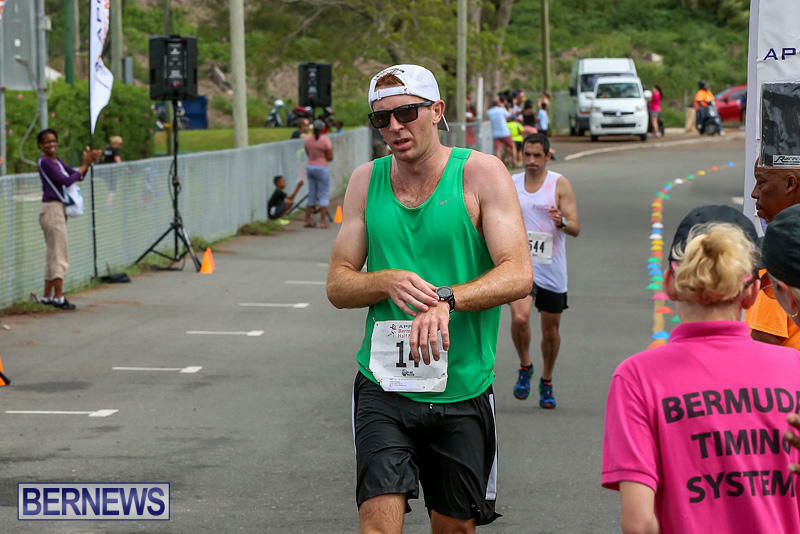 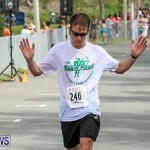 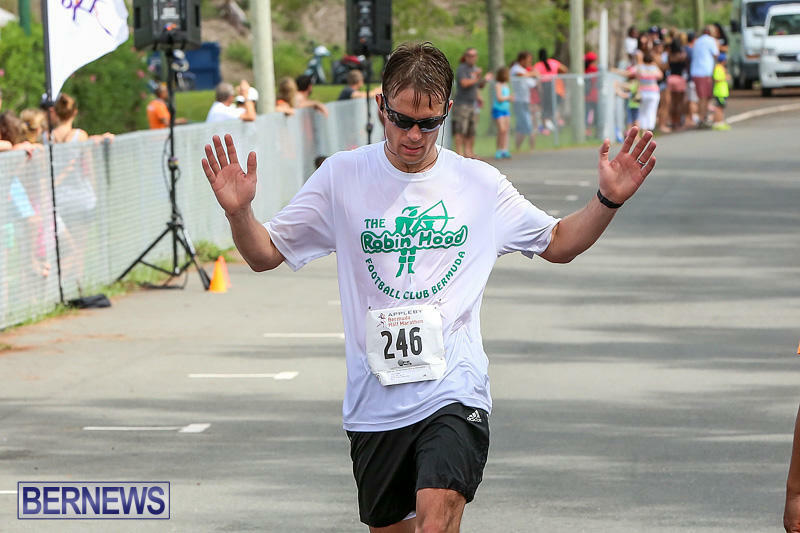 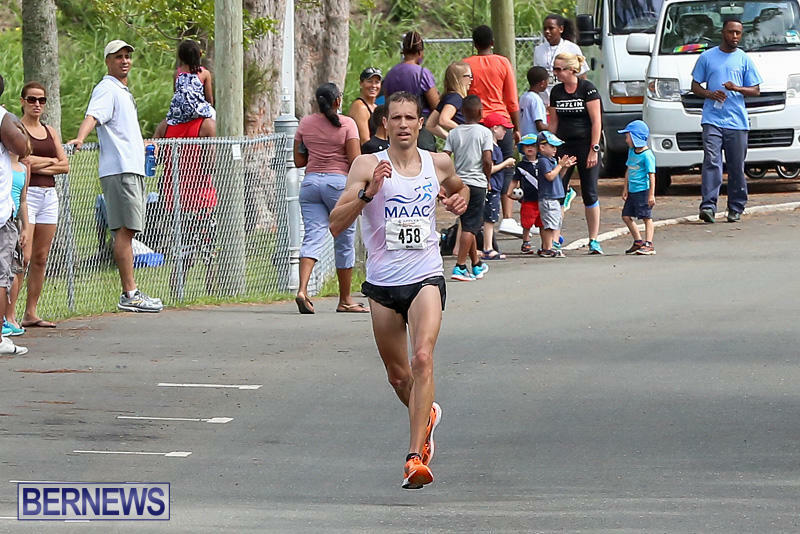 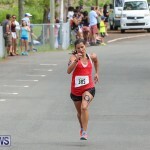 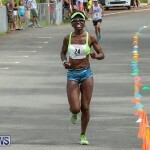 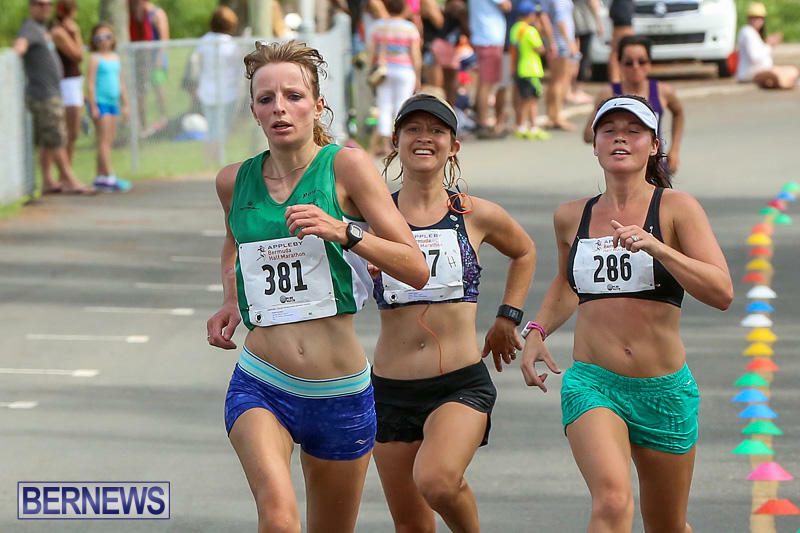 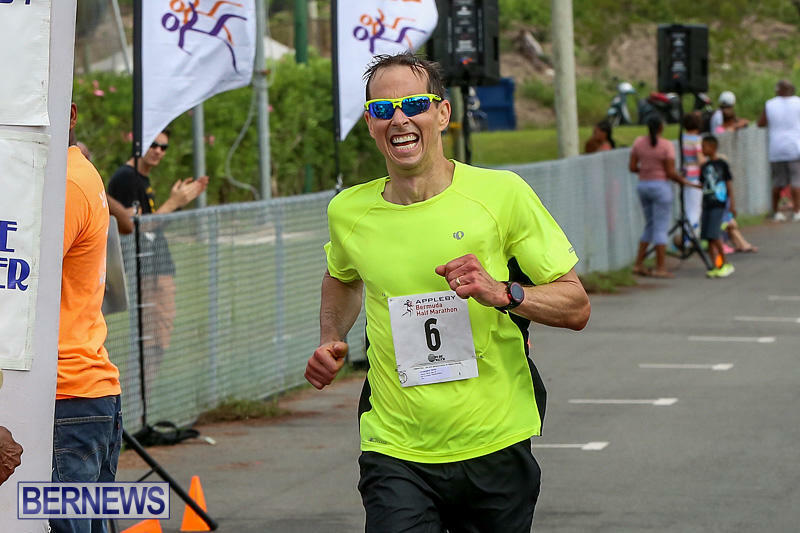 For full results of the 2016 Bermuda Day Half Marathon click here, and for all our coverage of Bermuda Day click here.